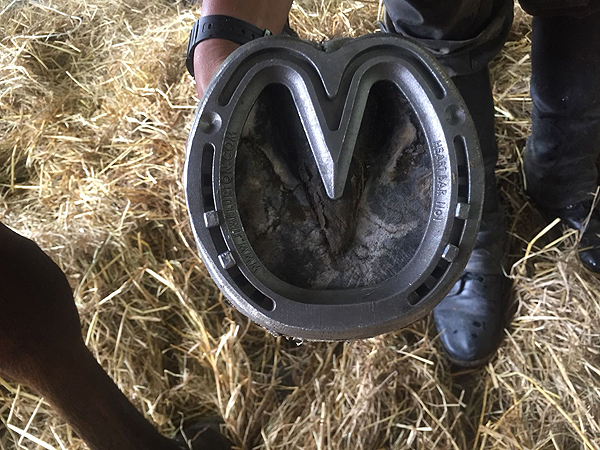 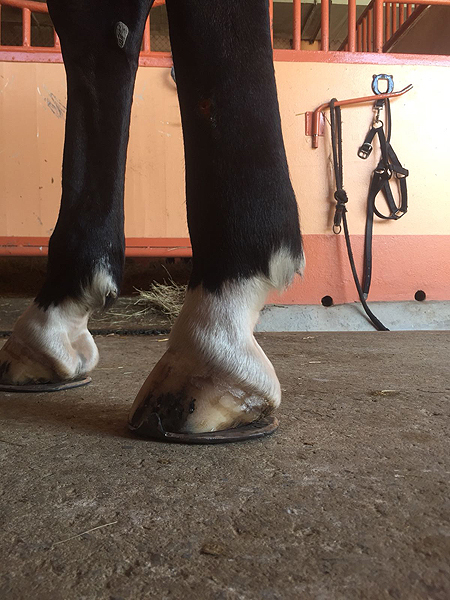 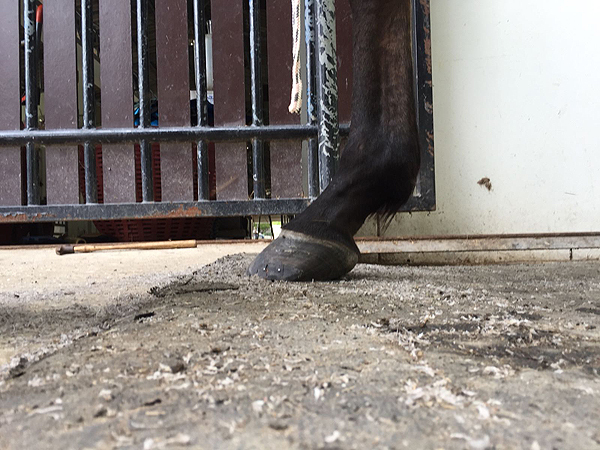 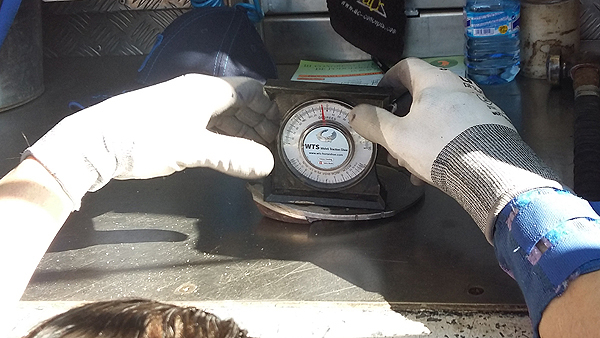 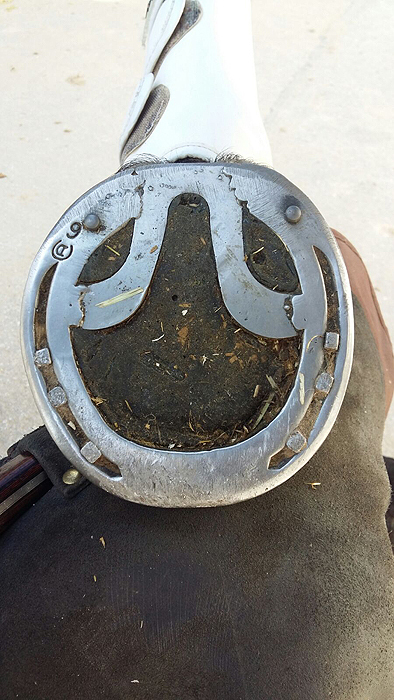 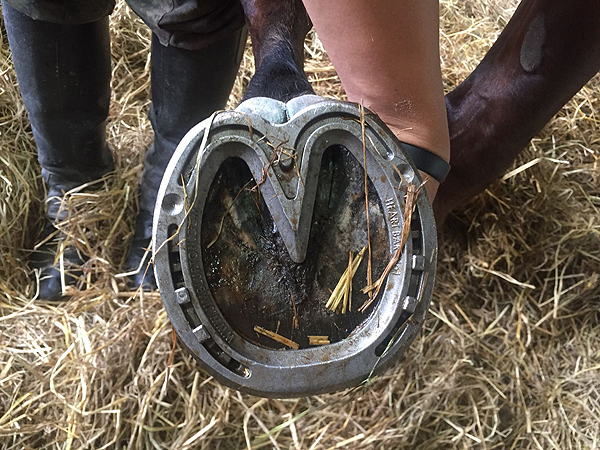 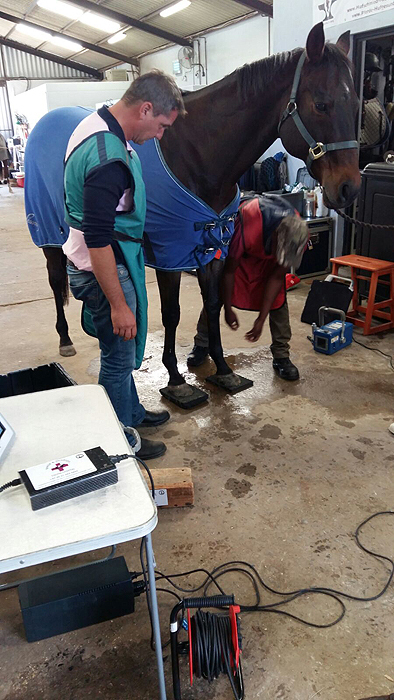 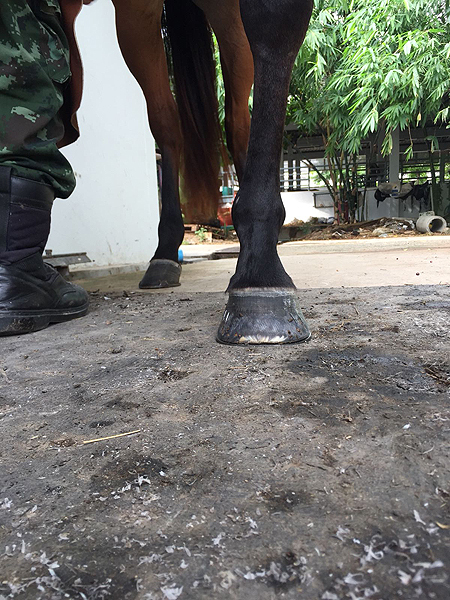 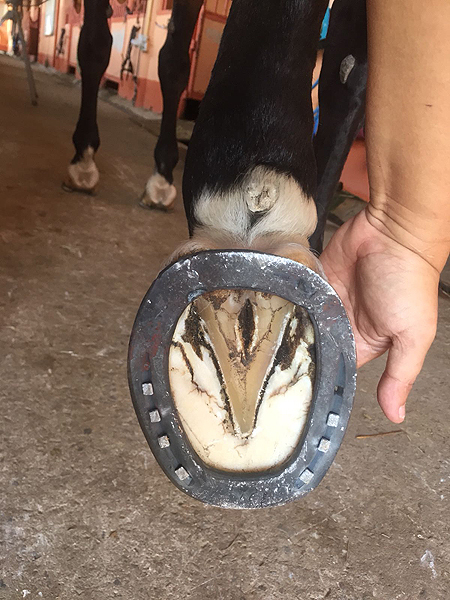 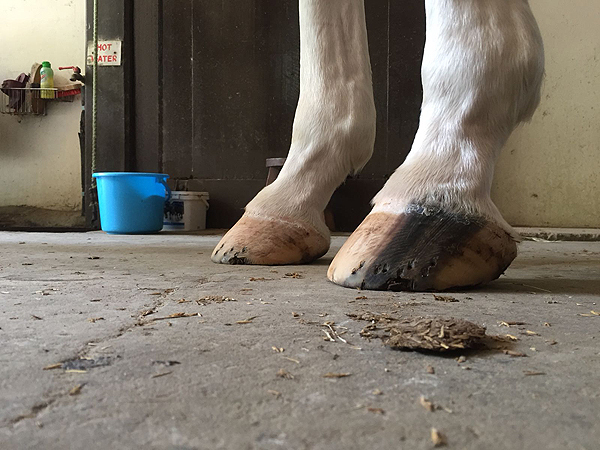 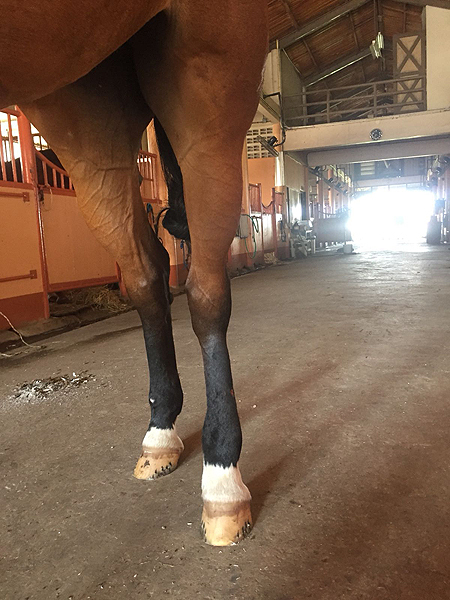 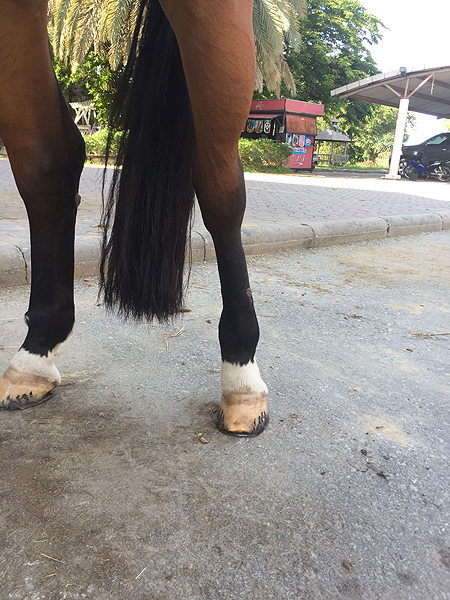 For Farriers and hoof editors, veterinarians and therapists, - but alsofor horse owners and riders we would like to create a platform, which fulfil the needs of the horse on the highest level. 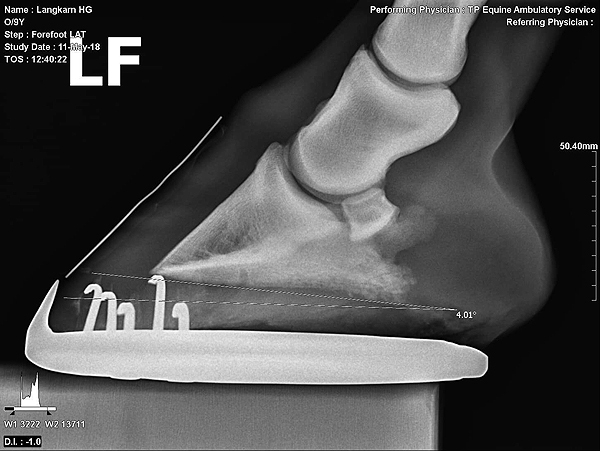 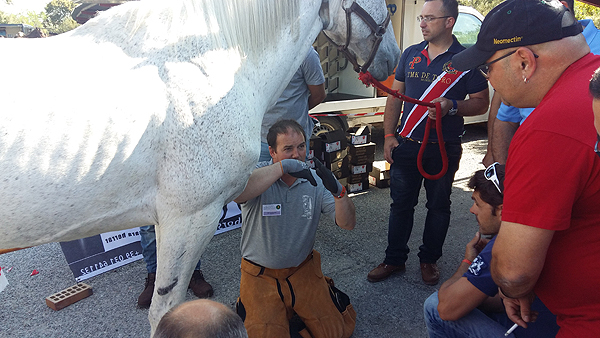 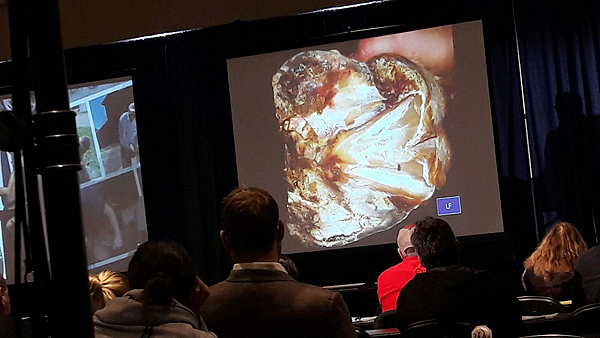 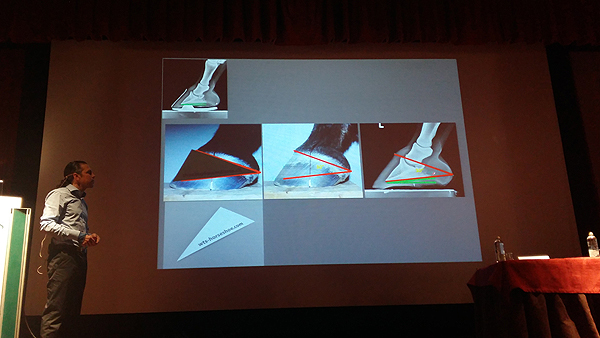 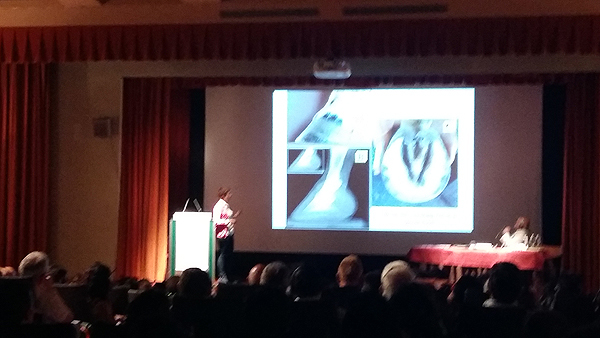 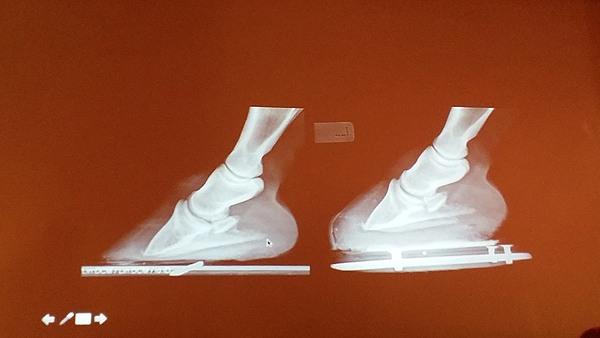 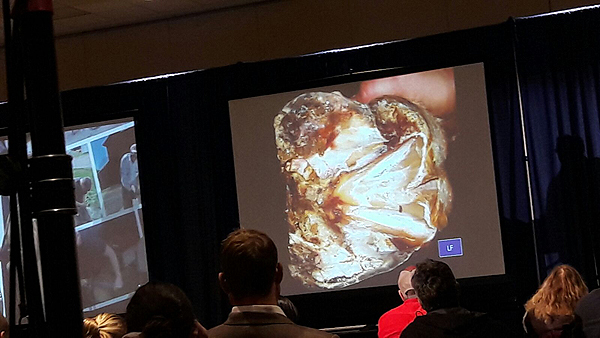 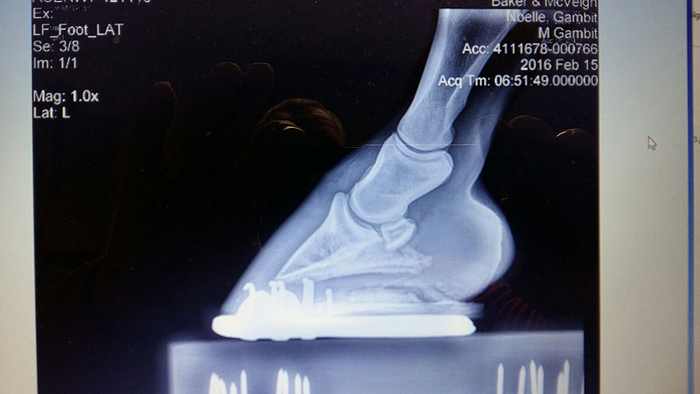 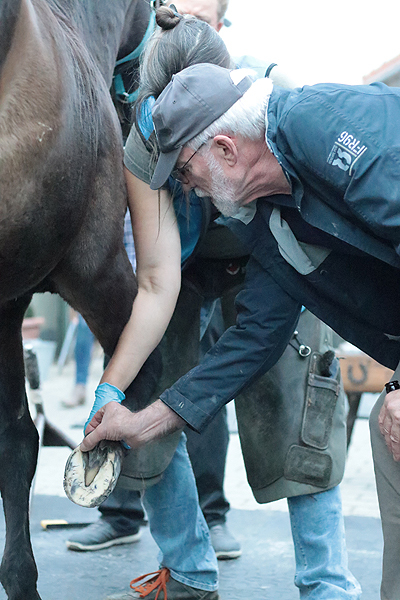 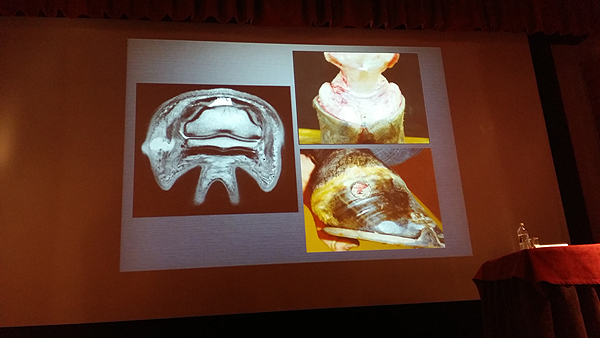 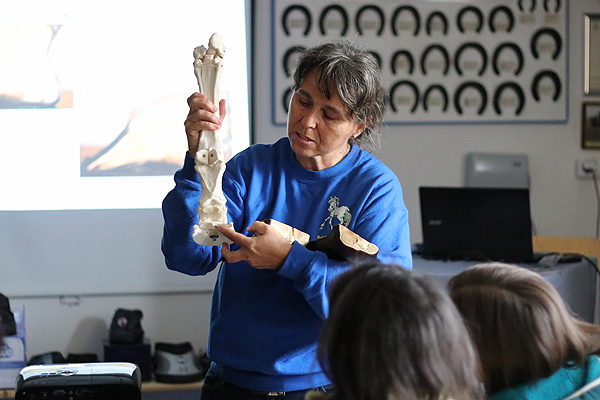 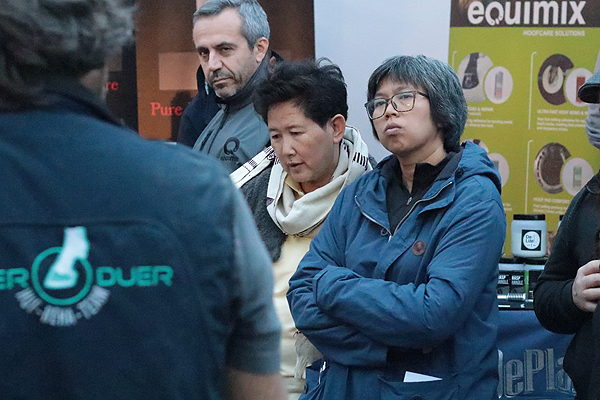 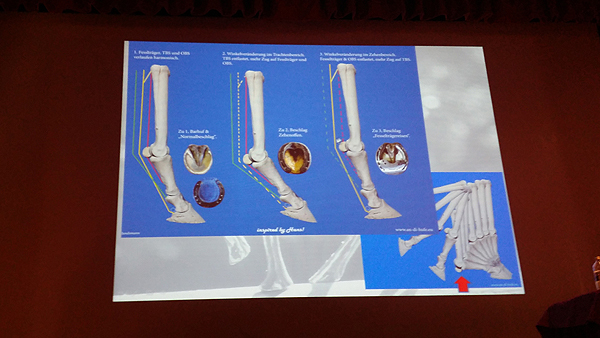 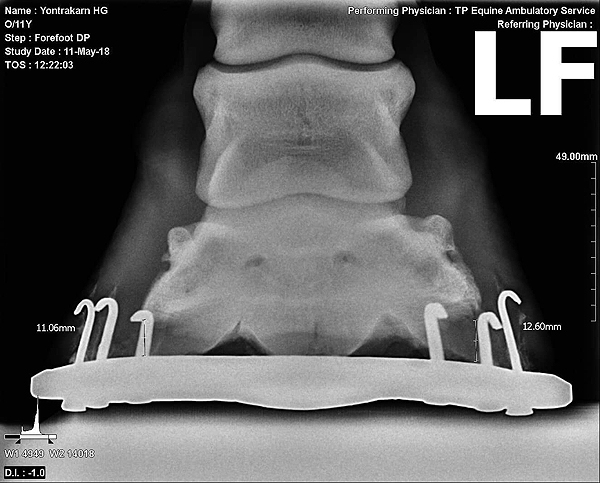 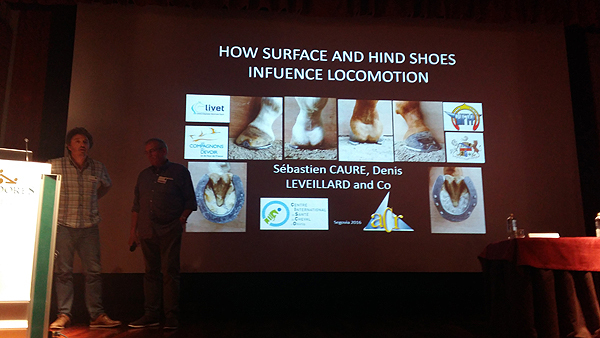 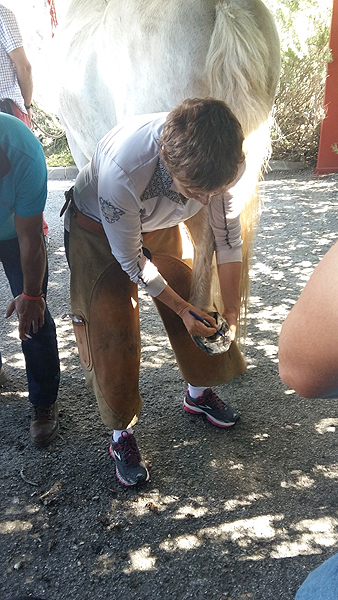 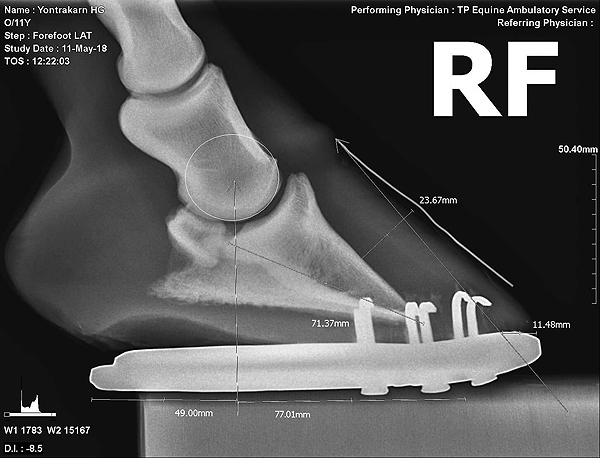 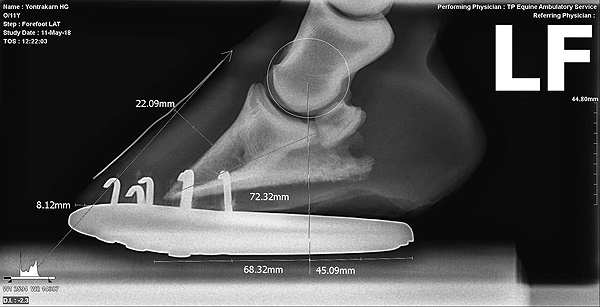 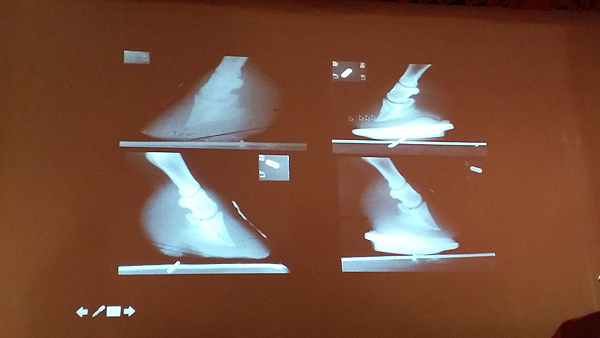 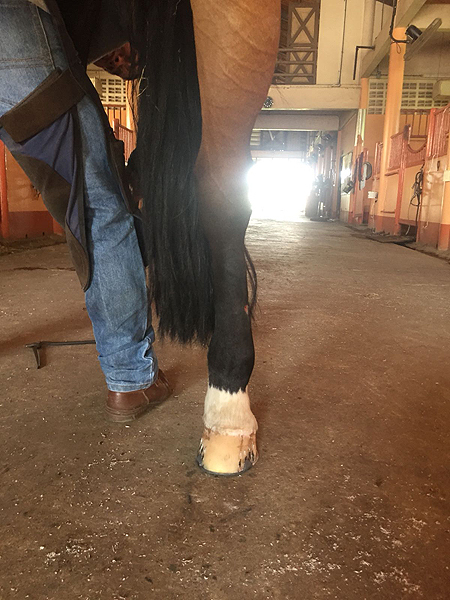 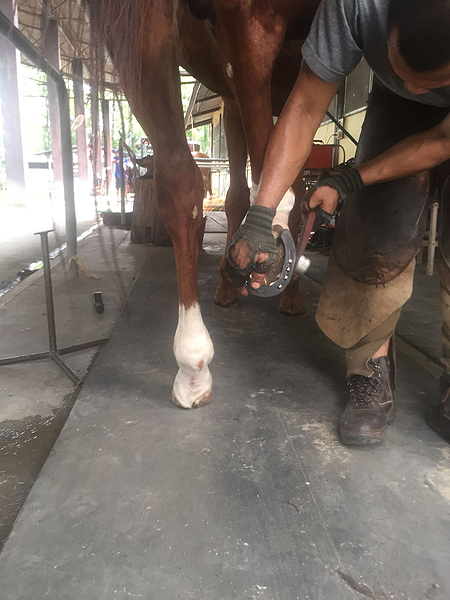 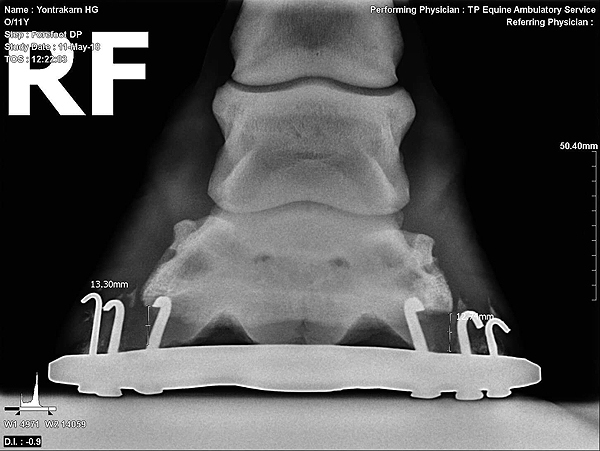 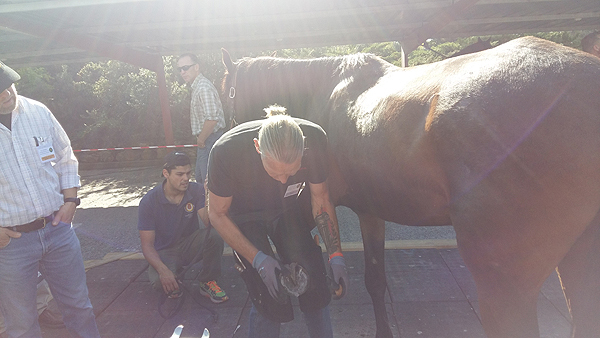 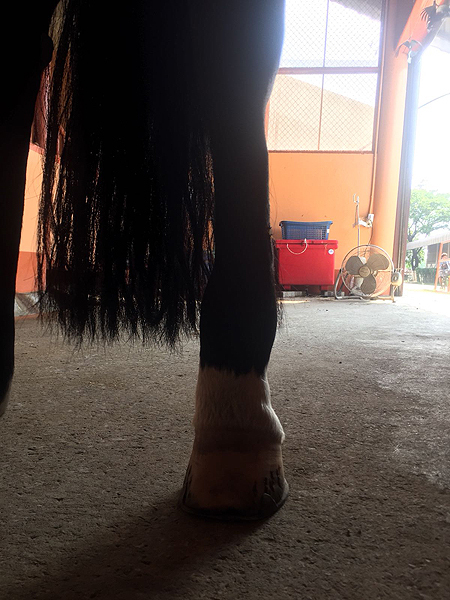 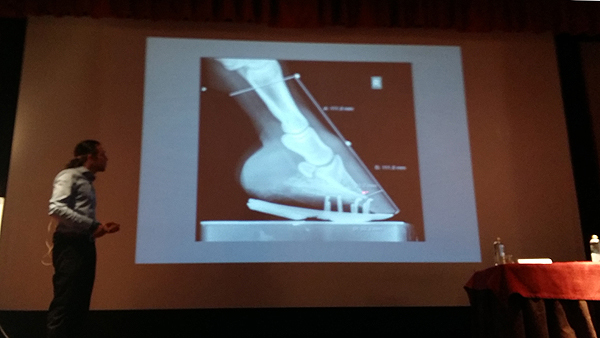 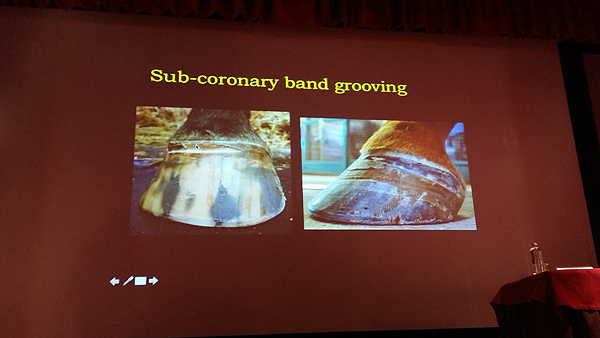 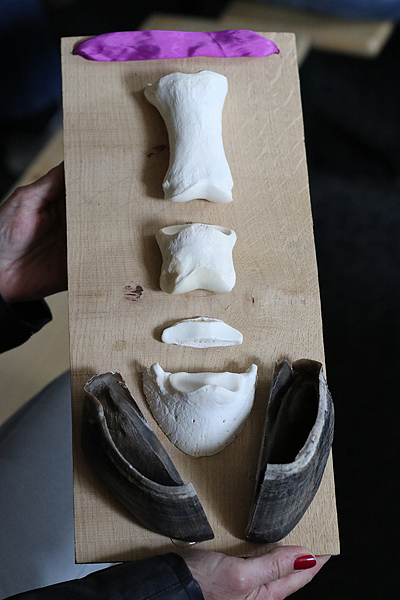 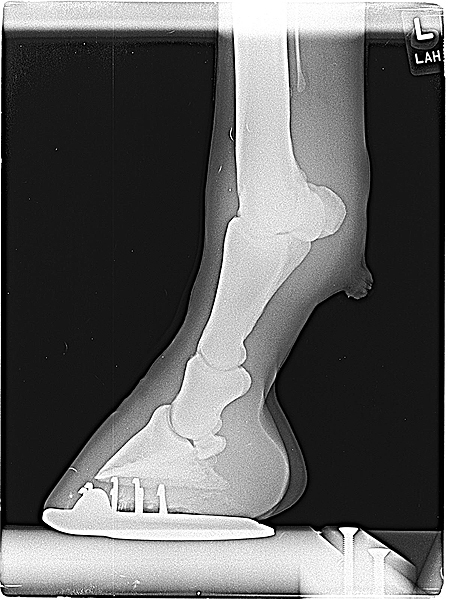 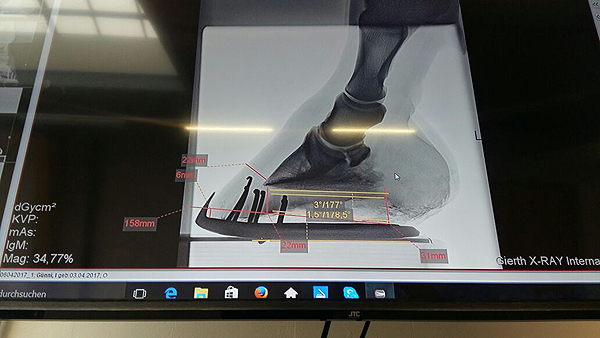 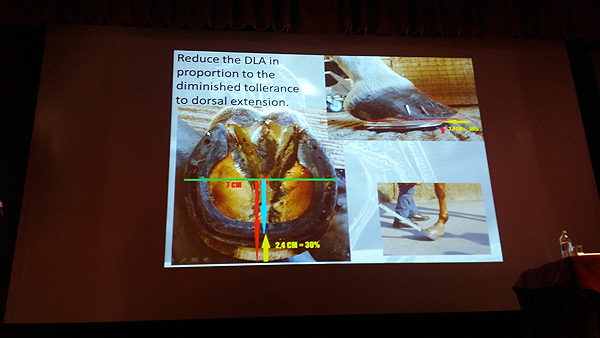 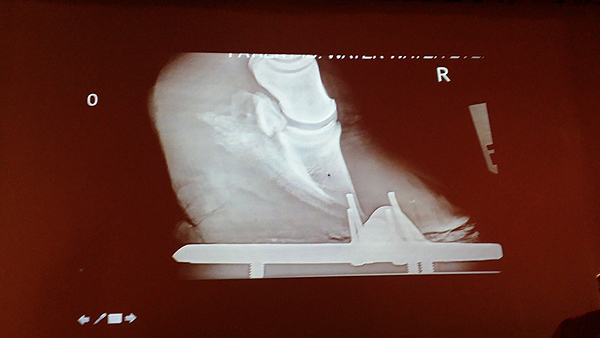 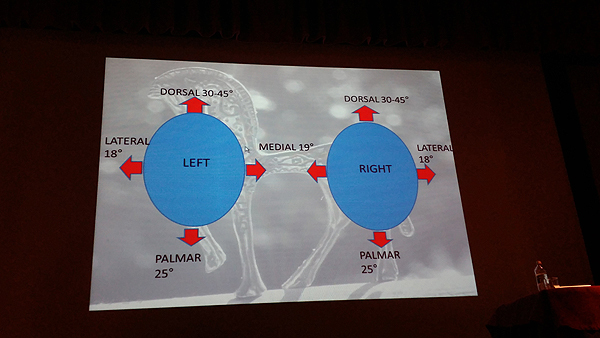 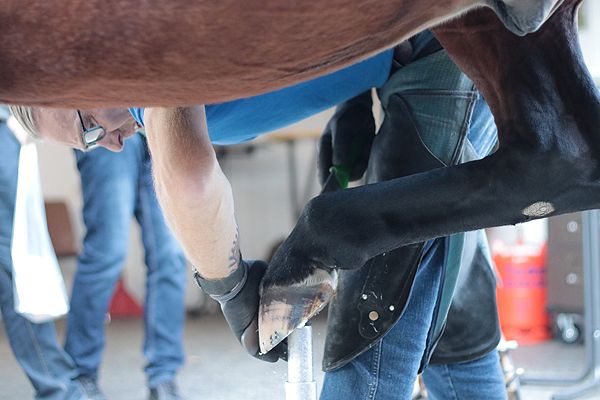 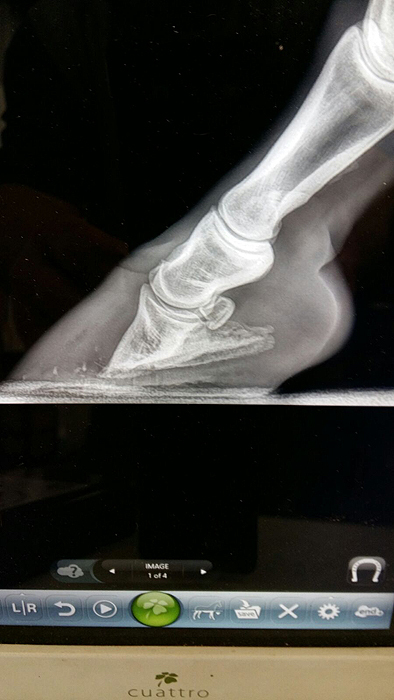 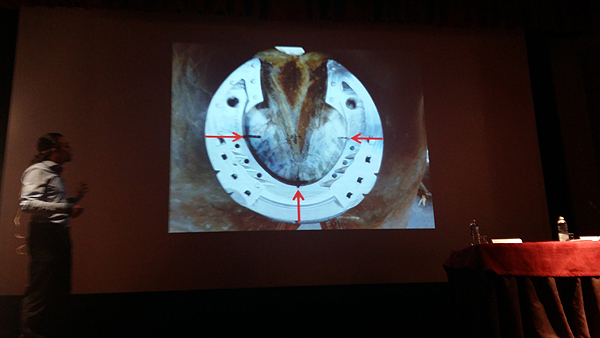 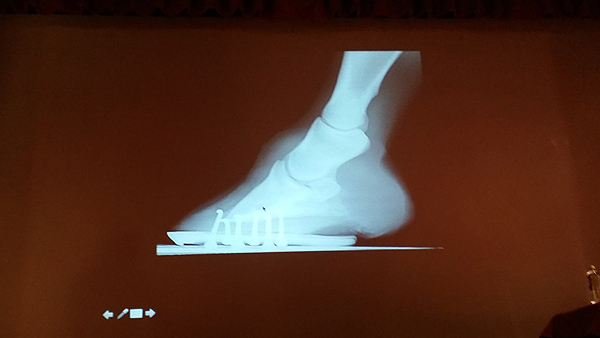 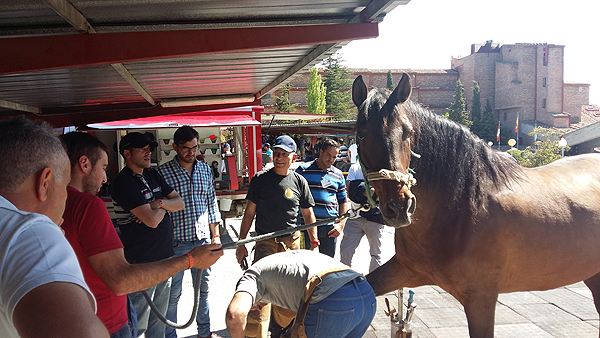 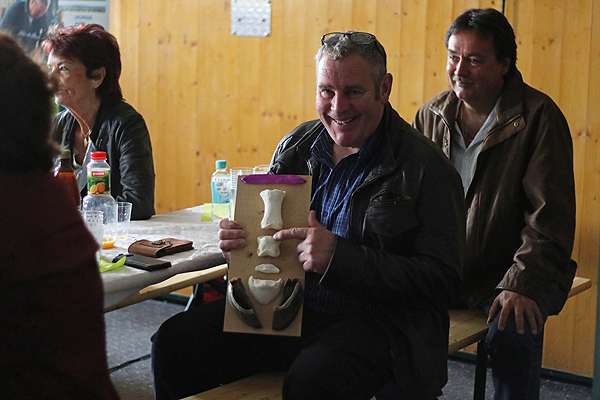 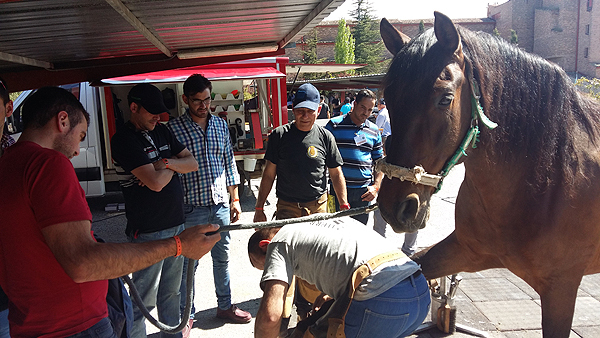 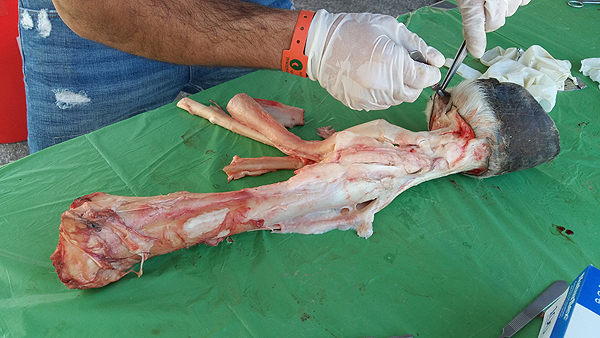 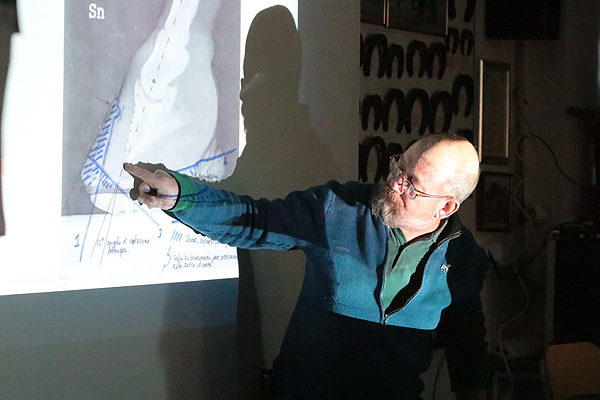 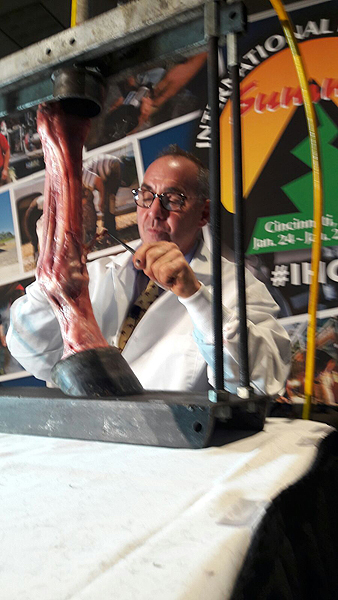 We organize trainings, workshops, talks, conventions and a lot more, with nationally an internationaly highly respected experts .Our events offer an ideal opportunity, to expande knowledge all around hoof balance, hoof orthopedics and horse health. 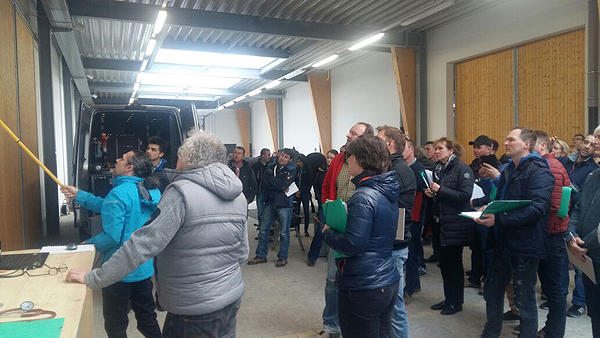 Top-class advisers transmit the newest knowledge to you! 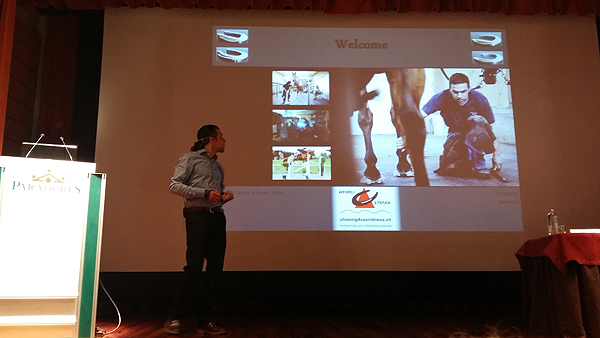 Another aim of this platform is to interlink and cooperate with all horse enthusiasts . 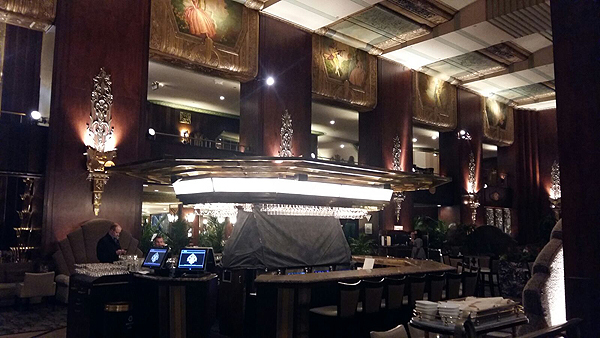 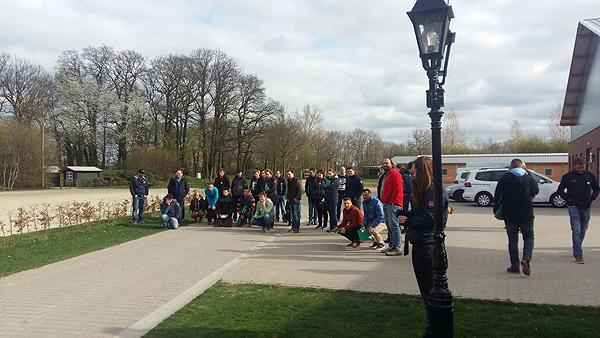 A wonderful event is behind us, and we would like to thank all participants very much! 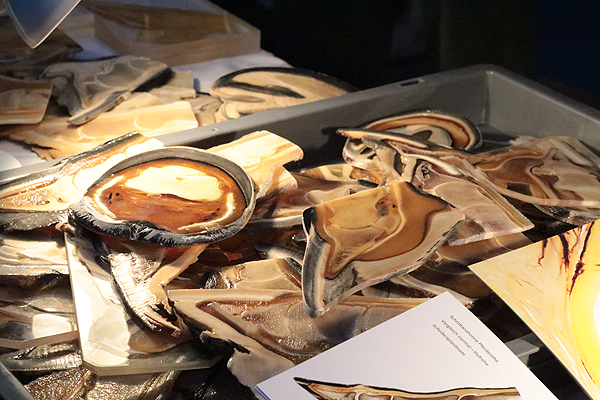 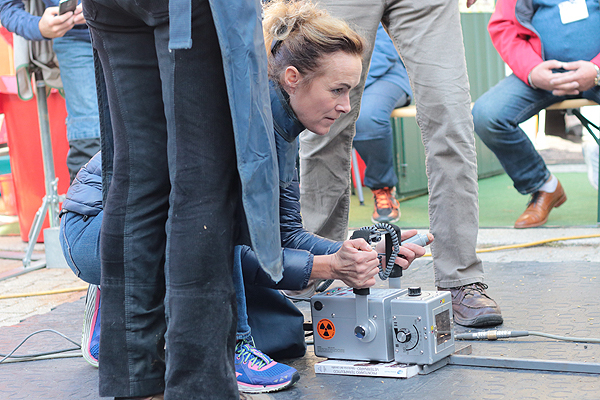 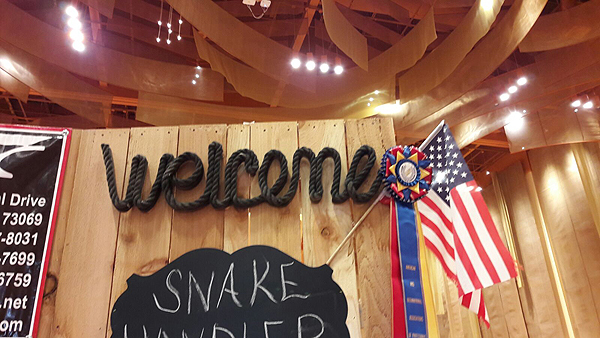 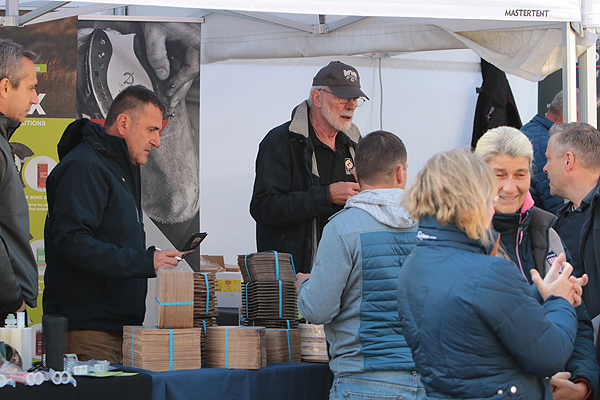 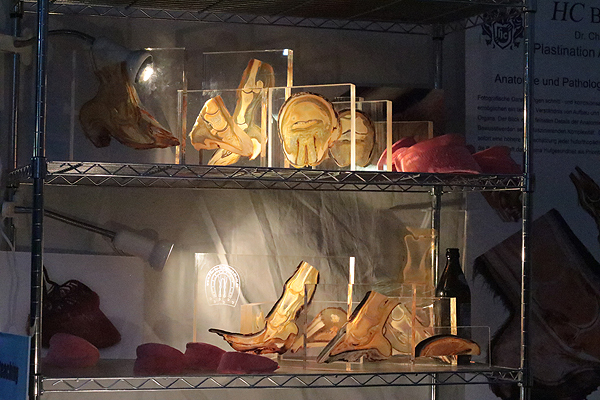 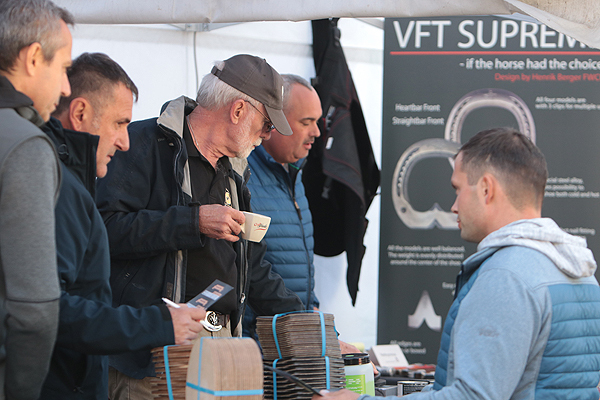 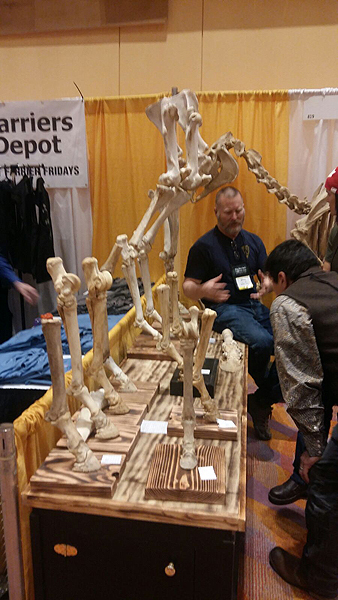 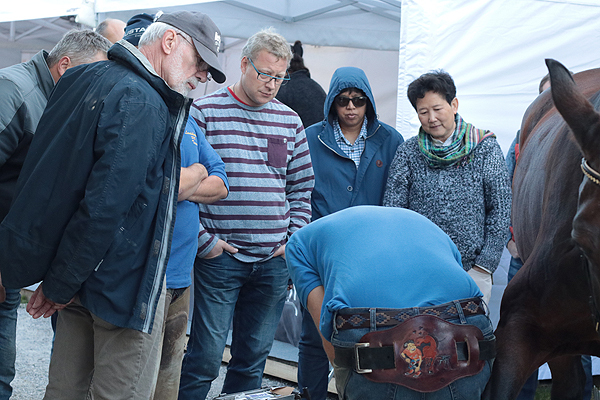 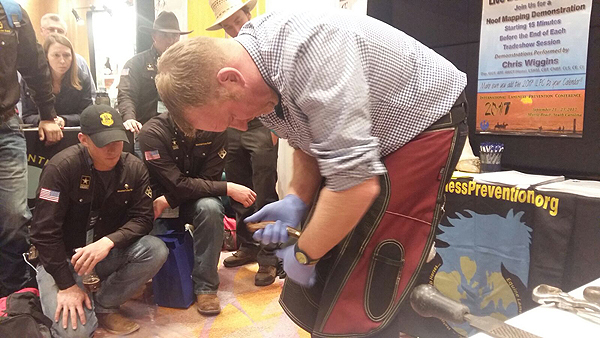 Many exhibitors have presented their outstanding products, outstanding blacksmiths, veterinarians and hoof technicians lectured in theory and practice. 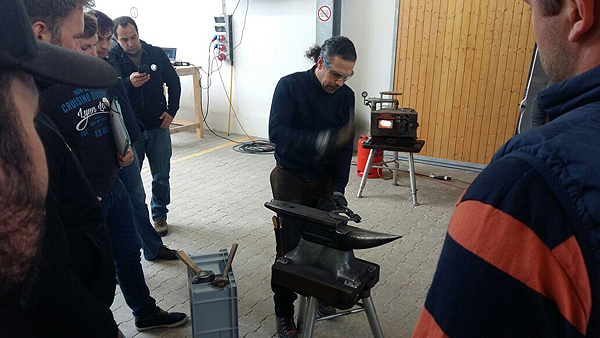 Thank you for sharing your knowledge and skills withus! 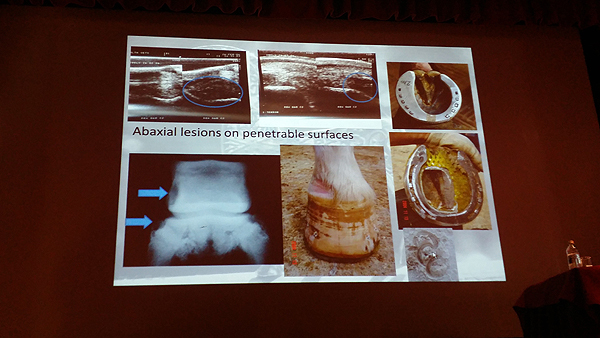 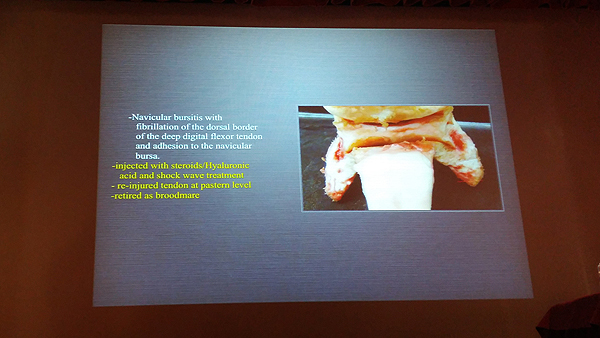 Detailed anatomy and pathology studies, problem hooves and their treatment options were treated in exciting, entertaining lectures, the practical part was in no way inferior! 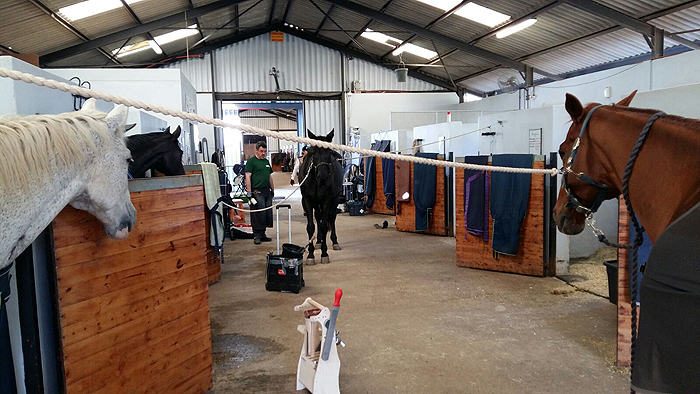 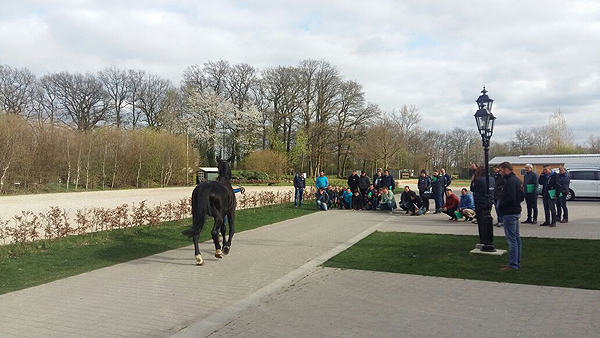 Many thanks to the owners of the great horses who came specially for these practical demonstrations! 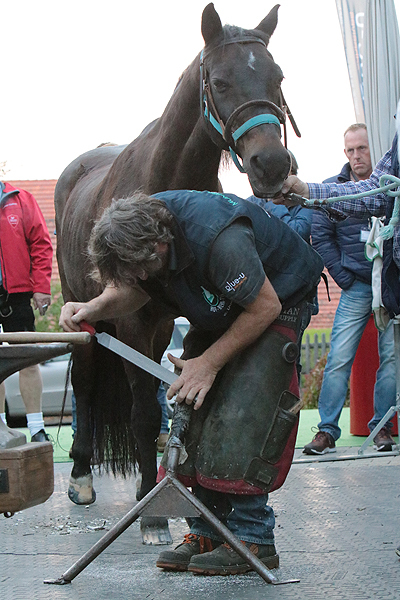 Whether classic fitting on a healthy horse, Hufrehebeschlag, Klebebeschlag, - the horses could optimally gohome on the way home. 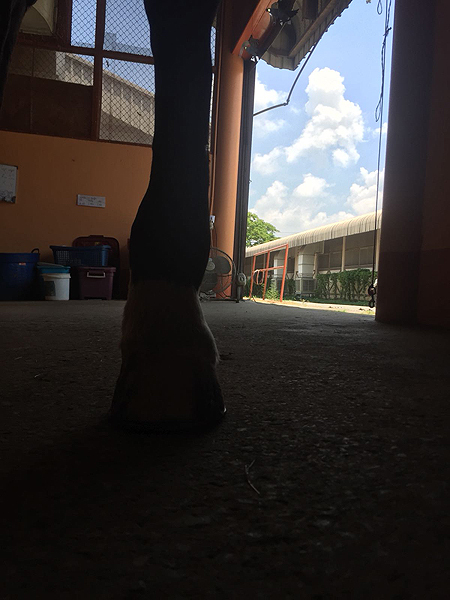 Until next time, - your horse and hoof health team! 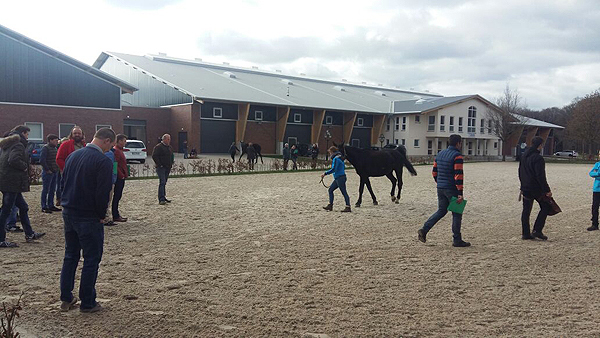 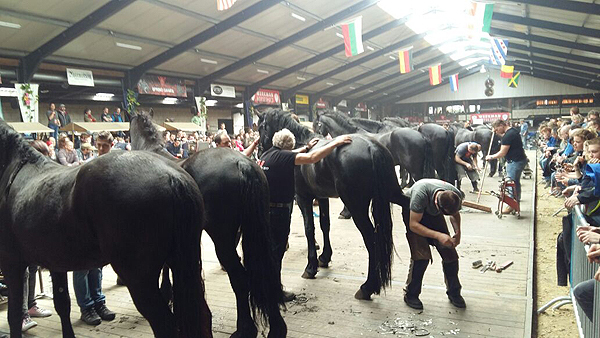 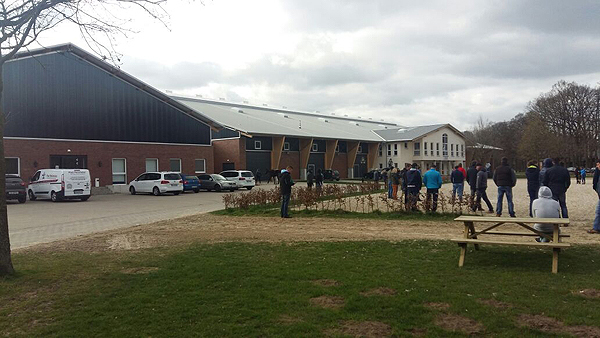 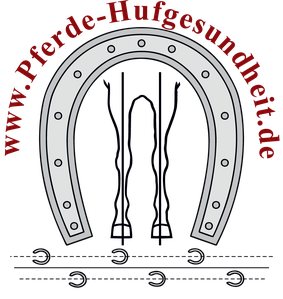 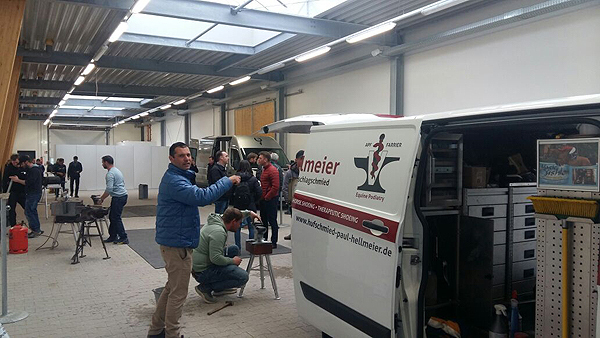 Informations about "Landsberieder Pferde und Hufgesundheitstage"
Collaboration between farriers and veterinarians. 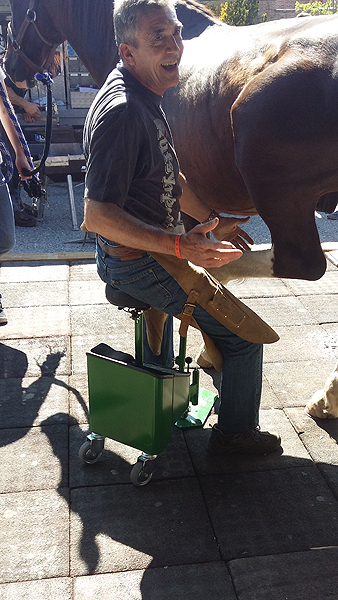 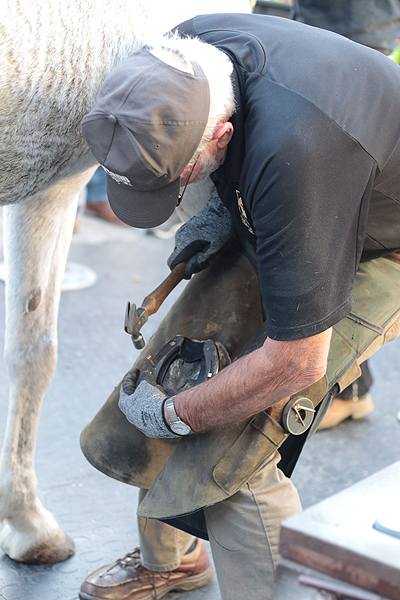 Once again, a very special collaboration between farriers and veterianarians has come about ! 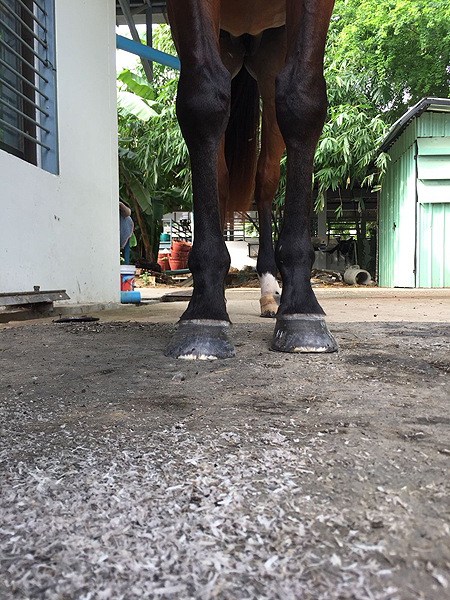 Dr. med. 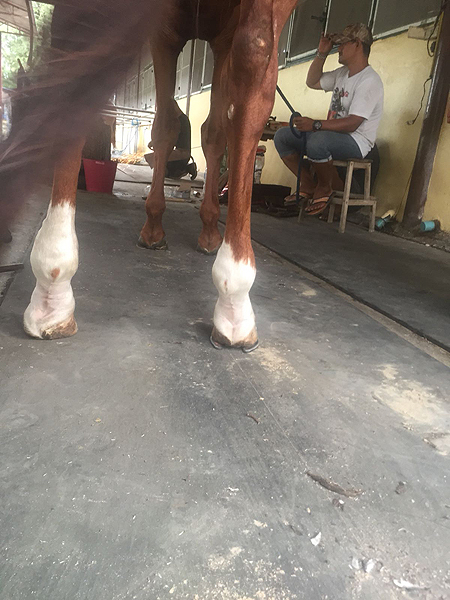 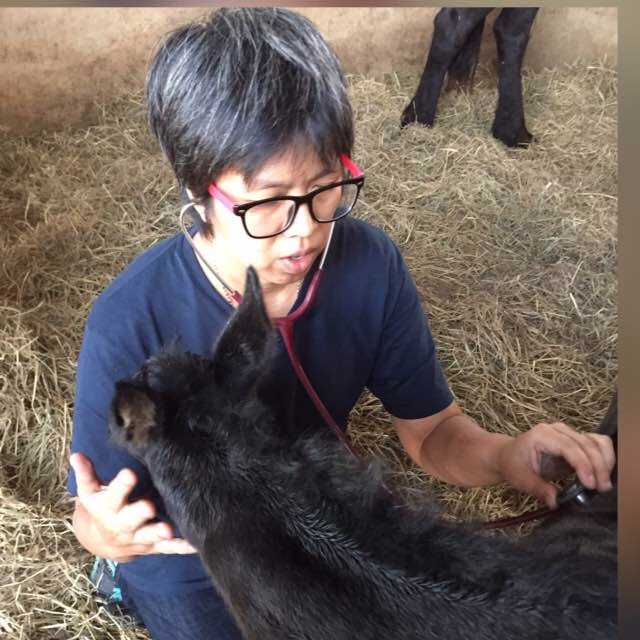 Sudarat Pung, veterinarian from Bangkok/ Thailand has contacted us for help with orthopedic problem cases. 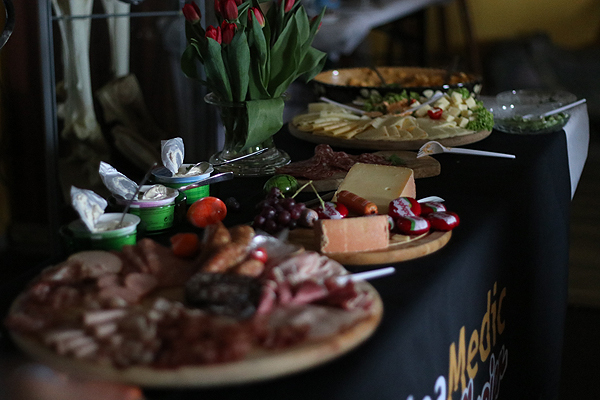 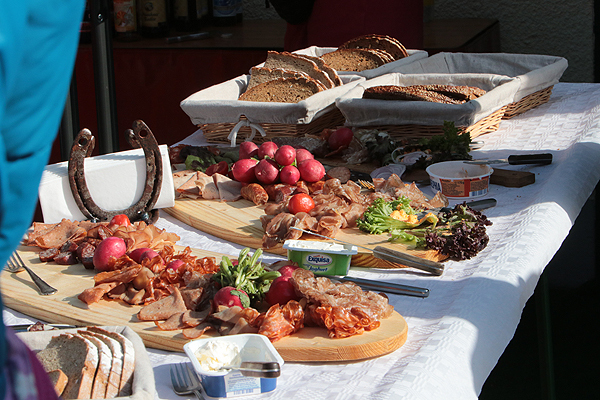 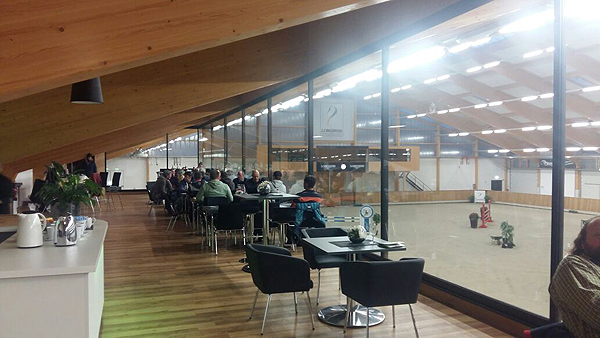 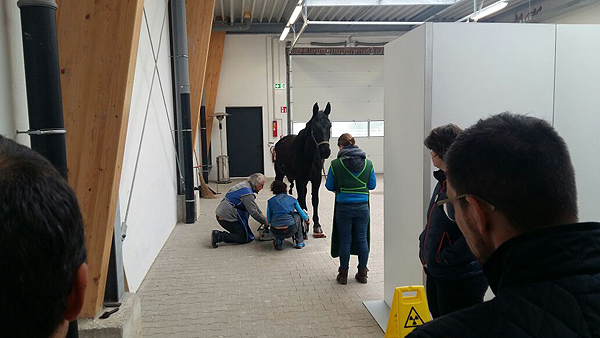 .. that was the plan for the "Sunday- Brunch" meeting at the "Center for Horse and Hoofhealth", and it was a succsses! 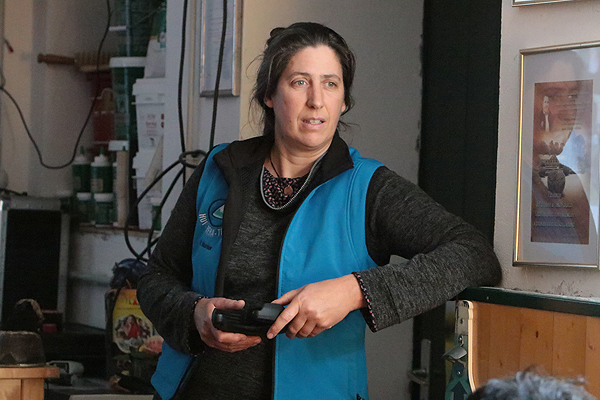 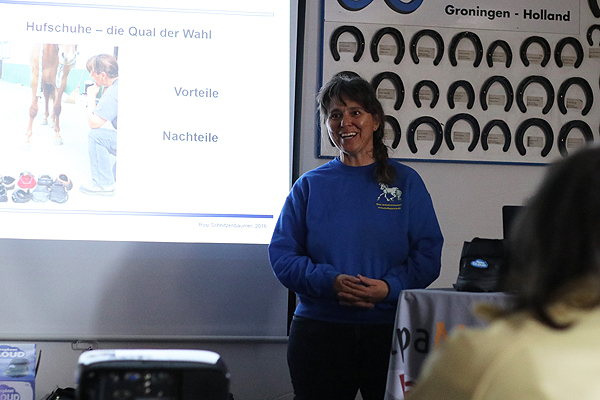 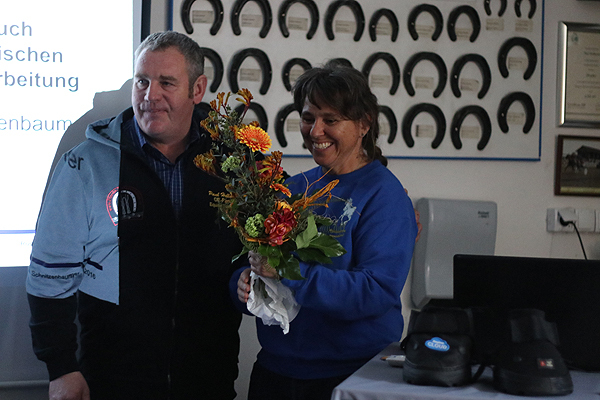 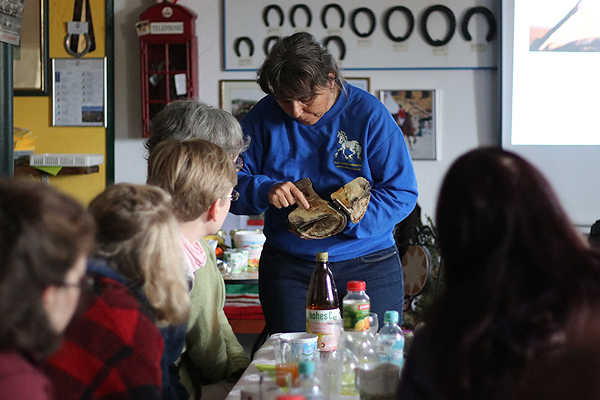 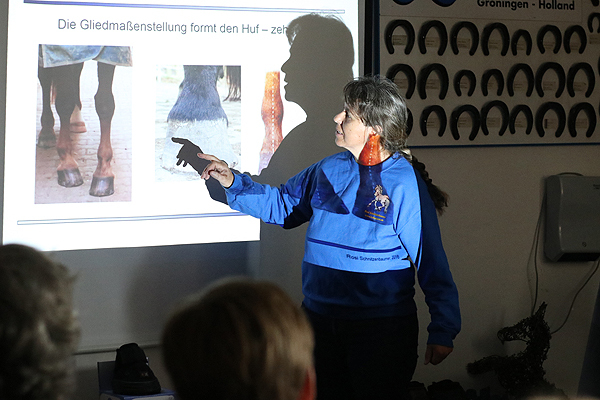 Rosi Schnitzenbaumer, hoof technician and horse osteopath, gave an exciting speech about the topic: "Does my horse need shoes, or can he run barefoot ". 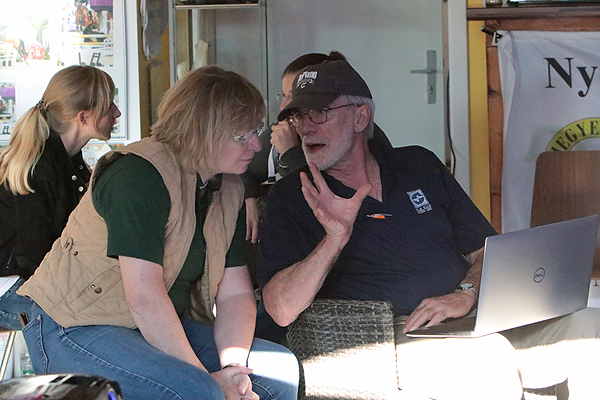 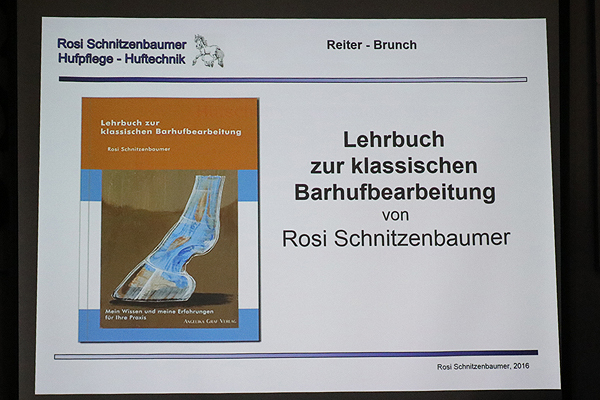 The topic: Osteopathy for horses in theory and practice with Rosi Schnitzenbaumer. 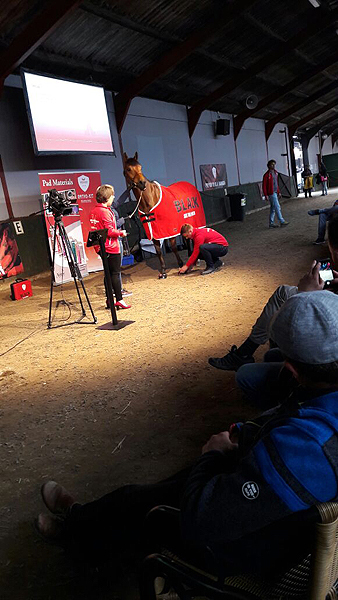 2017 is coming to an end, and i have a brief review of the past,- and a short preview of the exiting year ahead. 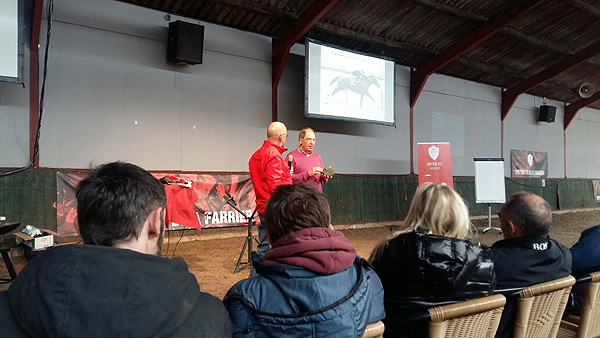 Anyone, who's curious now, can open the PDF and get informed about my upcoming events. 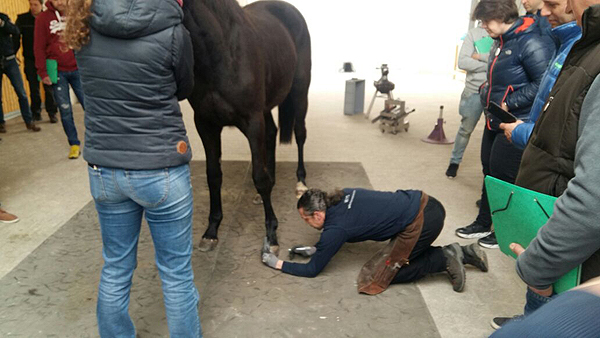 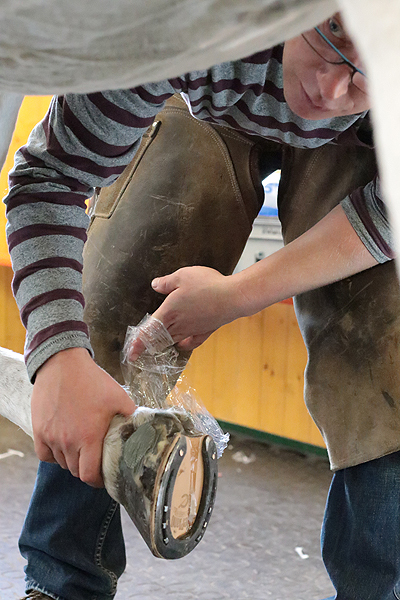 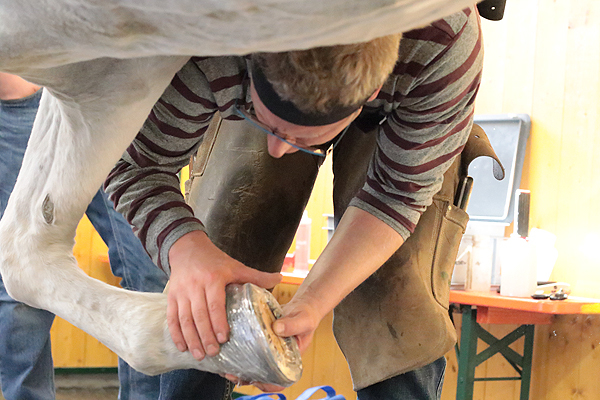 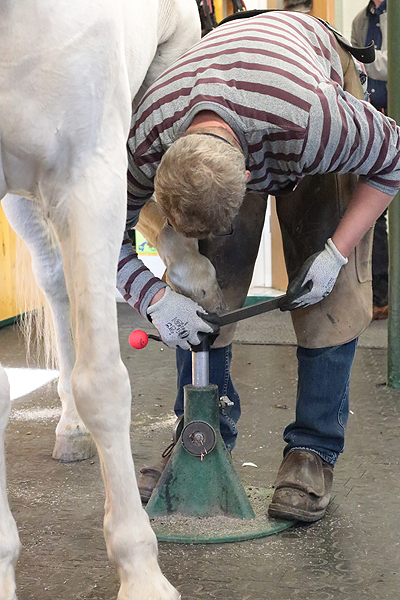 On 20/21.April 2018 on the occasion of the 50th anniversary of the Schwaiganger Horseshoeing School,there will be a 2-day training course . 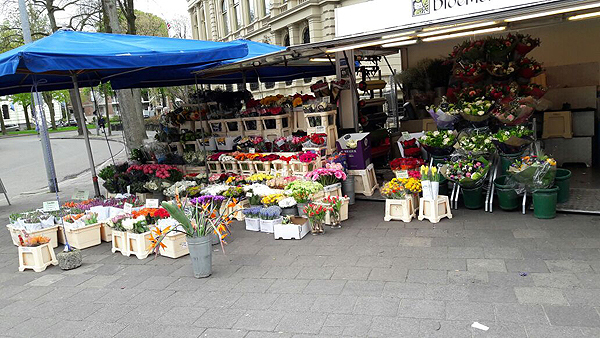 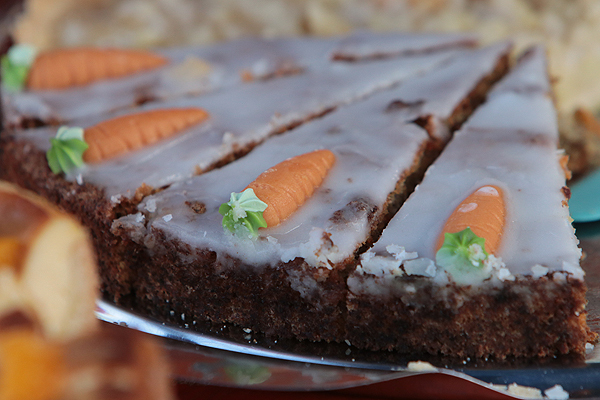 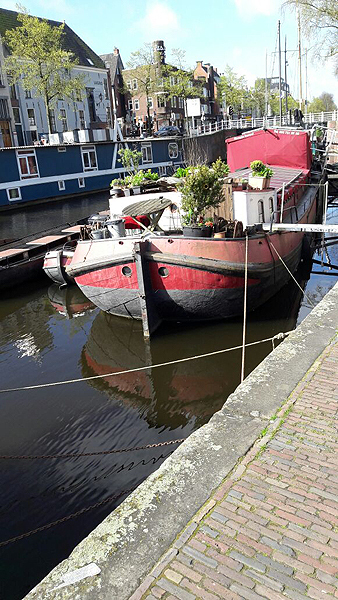 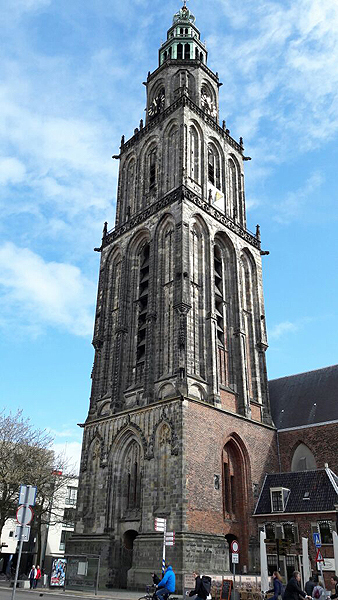 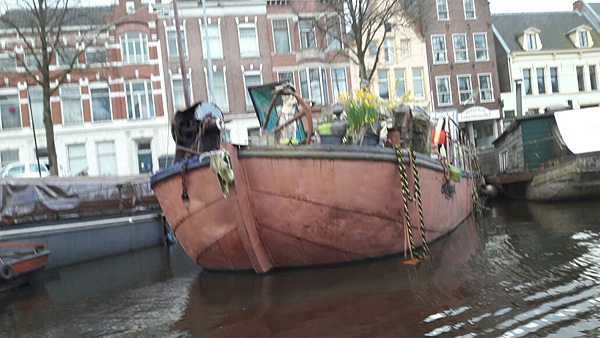 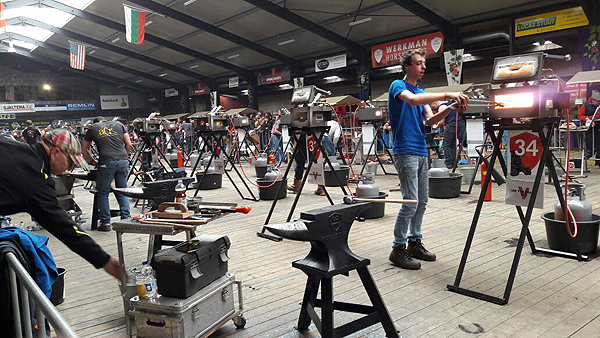 All colleagues and interested people are invited to the festivities, the workshops, lectures and live-demonstrations! 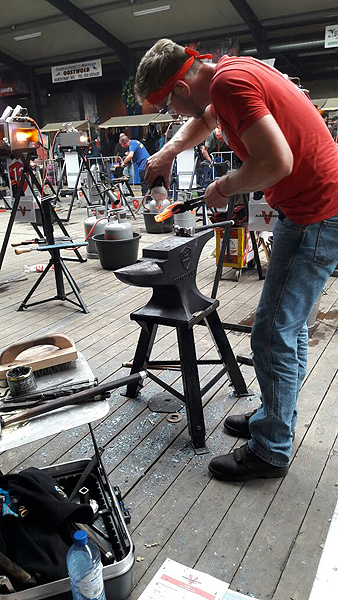 Six times Grant Moon was the winner of the title "World Champion Blacksmith". 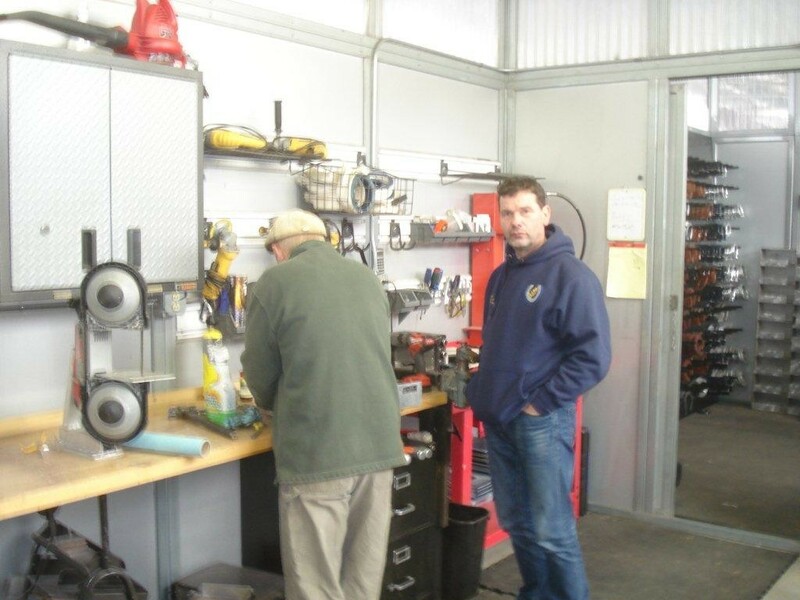 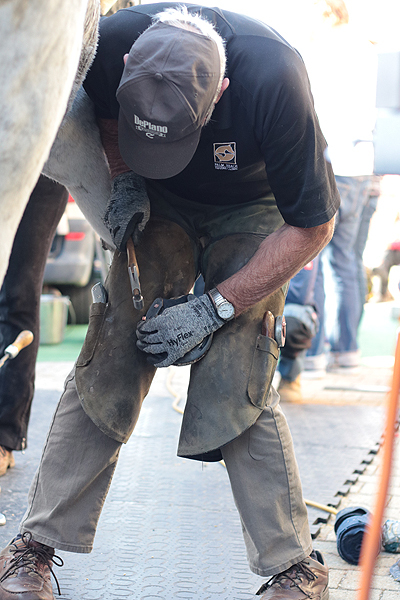 He has worked in 36 different countries and gladley shares his knowledge in workshops worldwide. 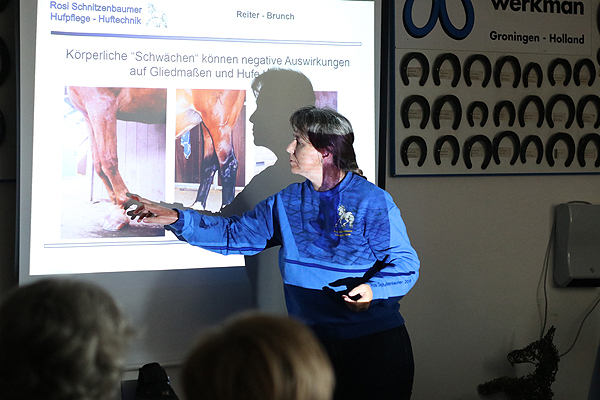 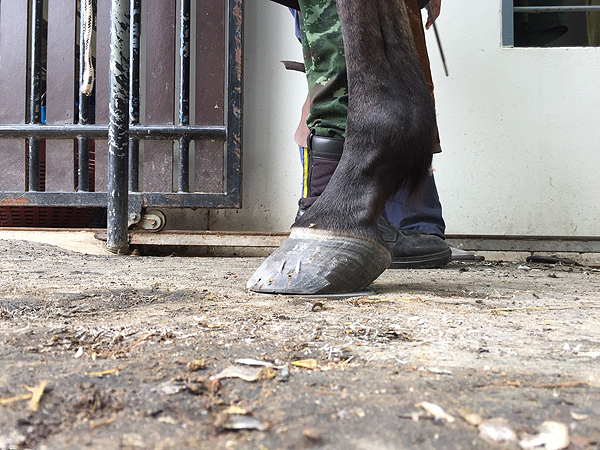 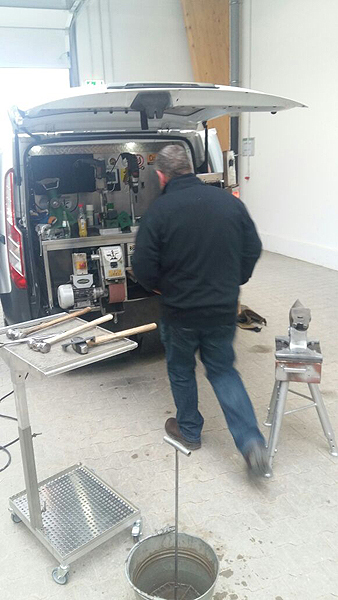 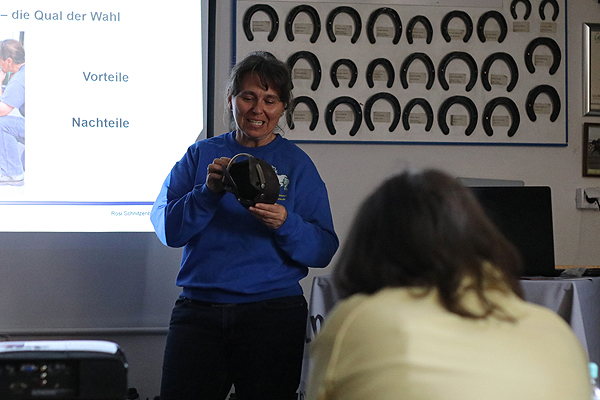 In the school and education center for Vorarlberg, Paul hellmeier will hold an expert lecturer on various topics of hoof health. 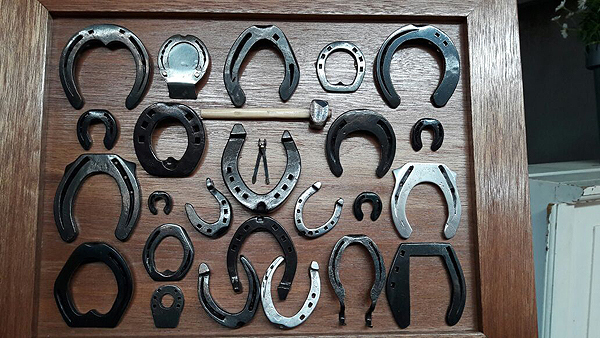 All horseowners and interested persons are cordially invited! 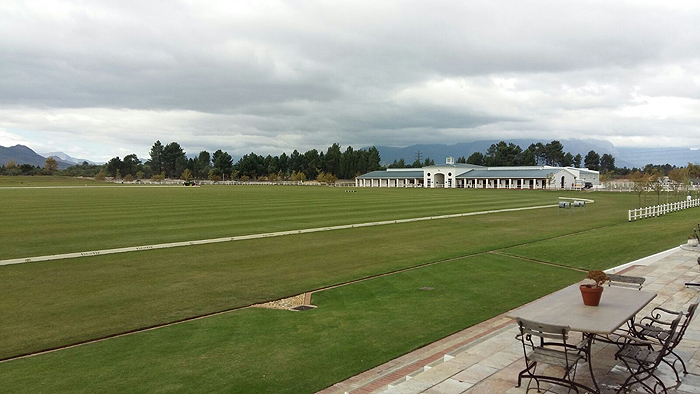 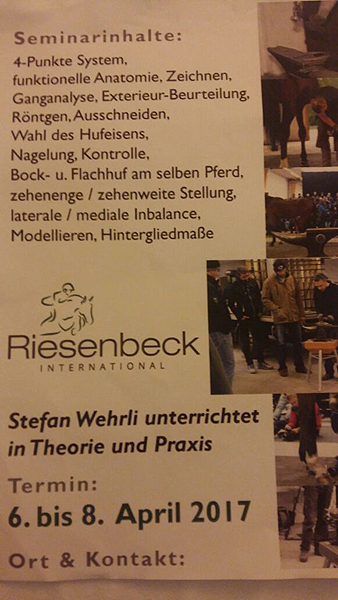 A highly informative seminar at Riesenbeck international, the impressive estate of Ludger Beerbaum. 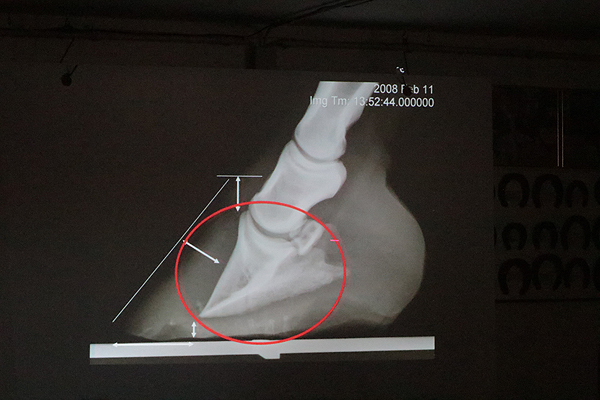 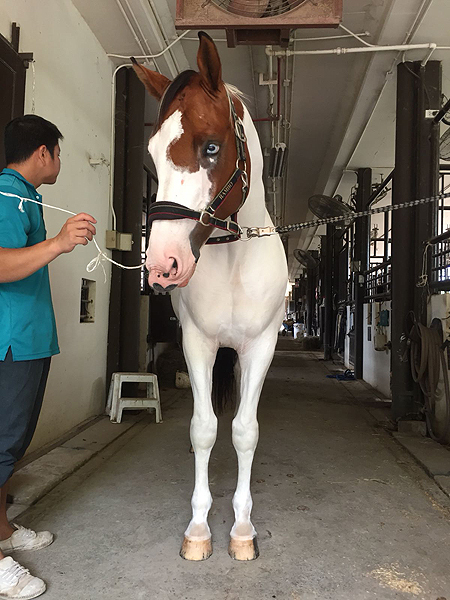 The aim of the course is that the participants learn to analyze the horse in motion, his limb positions and his hooves. 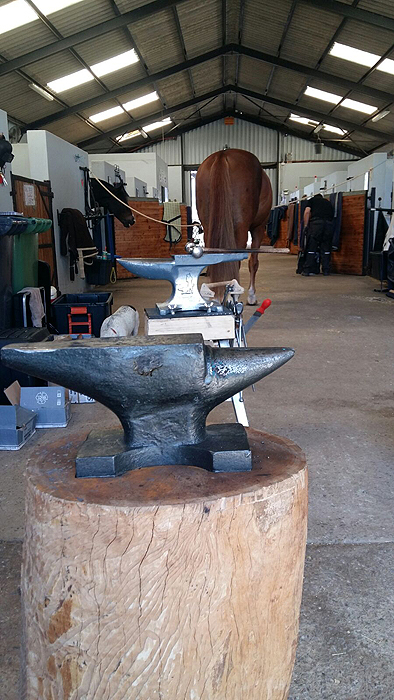 The shortcommings, wich bring the horse with it, can only maintained by farriers. 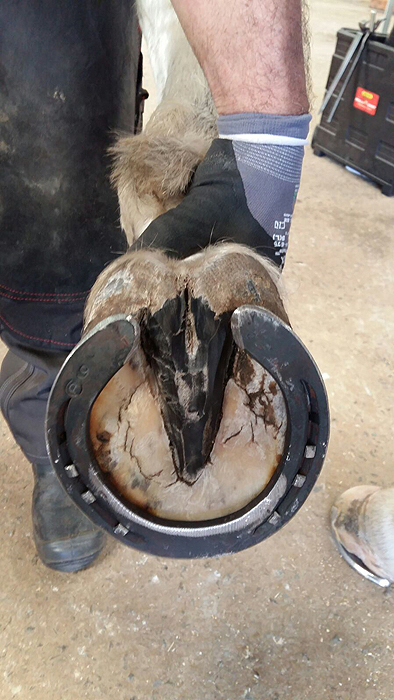 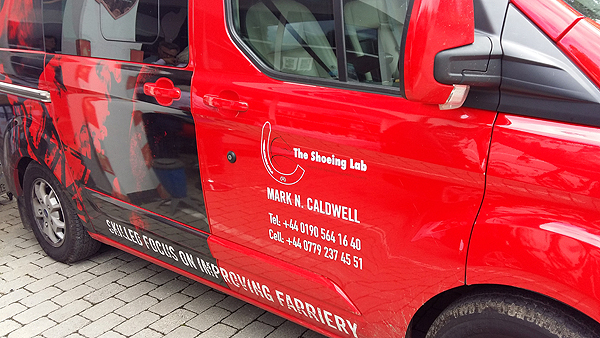 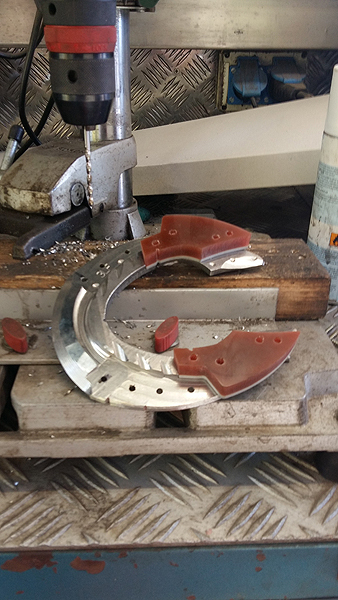 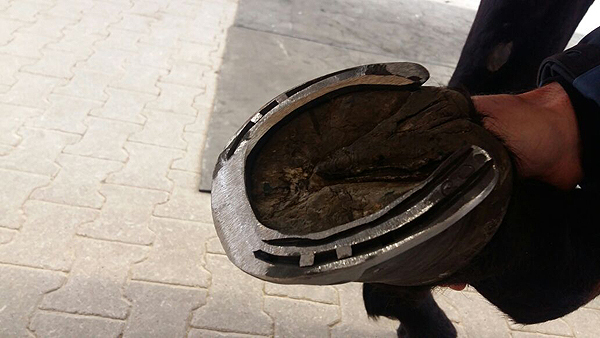 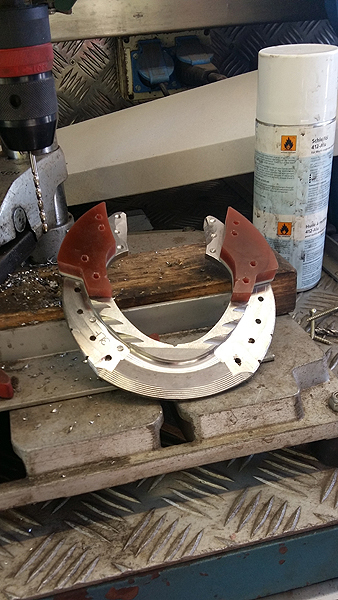 Faults wich are caused by shoeing, can be corrected. 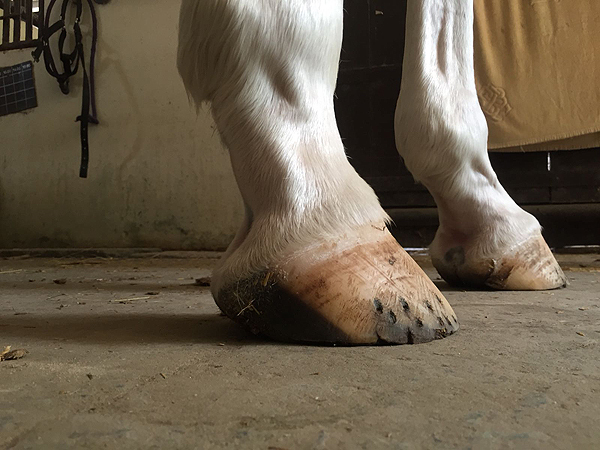 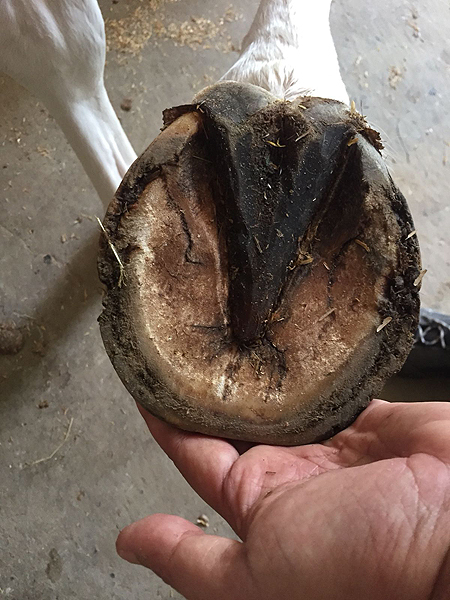 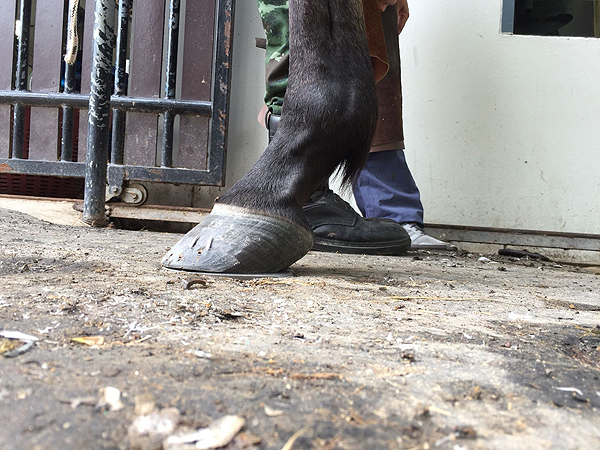 The individual balance has to be found for each hoof. 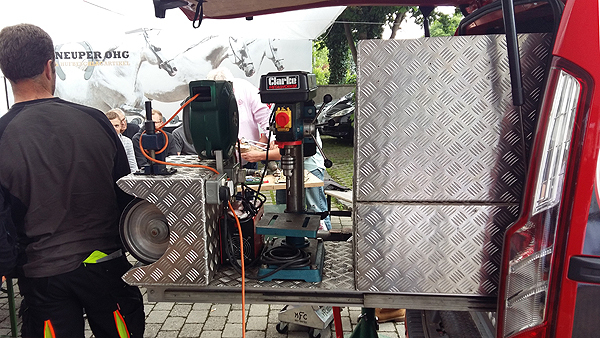 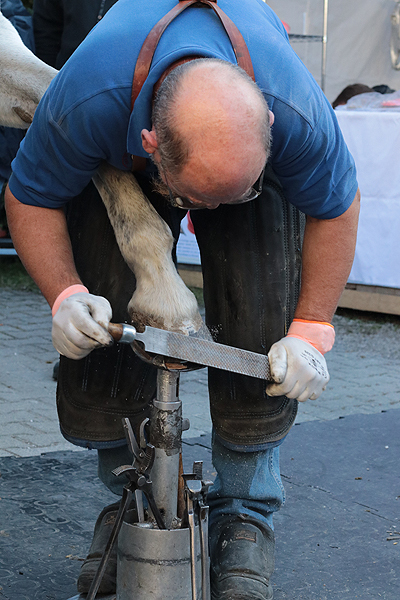 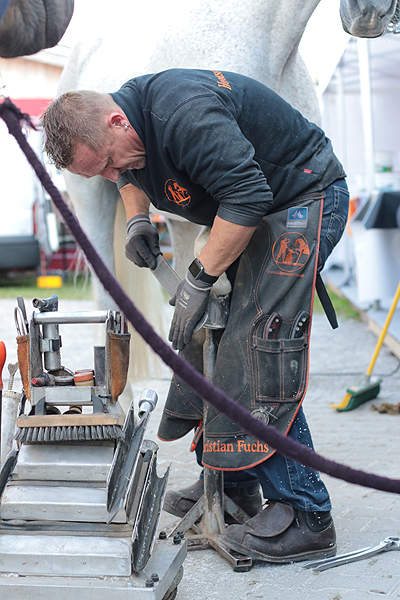 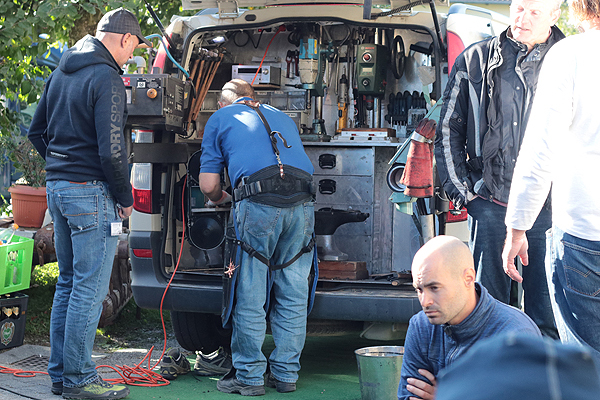 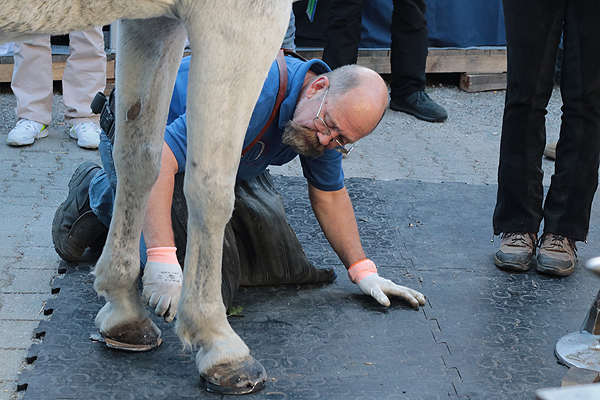 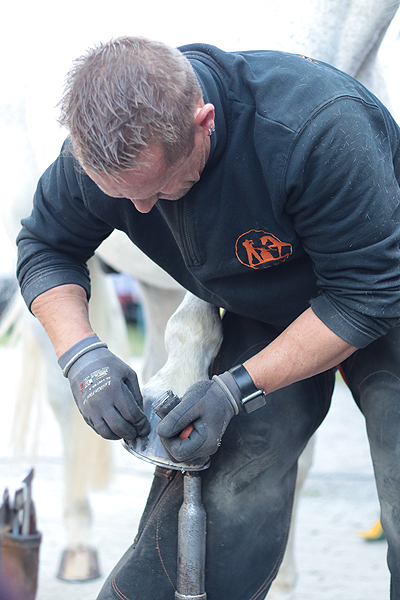 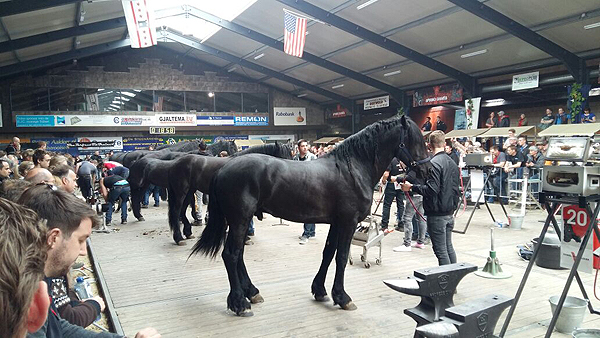 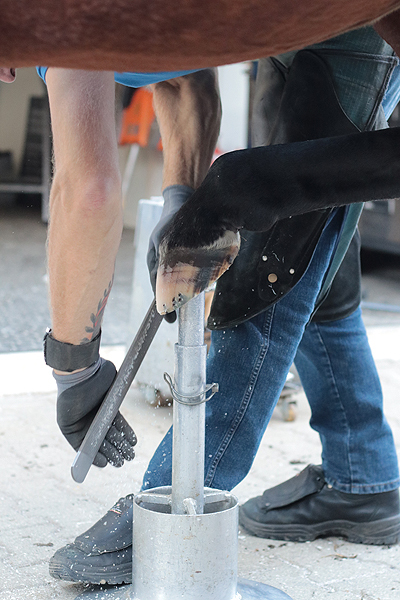 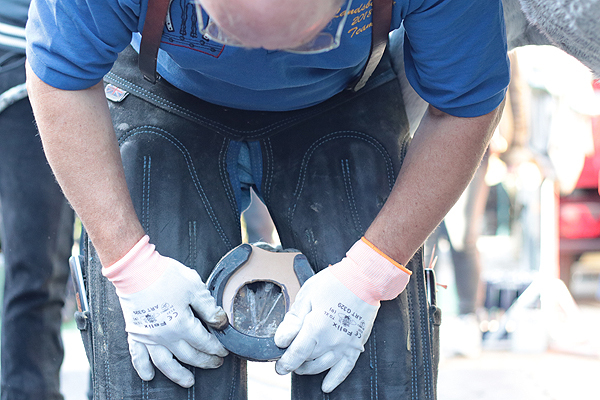 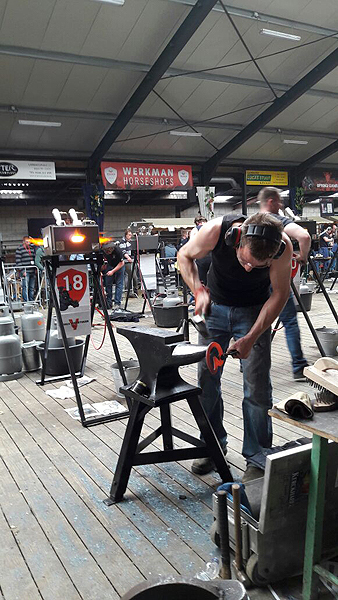 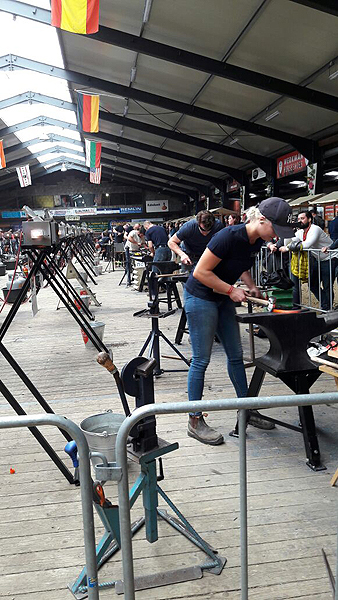 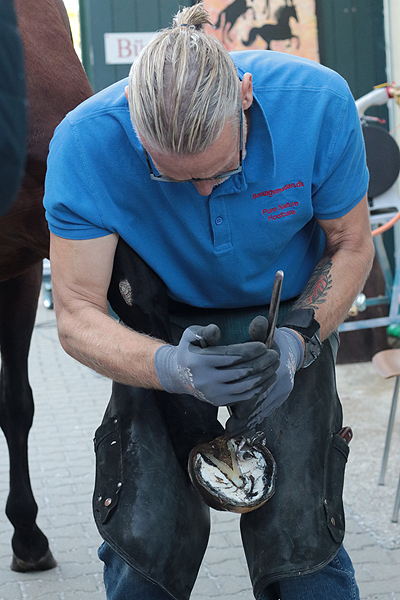 One of the biggest farrier-competitions worldwide, with high-caliber lectures and hands-on workshops, embedded in a great suppoprting program. 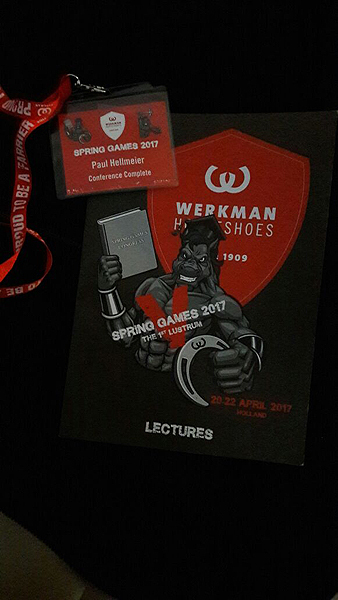 Werkman Spring Games- one of the most inspiring events of the world! 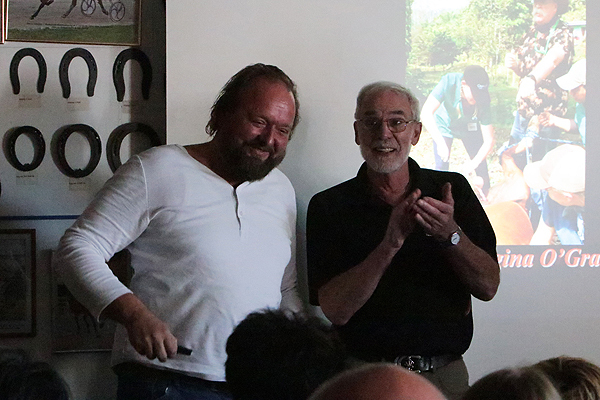 Andi Hundsmann is organizing a triology in Schwaiganger with Dr. Hans Castelijns,- the third part beeing really cool! 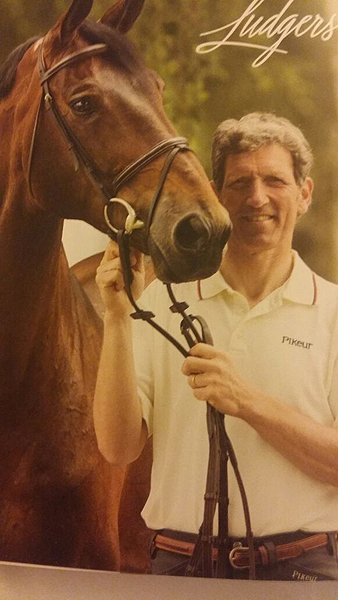 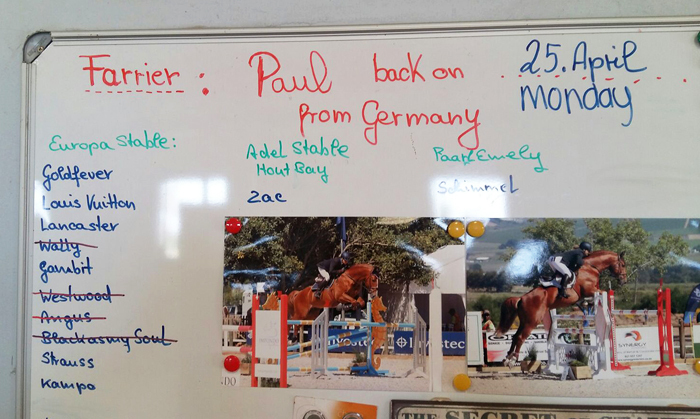 Session III will hold Hans together with francis Debosse, a "monster" in the matter of horse evaluation! 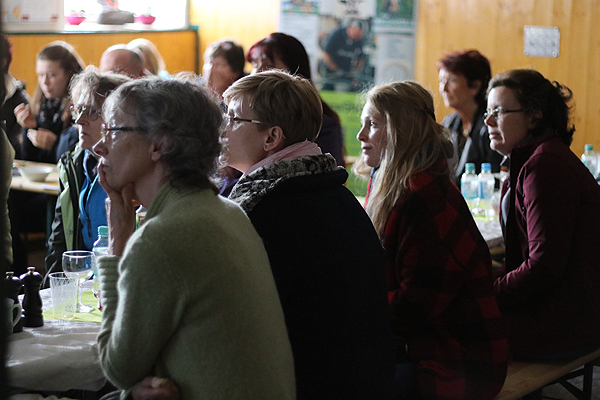 In the third part up to 80 participants can register! 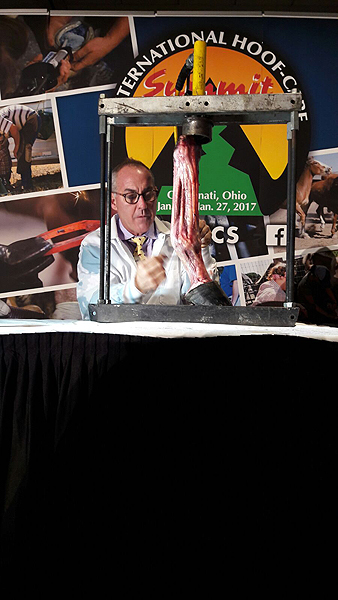 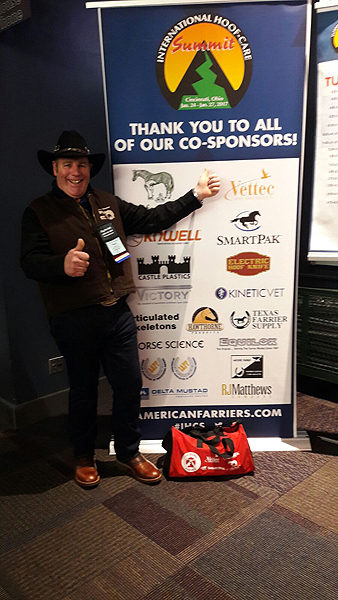 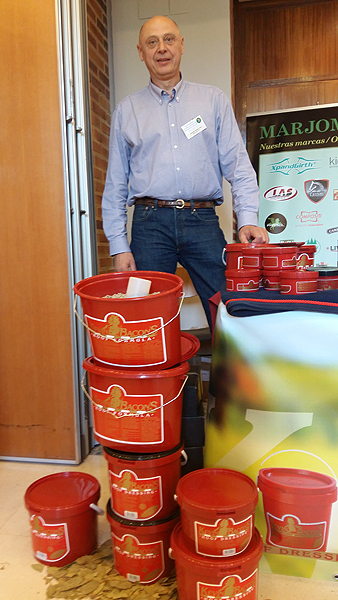 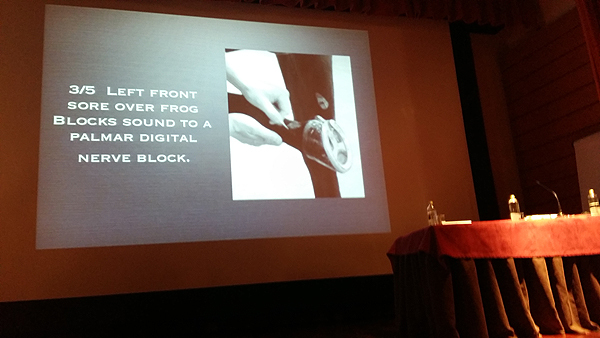 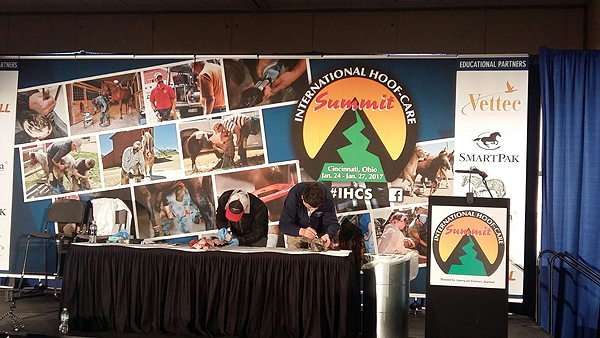 Once again it was great experience to visit the International Hoof Care Summit in Ohio/USA! 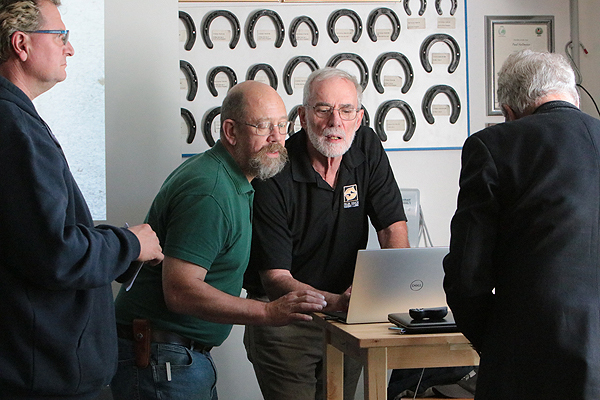 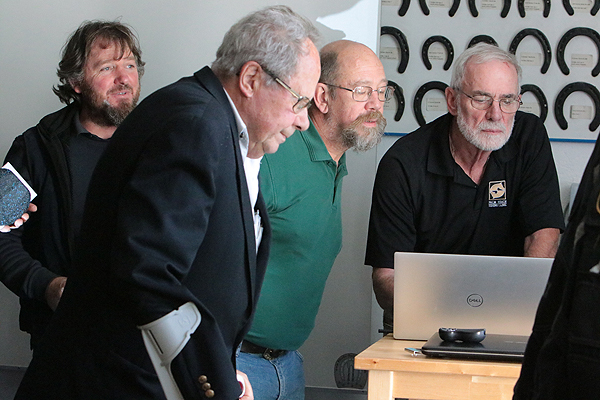 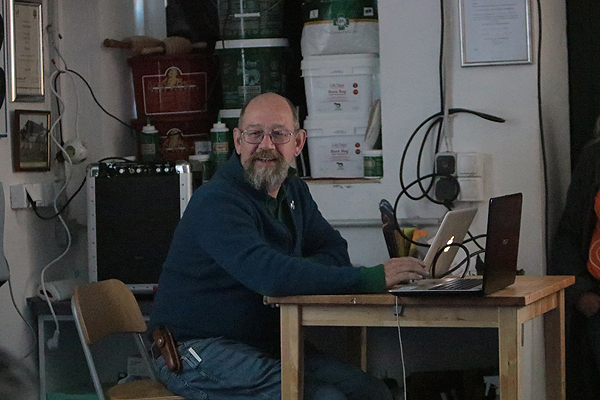 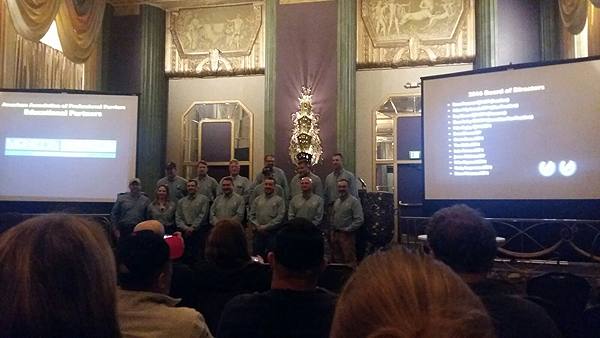 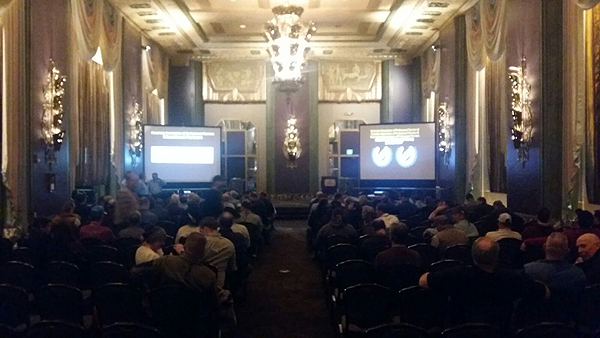 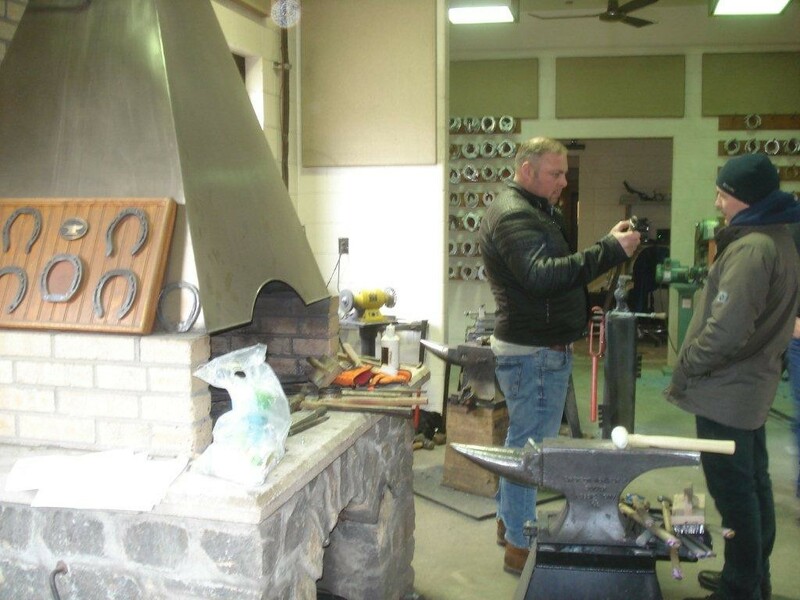 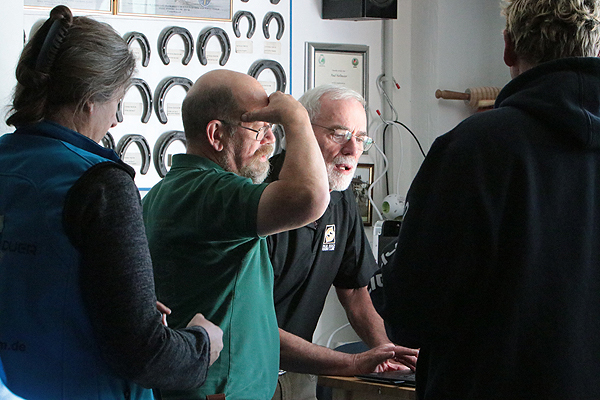 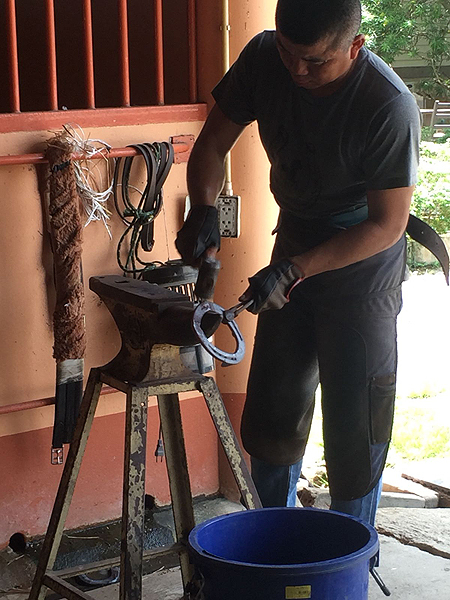 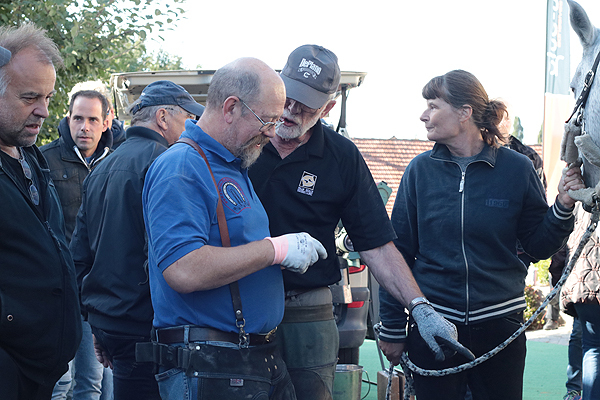 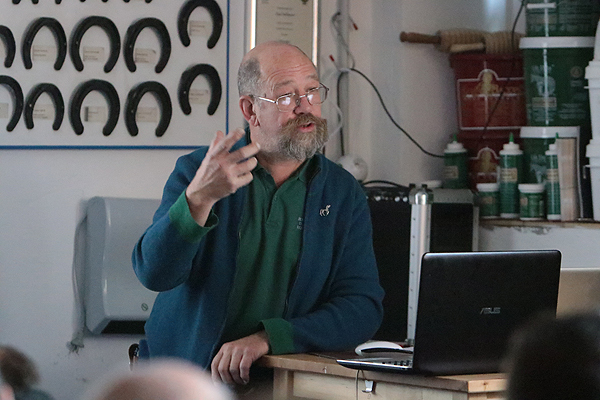 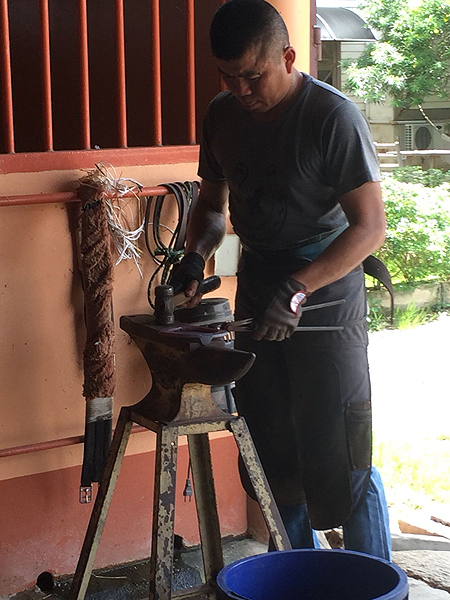 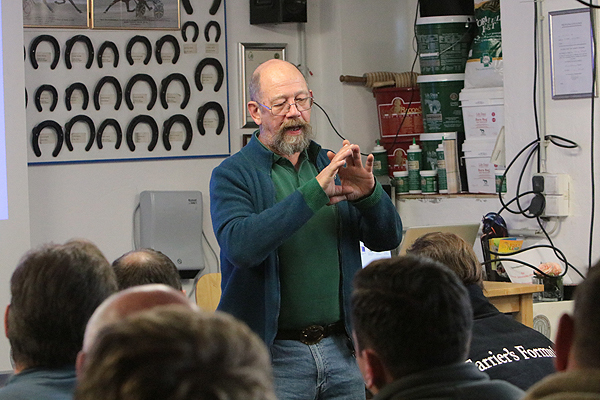 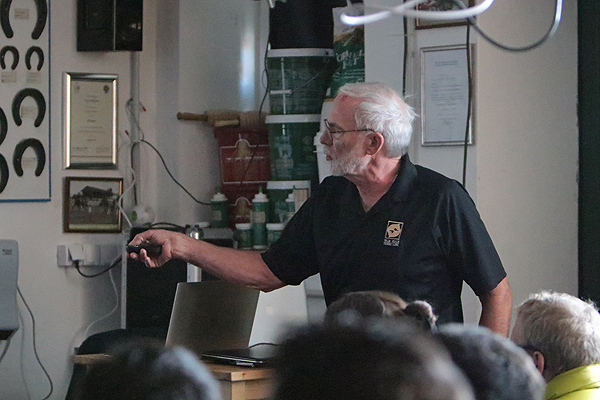 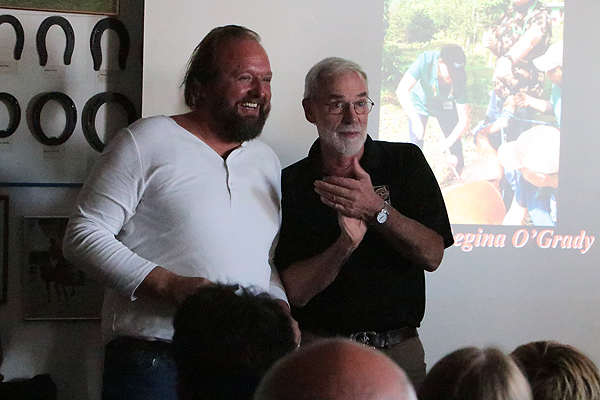 World-renowned capacities at the guild of farriers, such as Ric Redden, Grant Moon, Mitch taylor, Simon Curtis, Monique Craig and others, gave lectures and gave all their knowledge and skills to us participants! 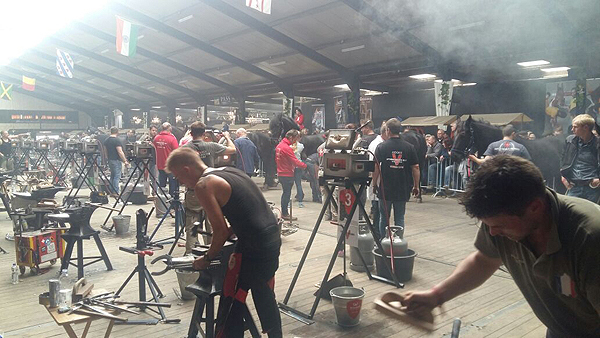 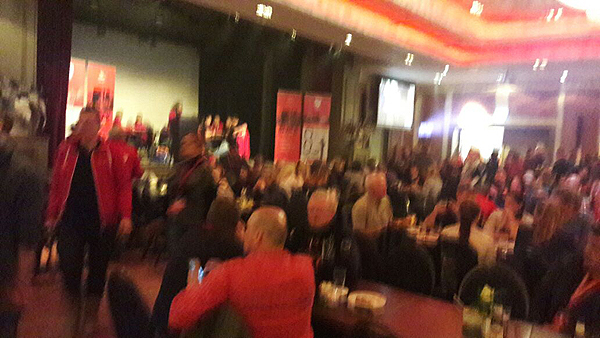 Tanks for this wonderfull event,- until next year! 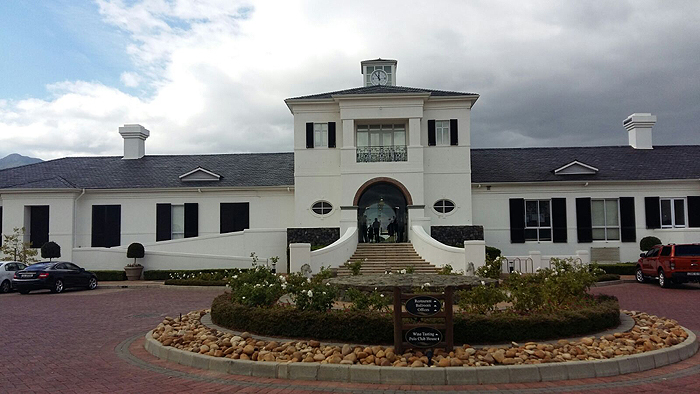 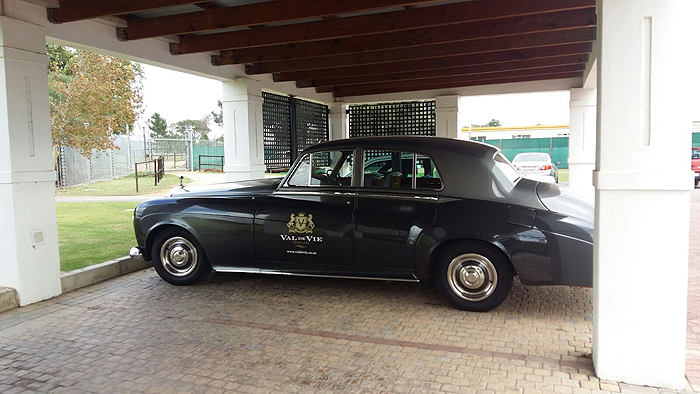 We spent a wonderful week in Cape Town, with a really impressive SightSeeingTour and a fully booked seminar day. 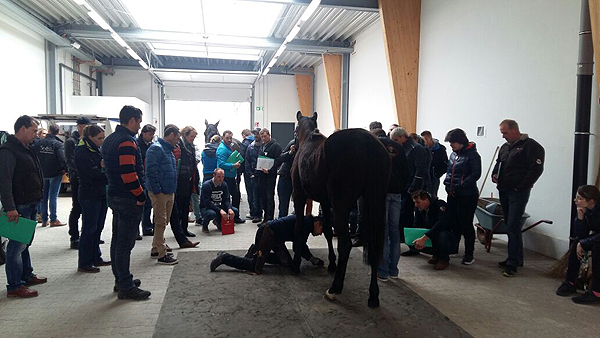 Highly interesting lectures let the morning pass quickly, the afternoon was dedicated to the practical fitting work of Dr. Casteljins. 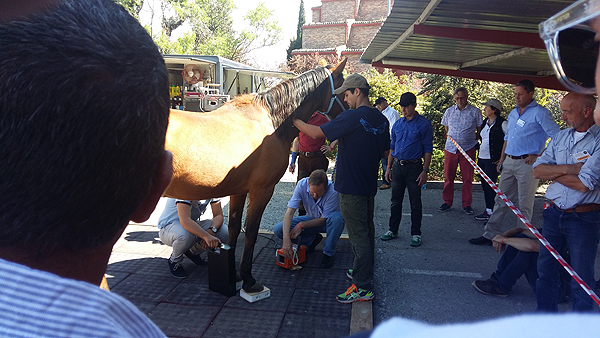 Four hours were devoted to one of the two "patients", who suffer from a massive horn split, with diagnostics, case discussion and subsequent fitting! 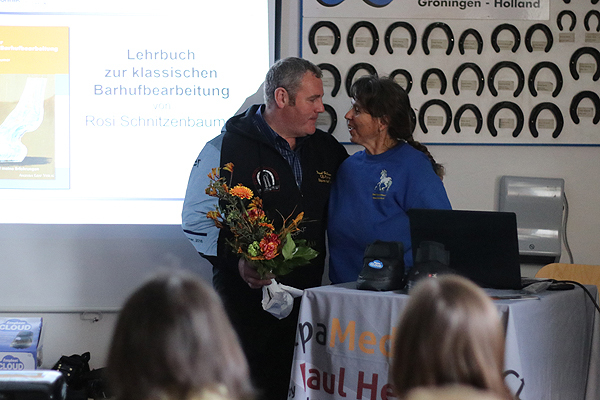 Many thanks to all the speakers who made this special day possible! 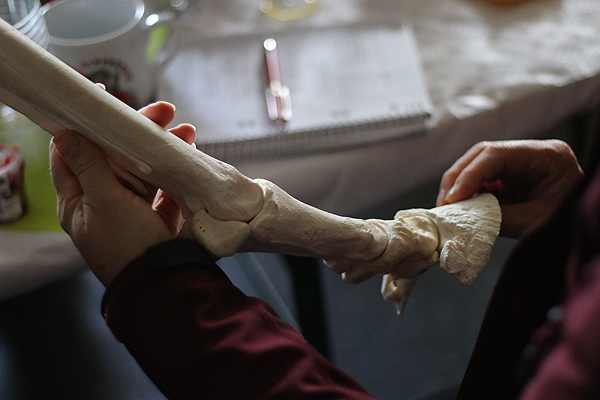 4 days and dozens of hours of non-stop, indepht footcare learning...plus networking with others in your profession who are dedicated to self-improvement. 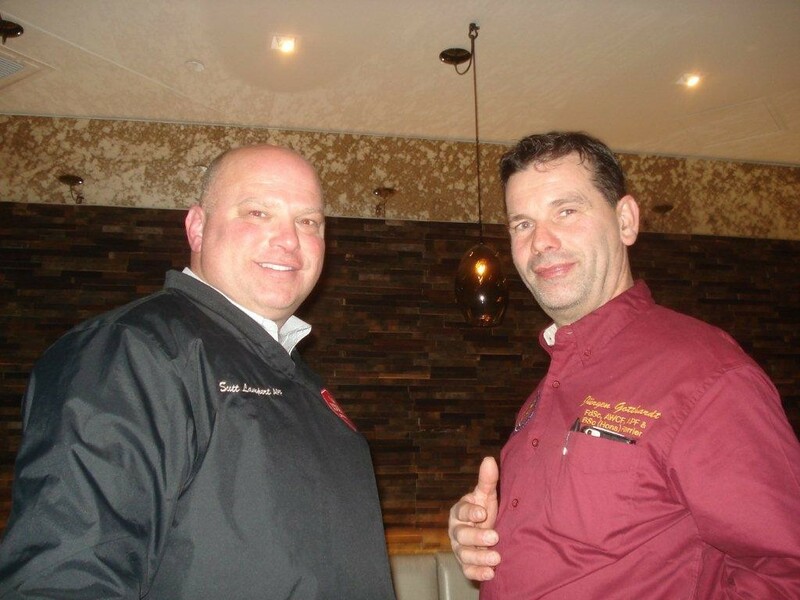 TOP EXPERTS.WORLDWIDE EXPERIENCE. 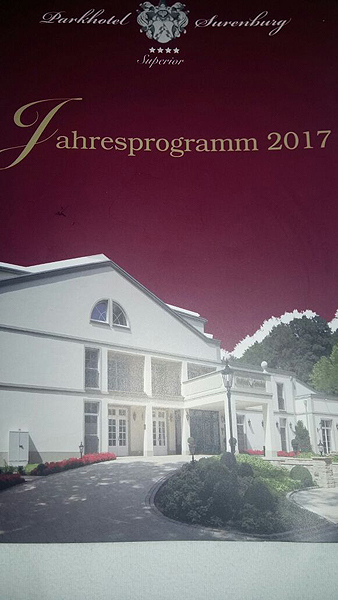 ...should not be missed! 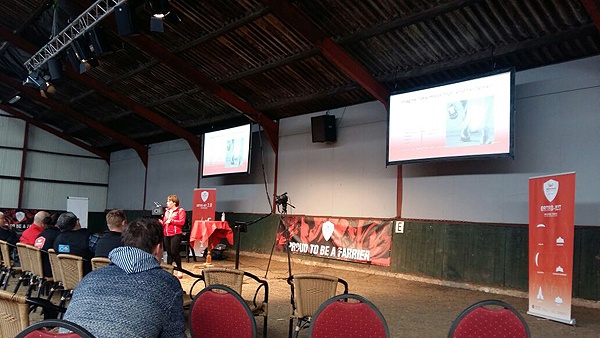 Now the lecture topics of the speakers are fixed and we can offer you informations or help getting there or booking your hotel. 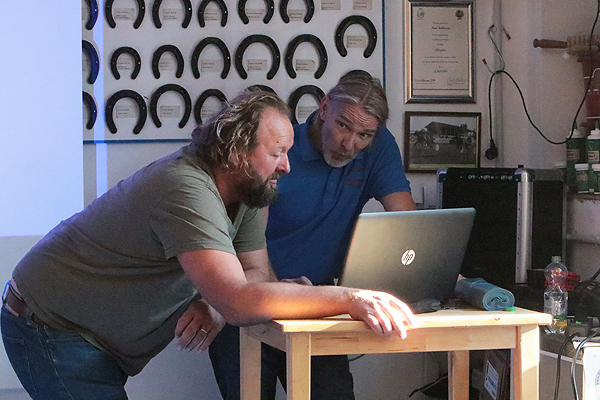 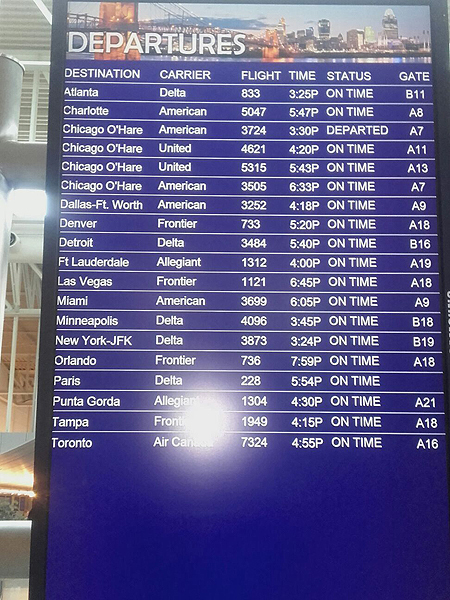 I believe it will be one of the most interesting meetings ever…. 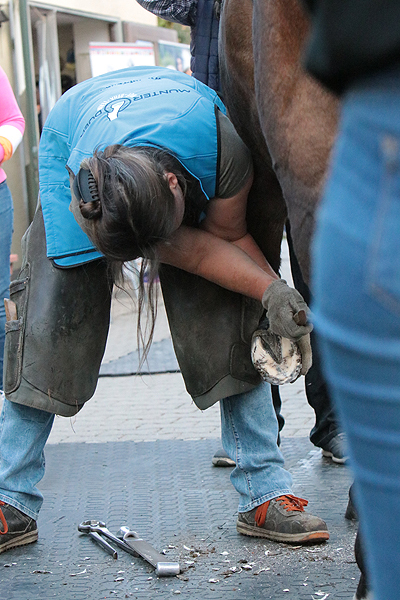 It may be a challenge for the younger participants, but ambitions are necessary for progress after all. 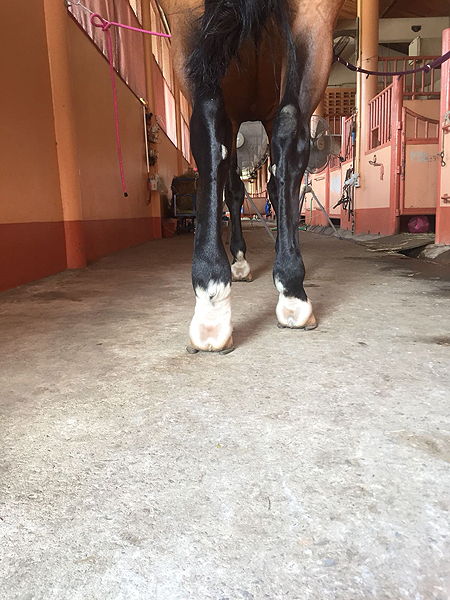 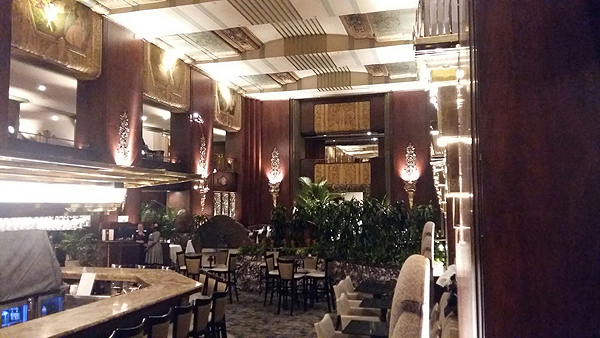 So be excited for the new and different LUWEX 2016 –with charm and niveau." 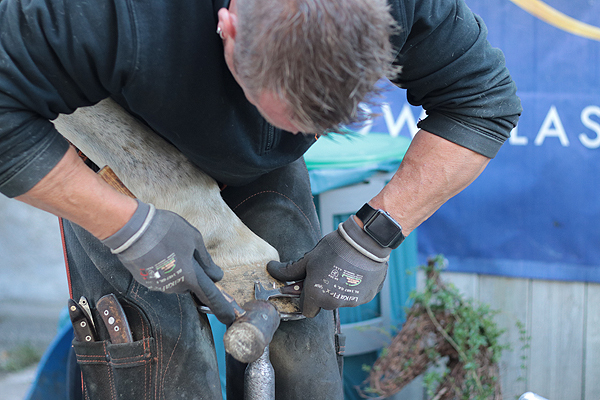 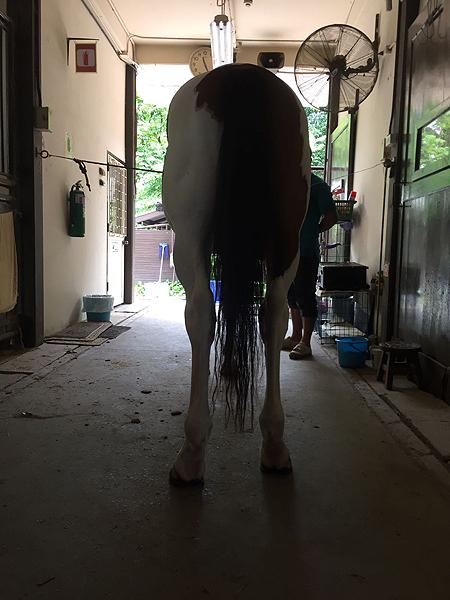 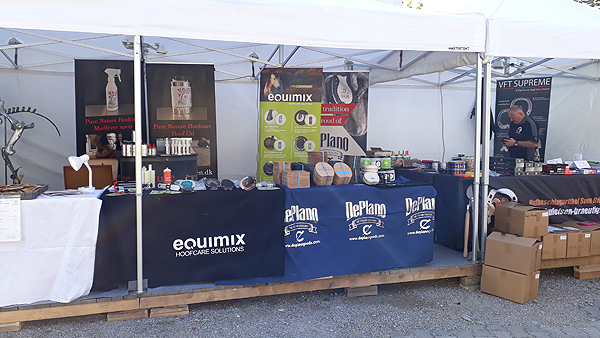 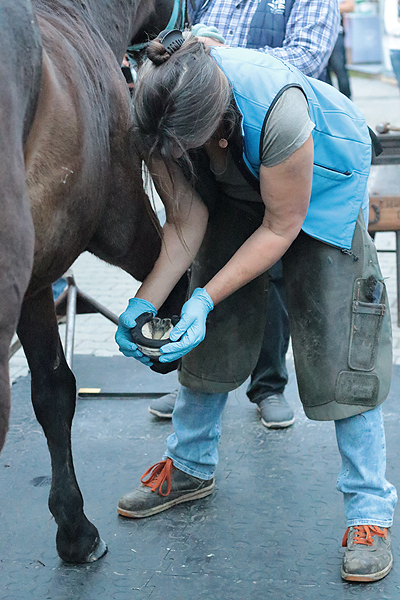 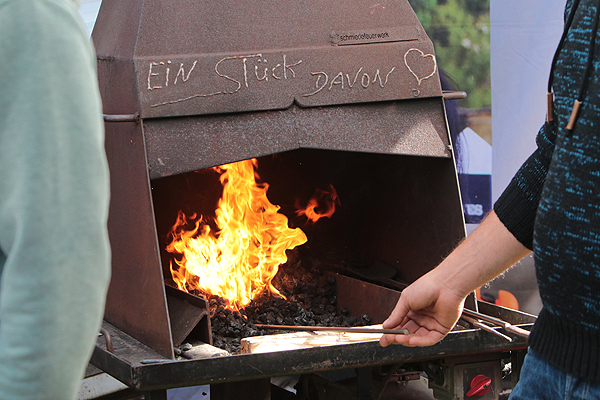 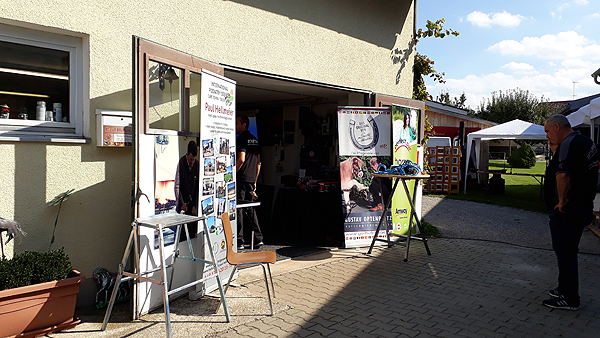 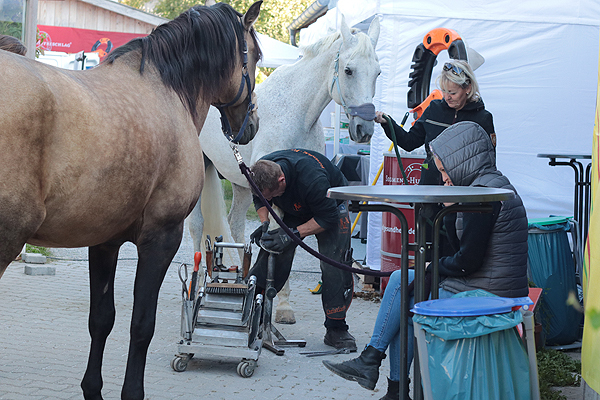 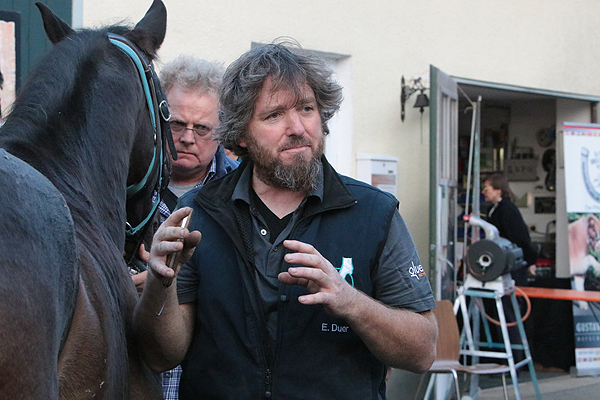 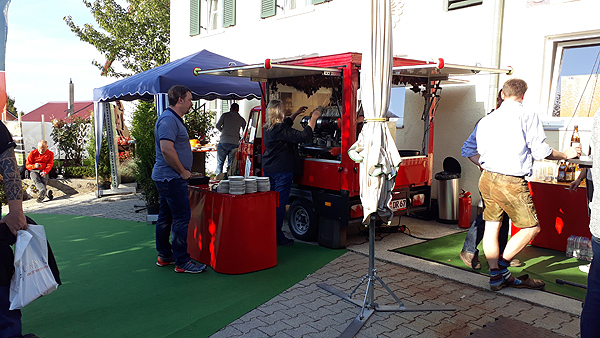 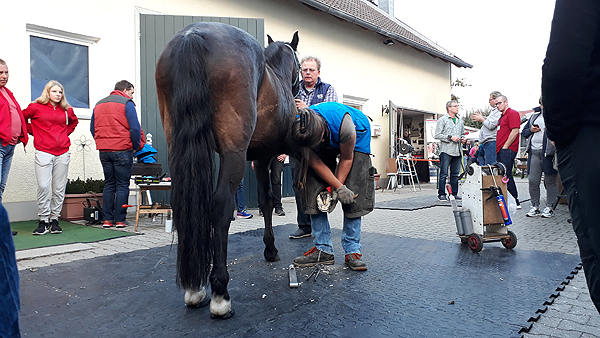 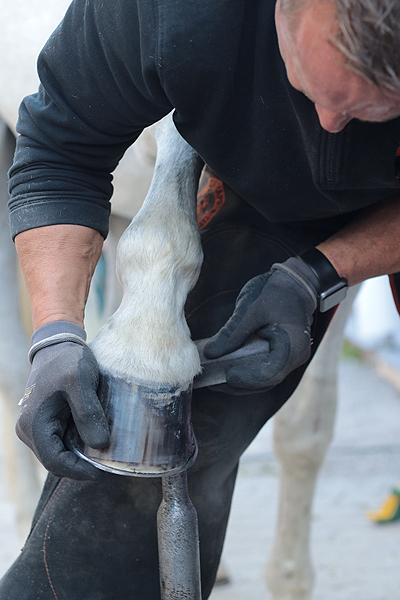 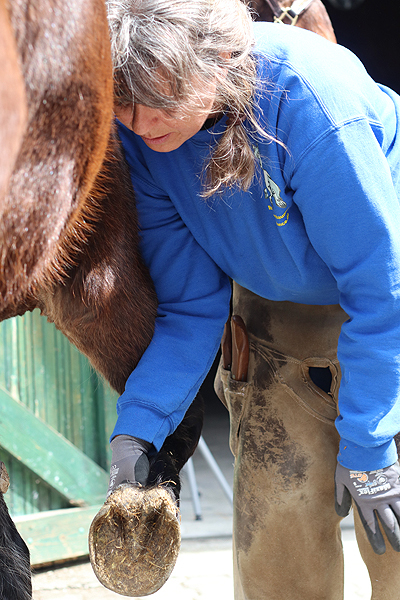 The"Center for Horse and Hoof-health" will be there to present "Helpa Medic" and "Segment-Shoeing"
The "Zentrum für Pferde und Hufgesundheit", in collabaration with Drakenstein Veterinary Clinic, present you a Seminar about Hoof an Horse-Healthy. 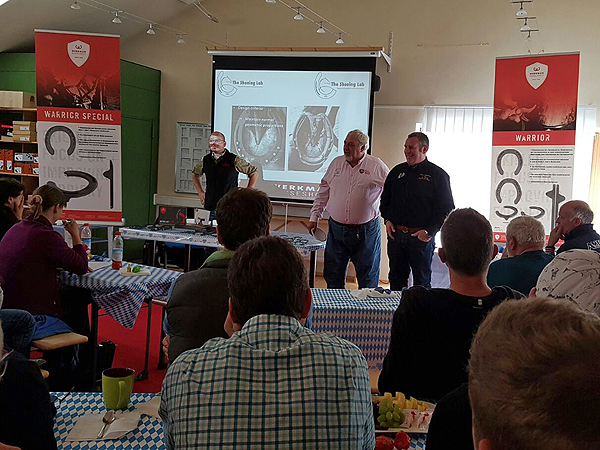 Our Speakers are Dr. Andrew Gray, Veterinary surgeon of Drakenstein Clinic, Dr. Hans Casteljins, Ray Knightley, Marc Caldwell and Paul Hellmeier. 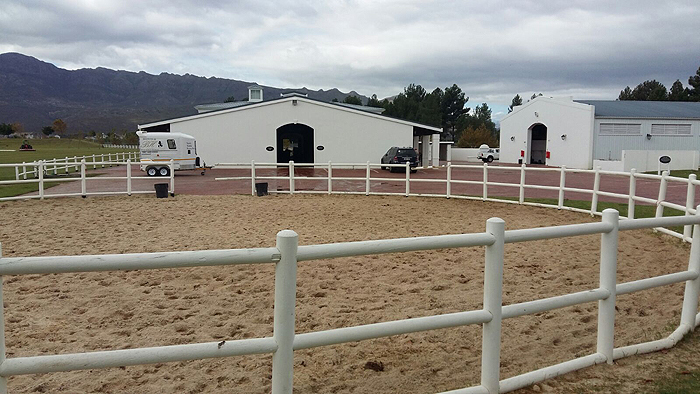 It is possible to come 2 days before Seminar and explore the world of horses around Capetown in an organized Seightseeing tour. 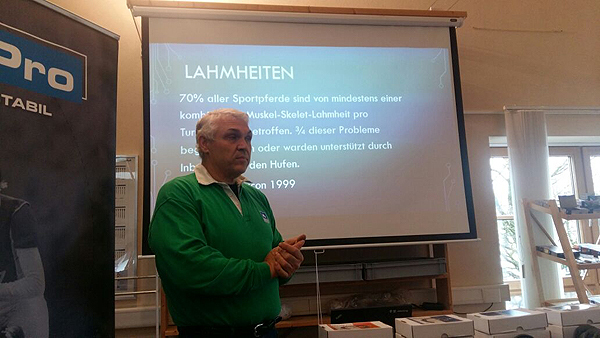 More Informations on the Lecture Topic comes soon. 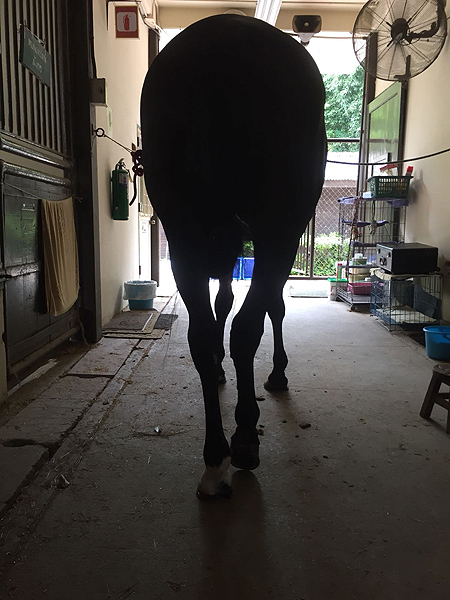 Who remains standing , walks backwards! 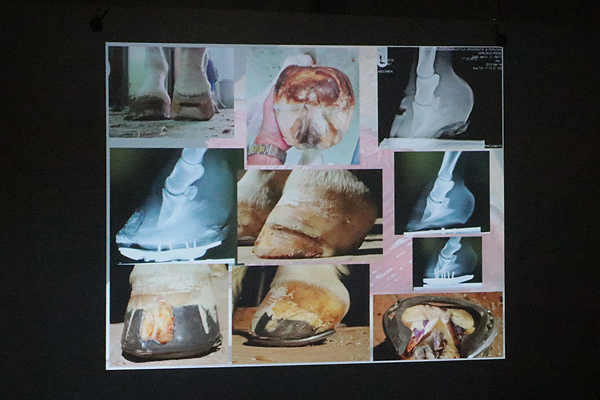 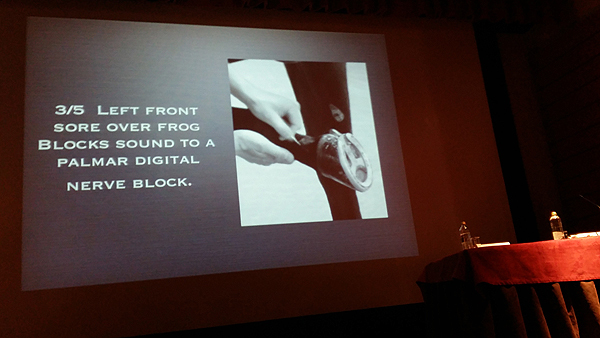 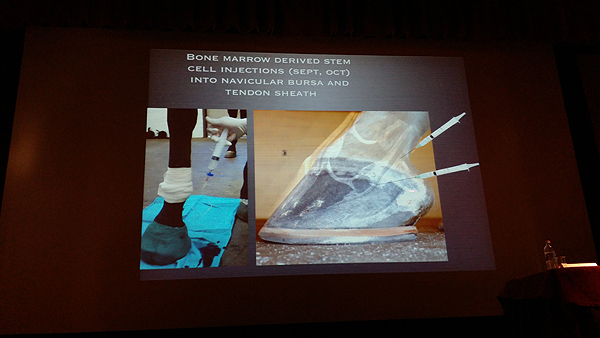 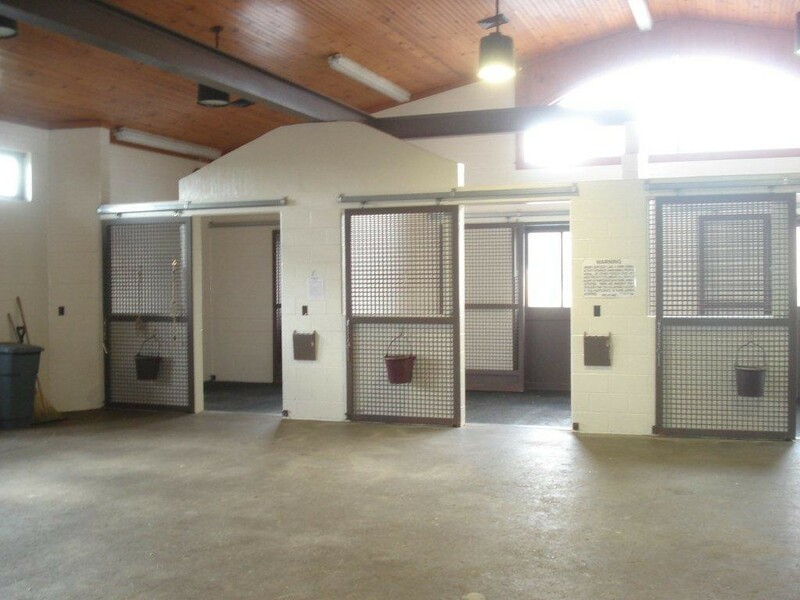 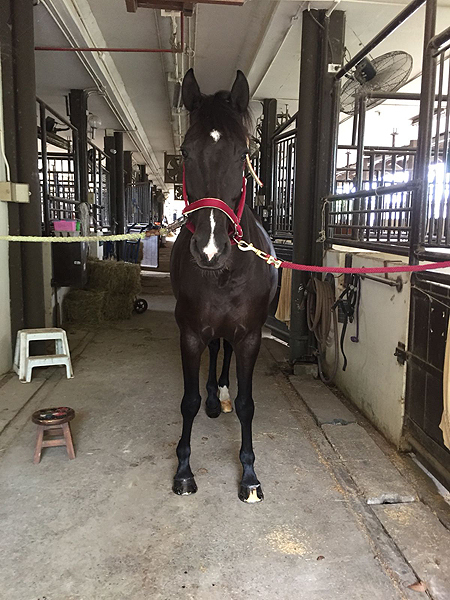 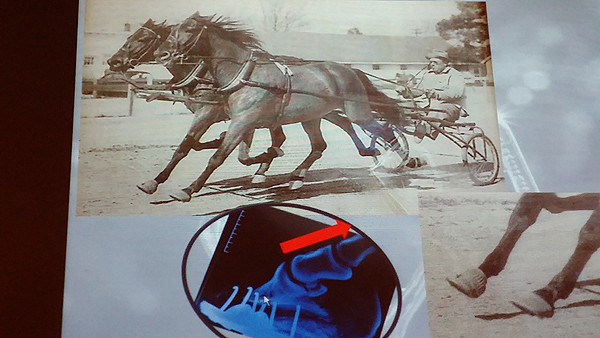 Training is an important topic for the "center of horse and hoof health"! 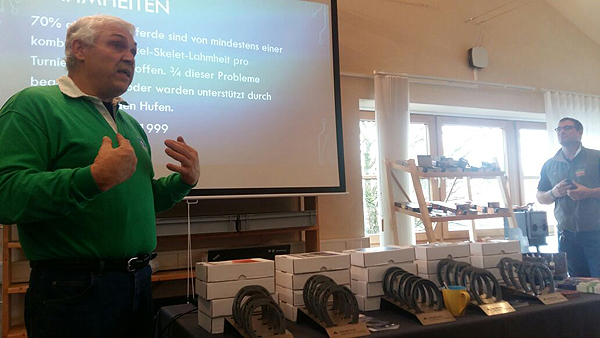 Mostly booked as a speaker, Paul Hellmeier also takes part in seminars to enhance his knowledge continuously. 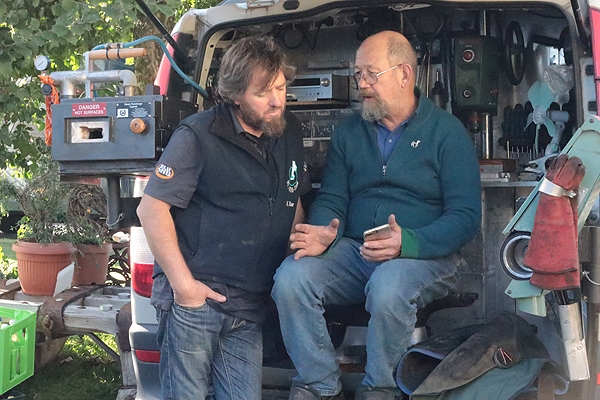 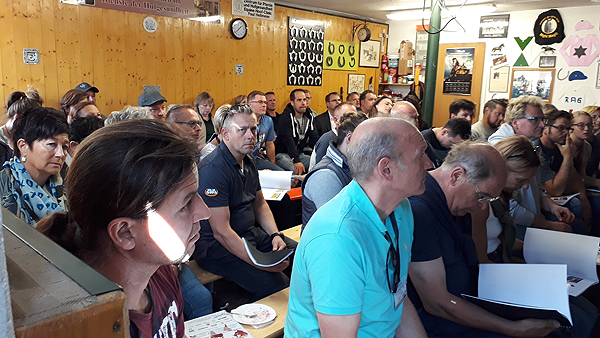 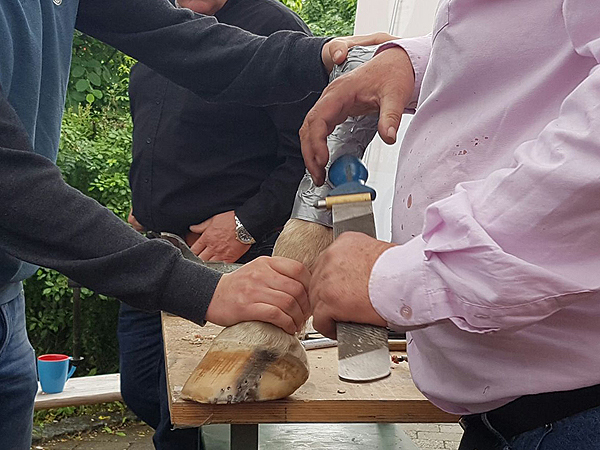 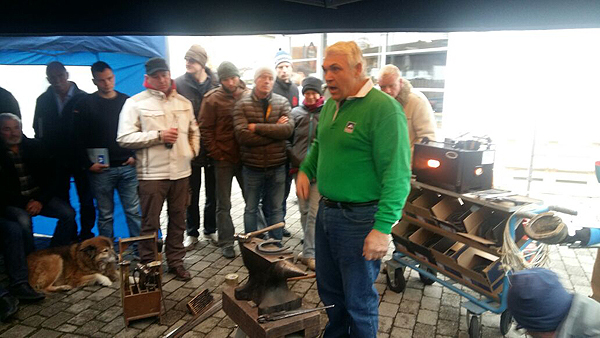 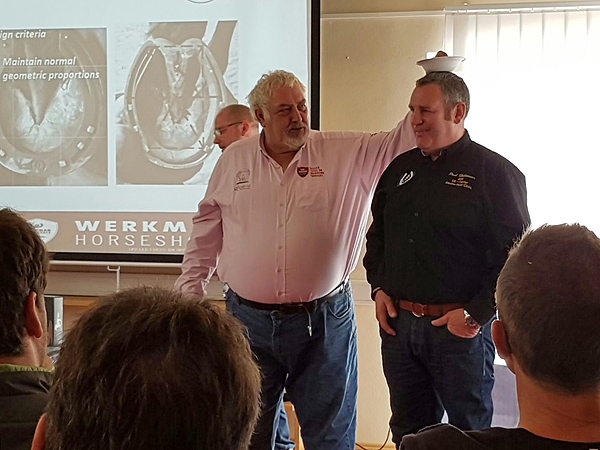 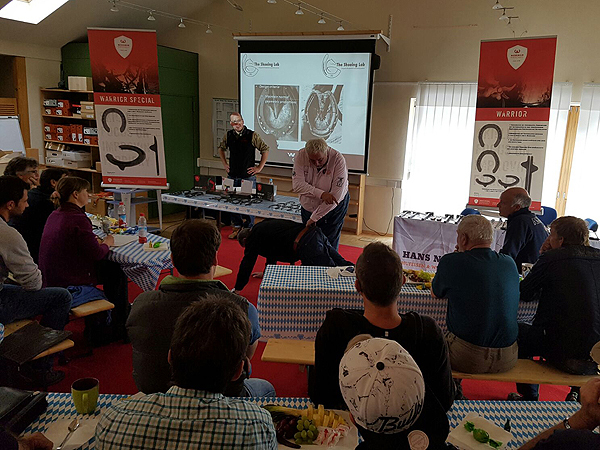 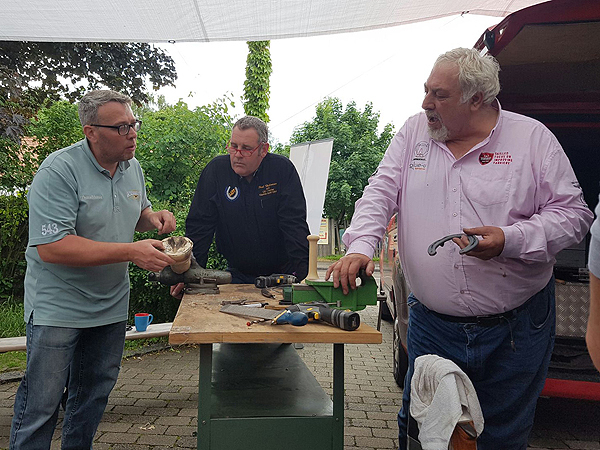 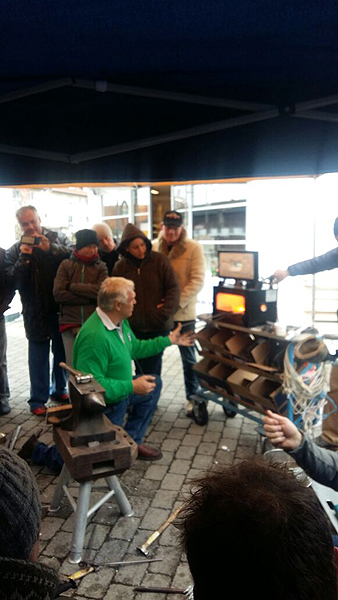 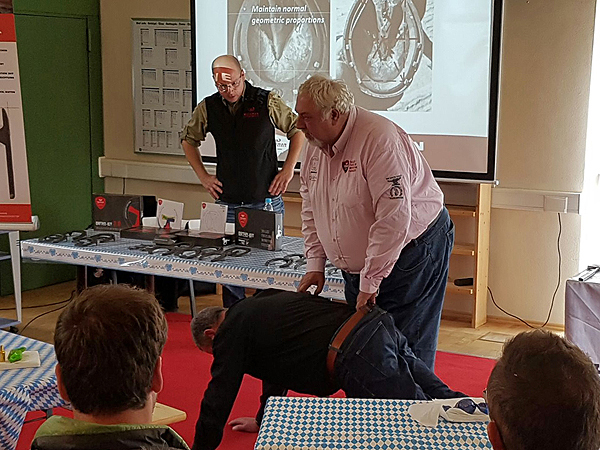 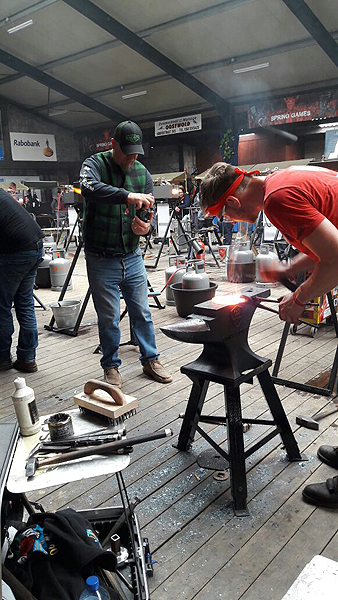 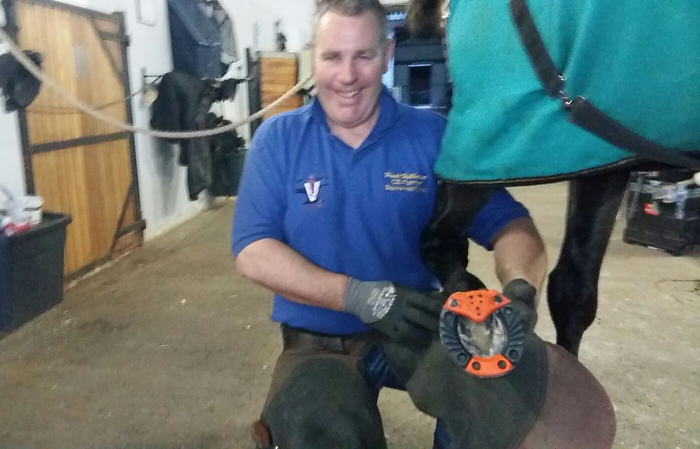 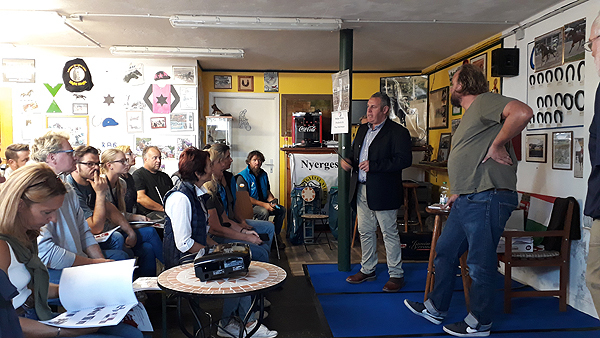 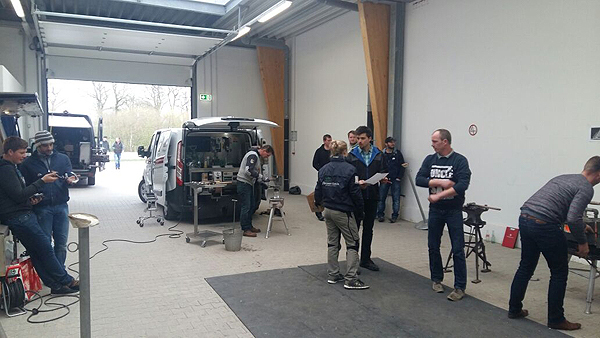 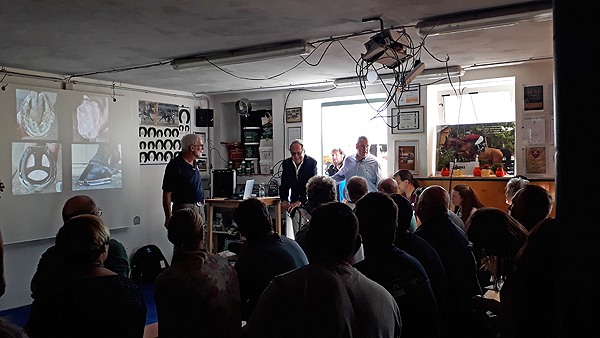 Here you can see him as an "aktive" participant at the seminar by Hall of Fame - Farrier Mark Caldwell, organized by Fa.Hans Neuper. 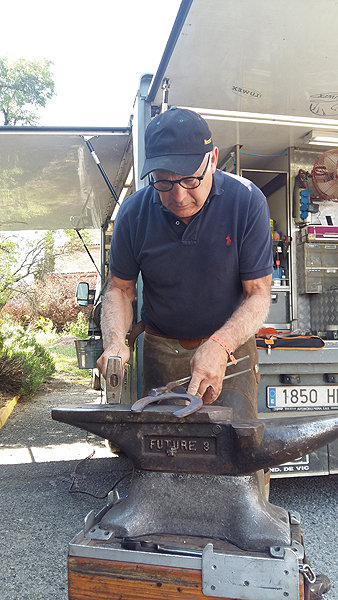 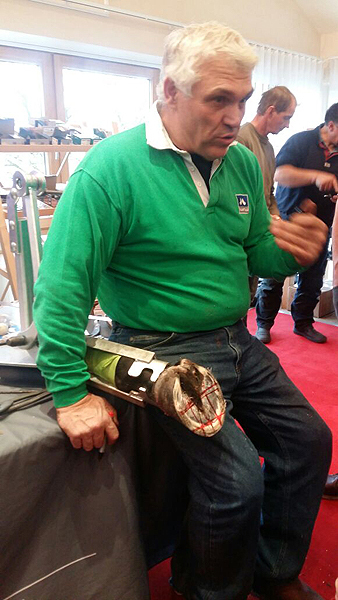 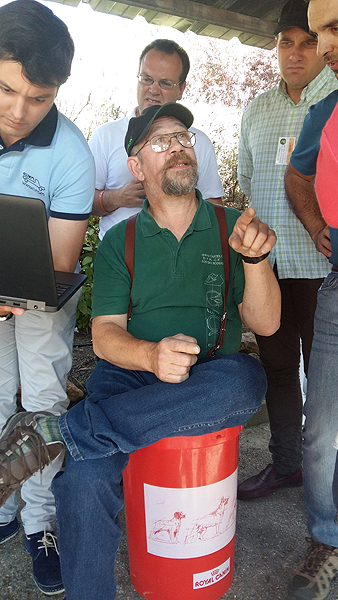 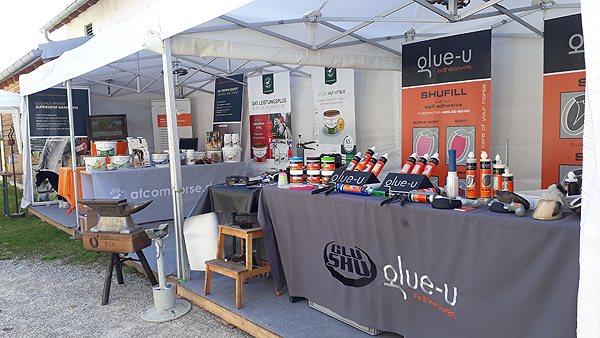 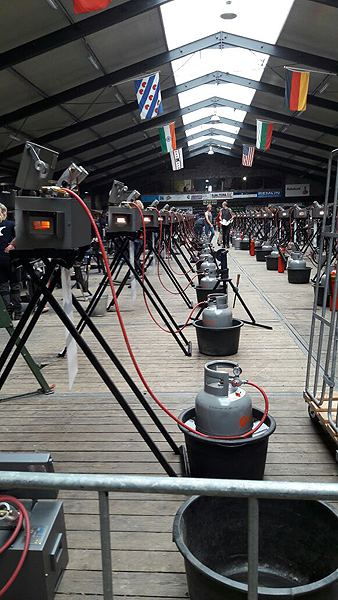 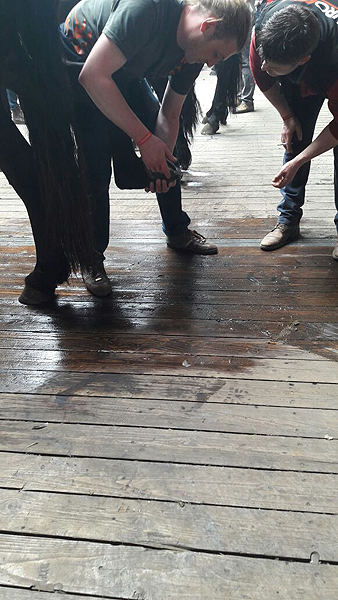 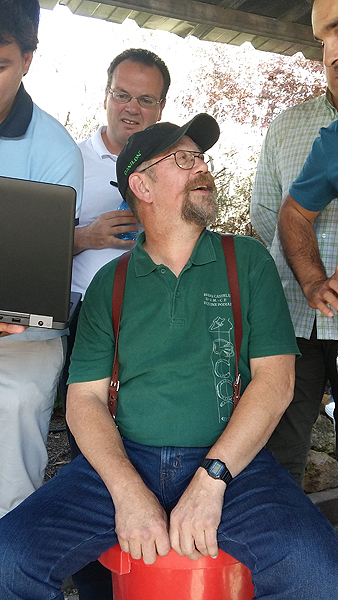 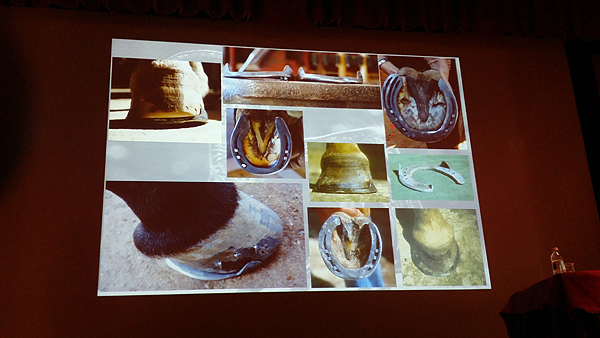 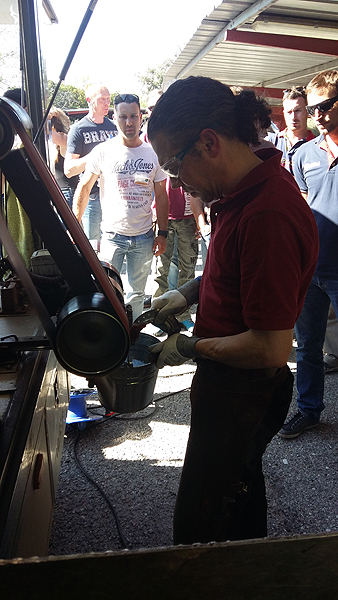 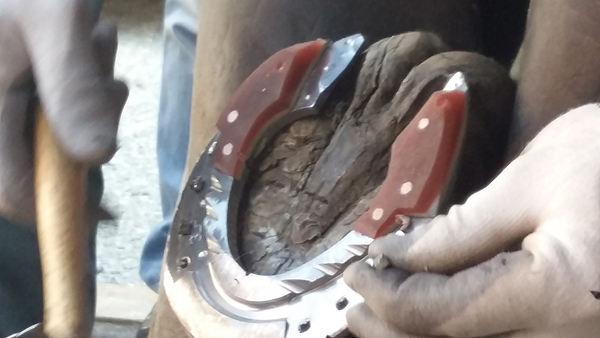 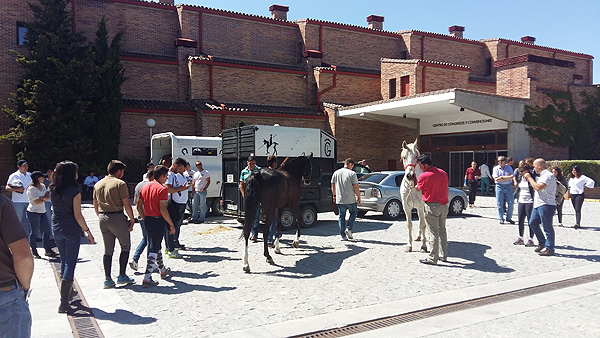 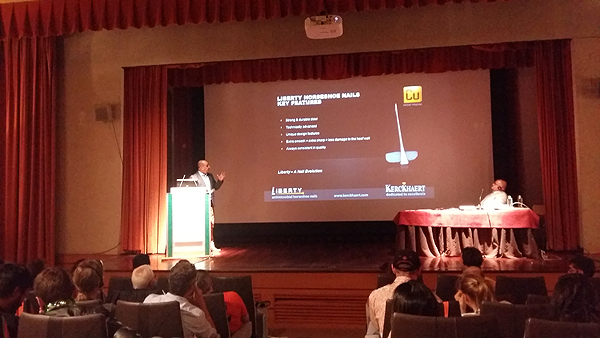 From the 19 to 21 May, the 3rd International Shoeing Congress was held in Segovia/Spain. 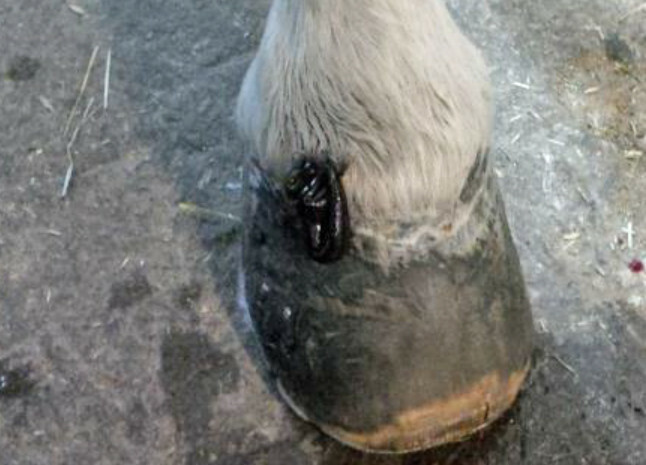 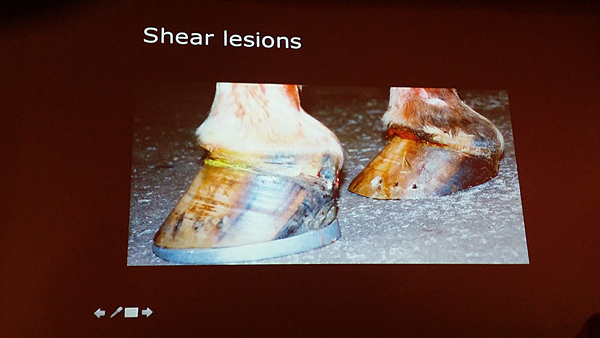 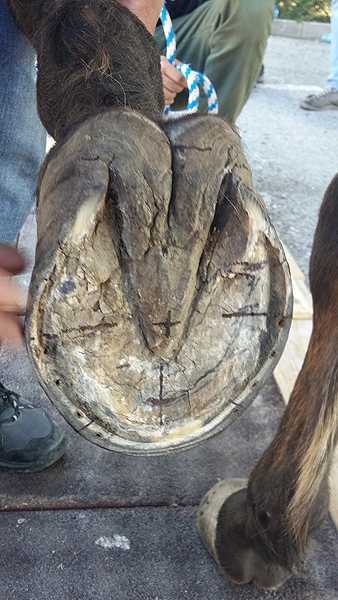 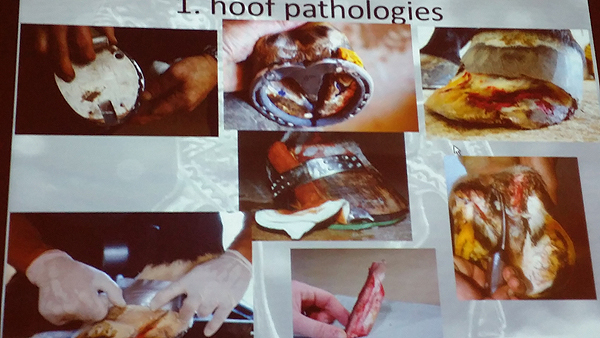 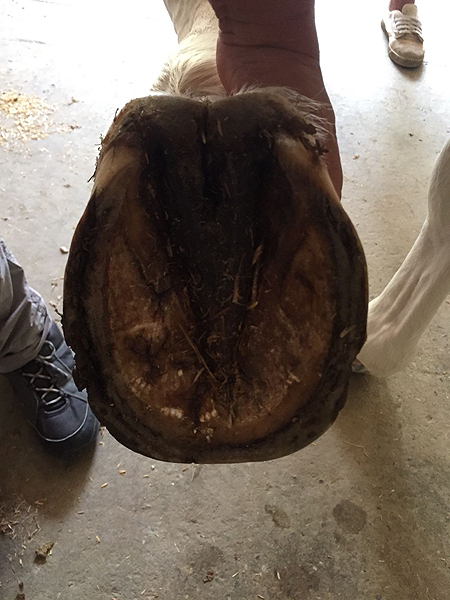 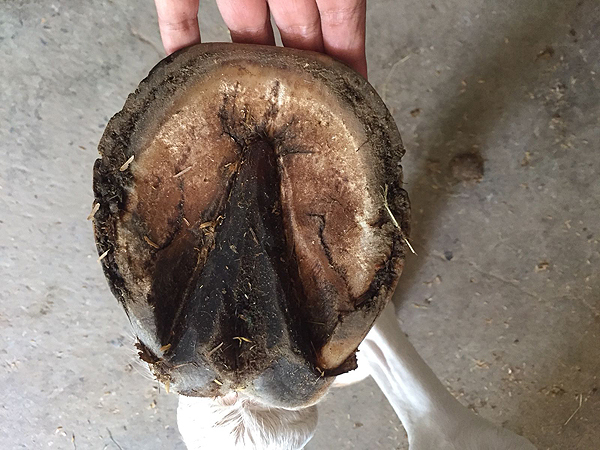 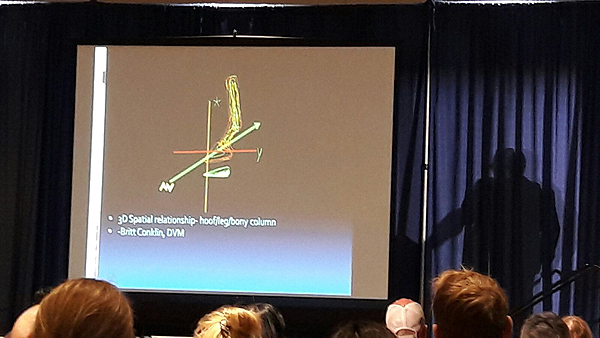 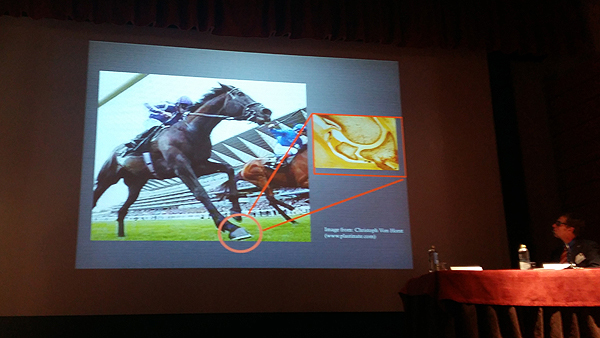 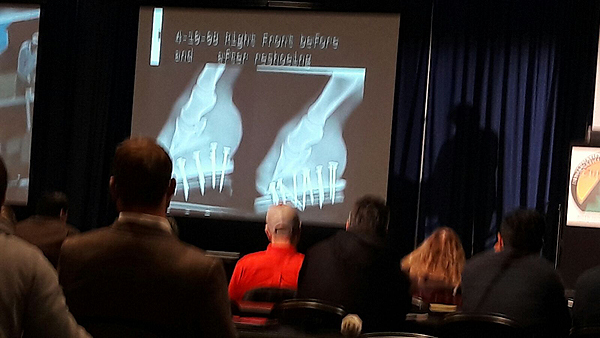 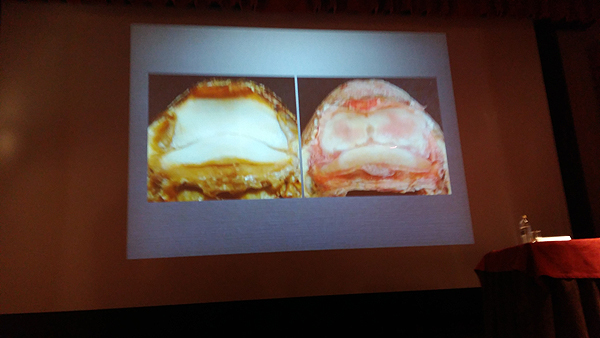 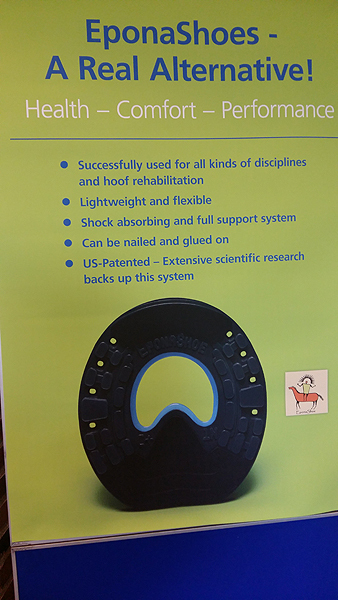 held exellent lectures on the subjekt of hoof health and horseshoes. 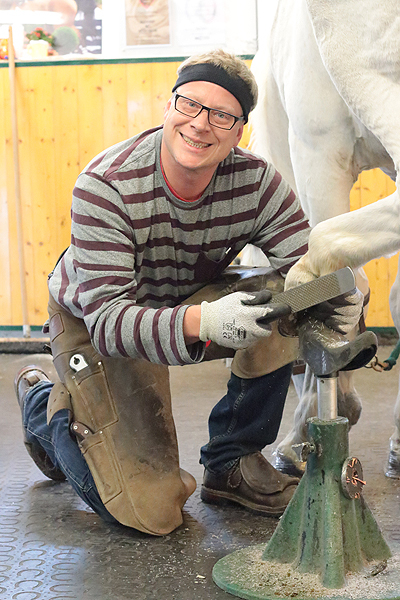 The lecturers Andrea Hundsmann, Loic Entwistle, Monique Craig, Ricard Rosello, Rob Renirie and Stefan Wehrli convinced in addition to its highly interesting lectures by practical demonstrations of their work on the horse. 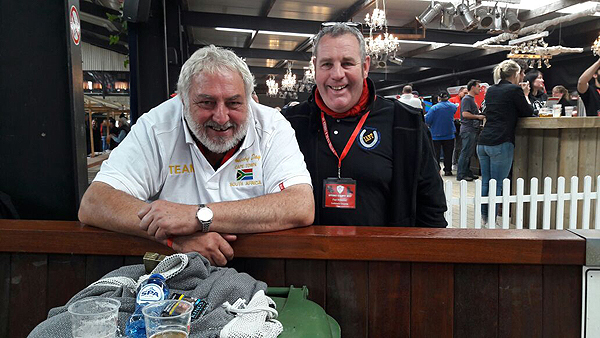 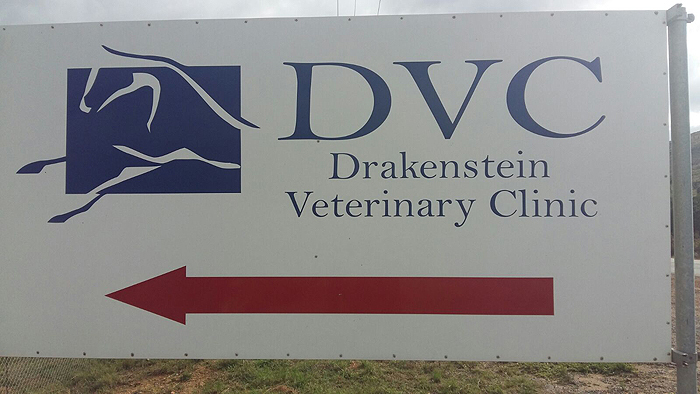 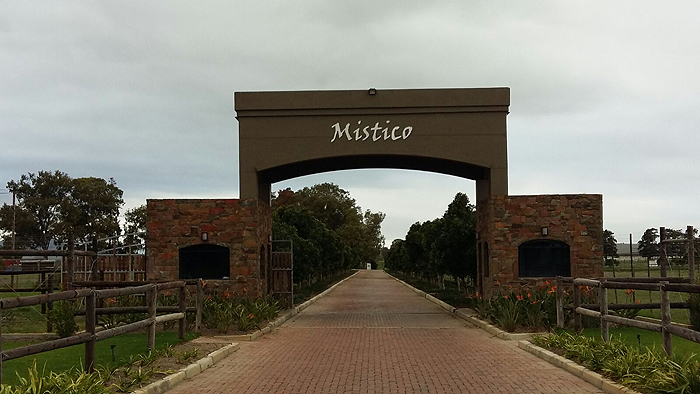 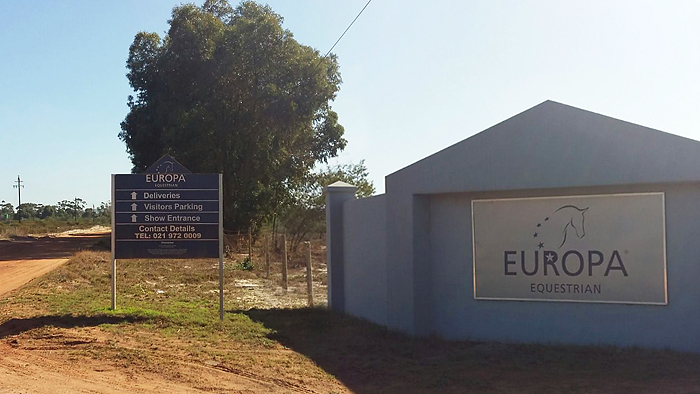 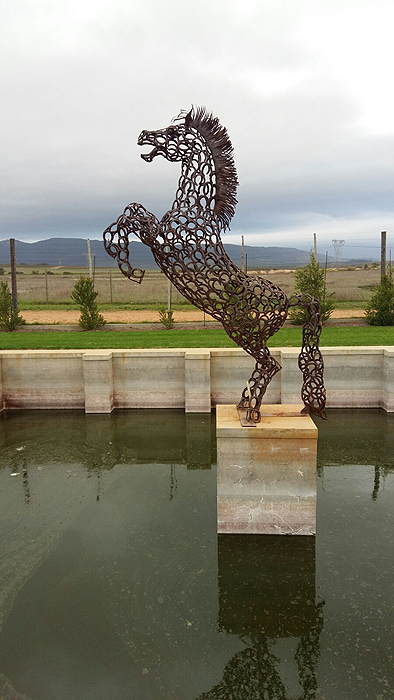 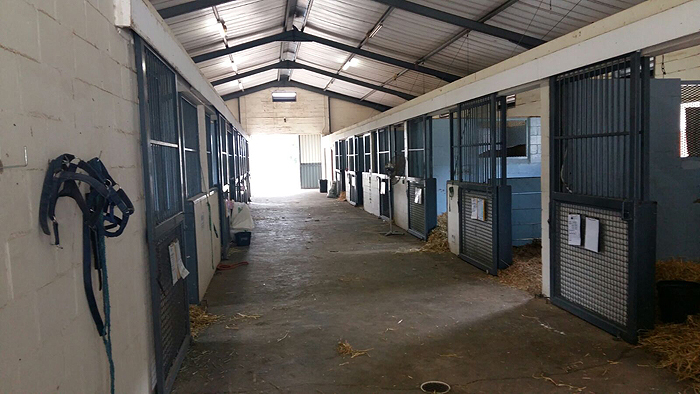 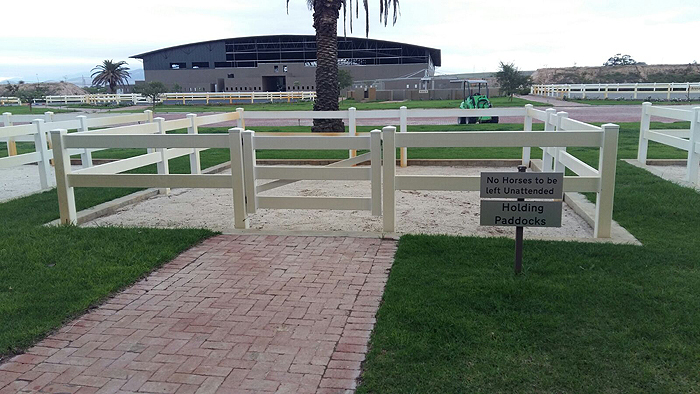 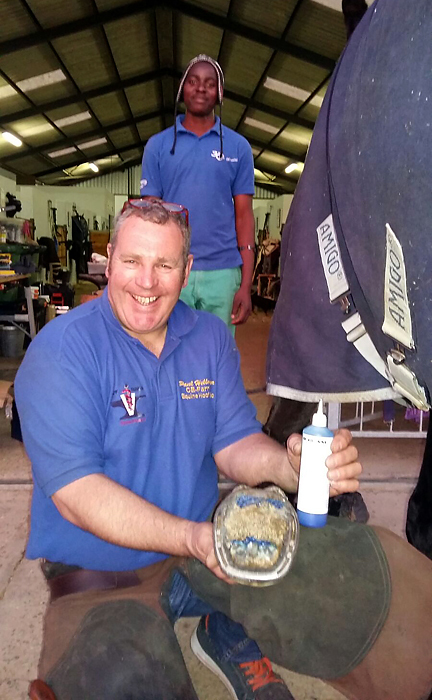 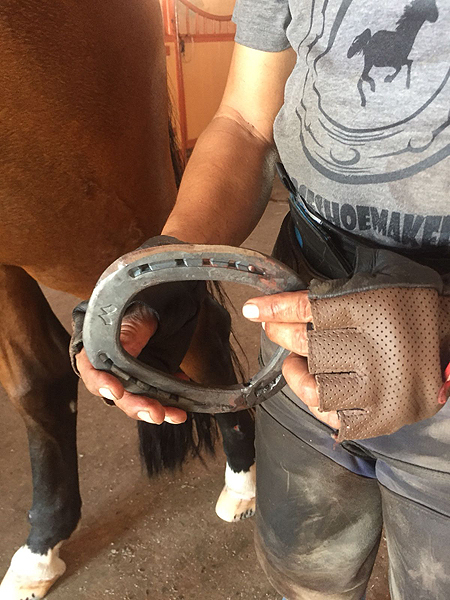 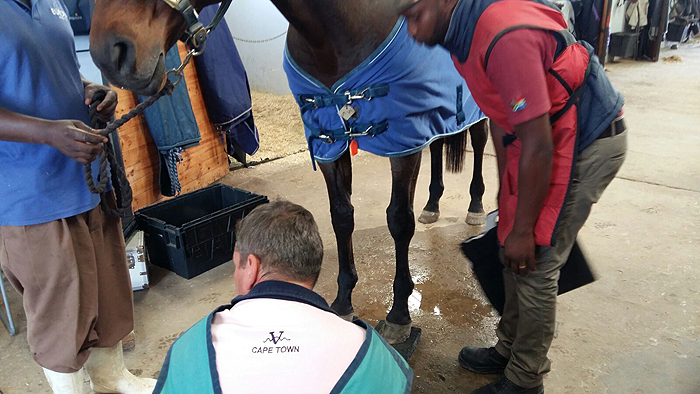 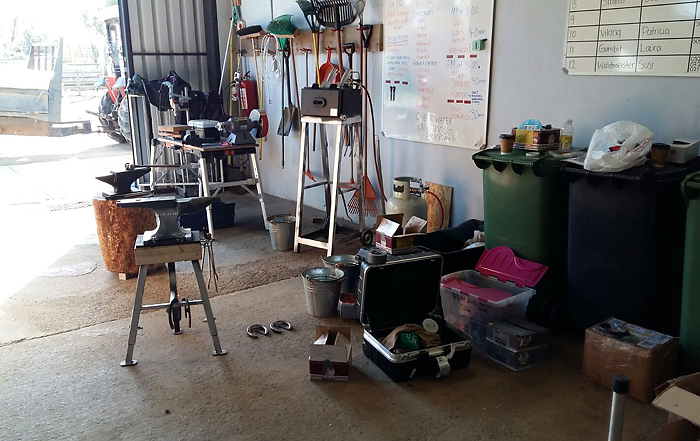 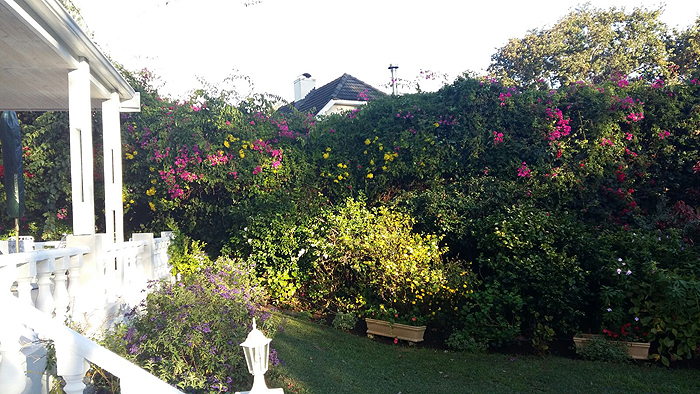 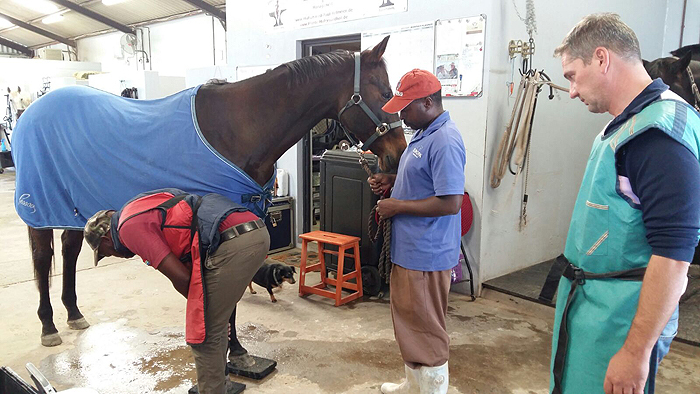 At the moment, we care for patients by Baker&McVeigh and the Drakenstein clinic in South Africa and we shoeing competition horses in Europe Equestrians/Liveries and Stables and the Mistico Equestrian Centre. 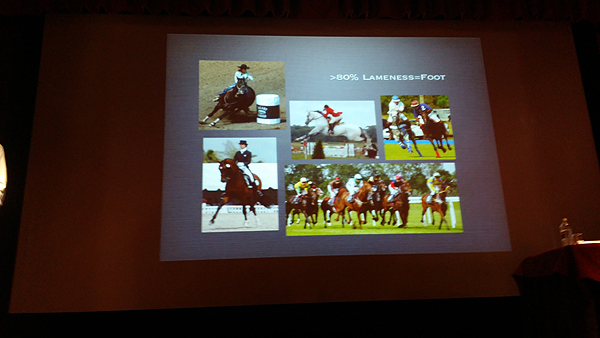 Seminar Horse feeding with Prof. Ellen Kienzle. 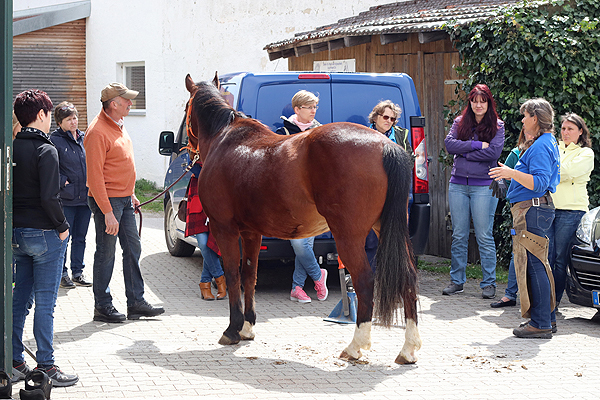 2016 on July 9, organizers and venue: Horse Therapy center Aschheim. 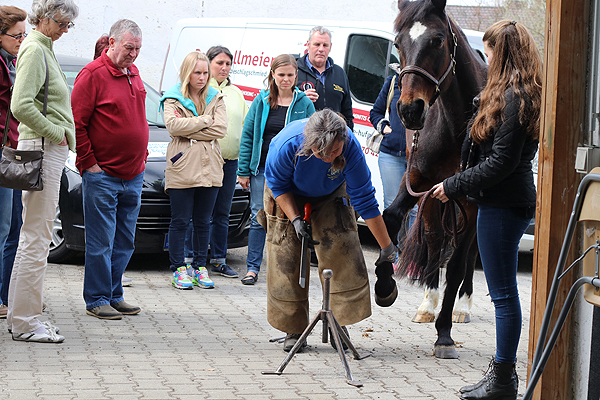 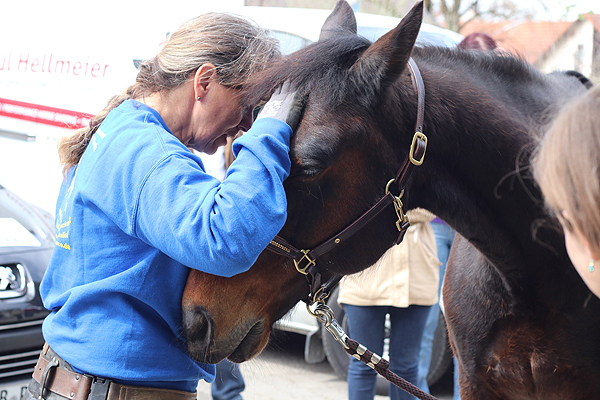 Seminar for medium-frequency therapy " AmpliMove "
on 2nd and 3rd April 2016 at horse therapy center Aschheim with Dr.med.vet.Marie Lindinger. 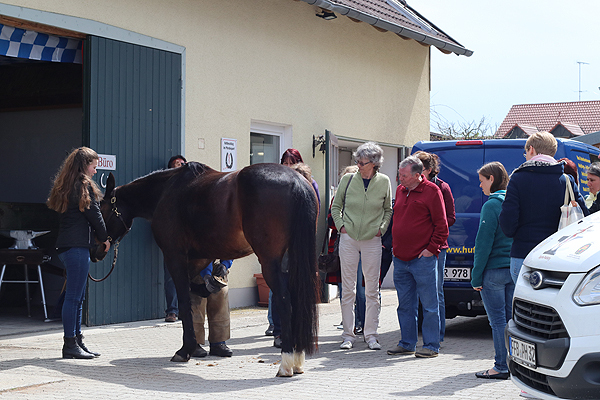 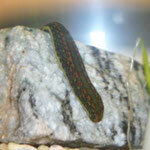 Seminar for leech therapy at HorseTherapyCenter Aschheim. 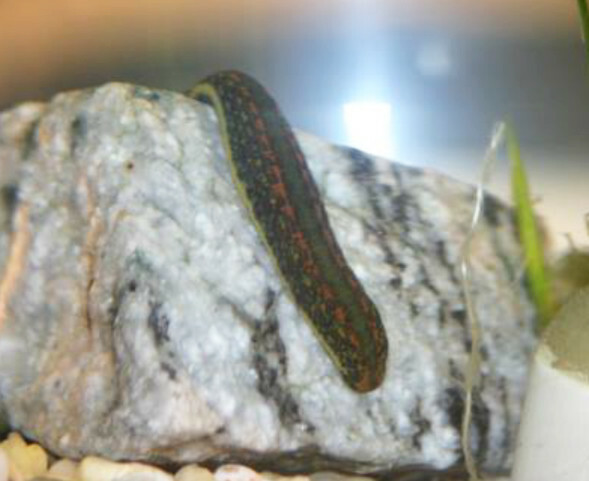 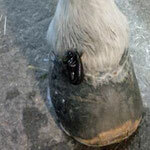 The aim of the course is to learn about the topic leech-therapy for horses in theory and practice and to train the application. 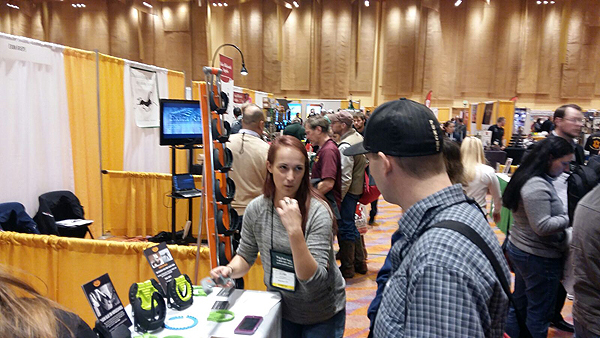 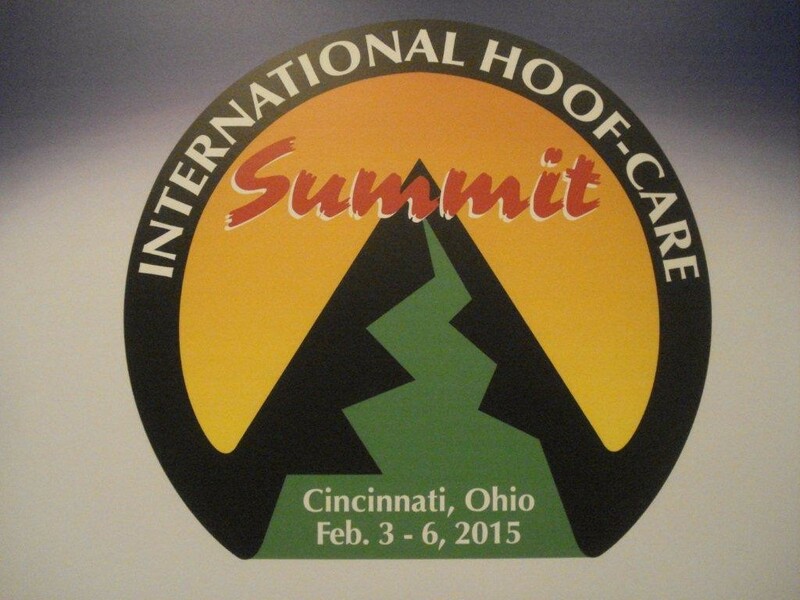 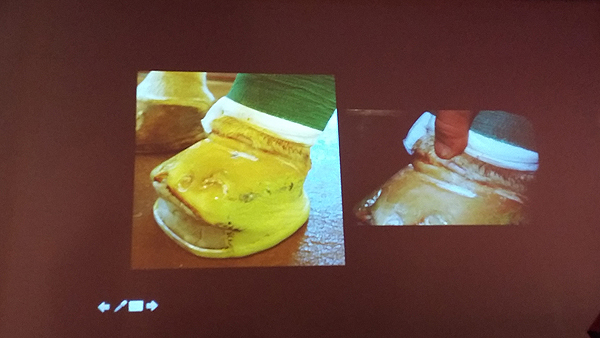 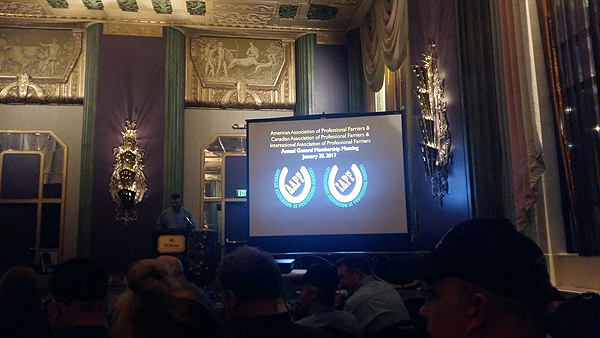 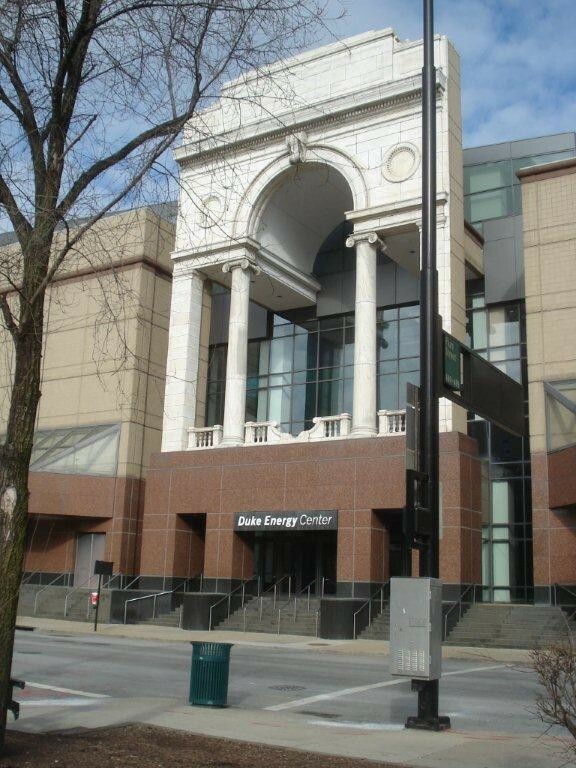 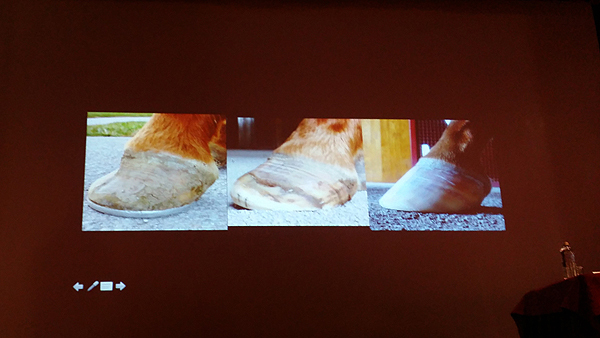 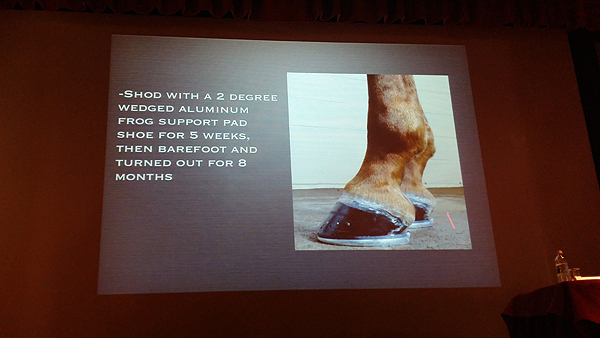 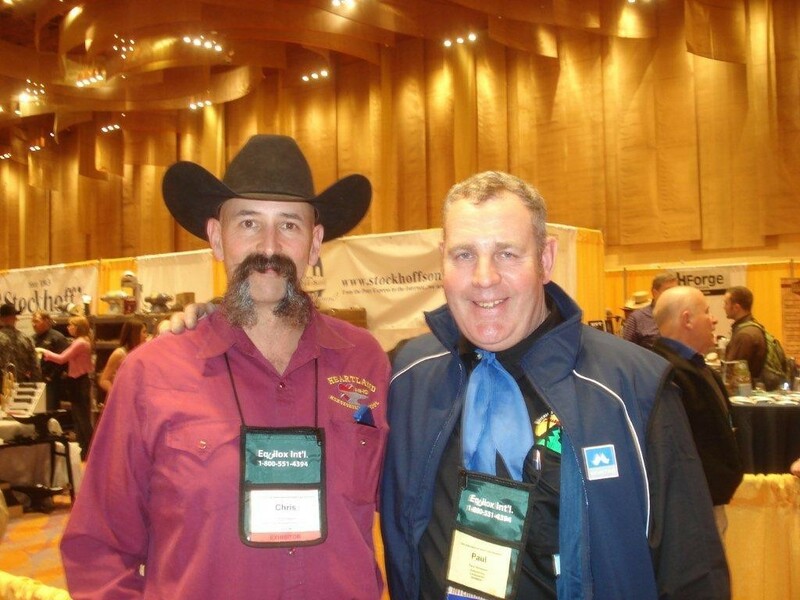 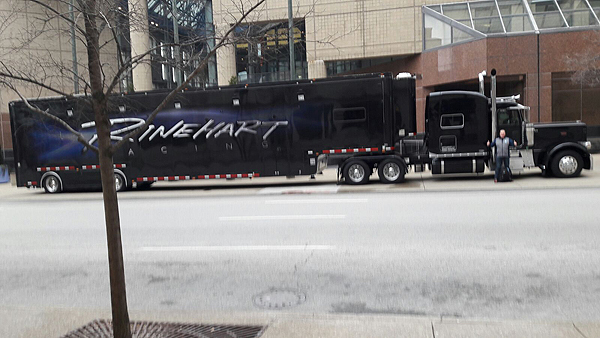 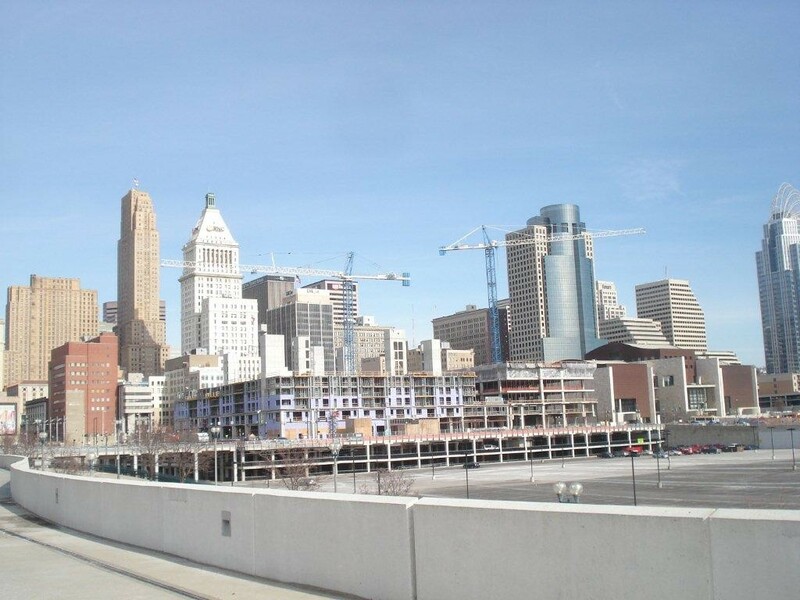 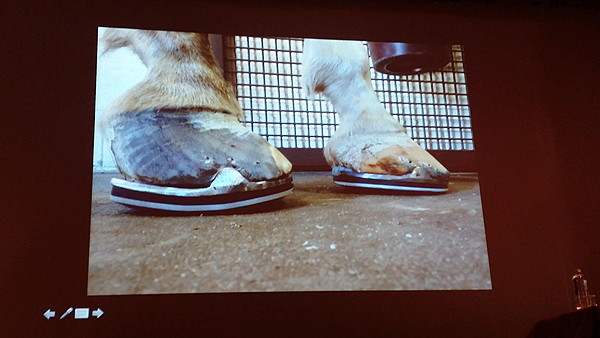 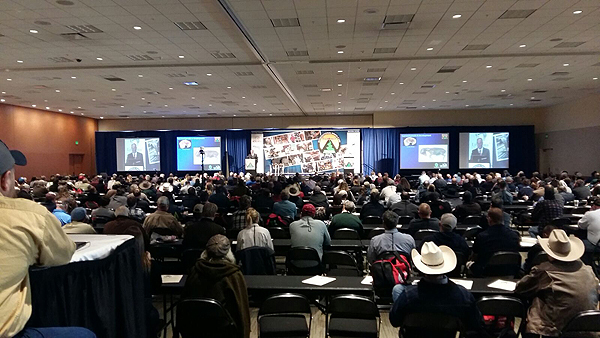 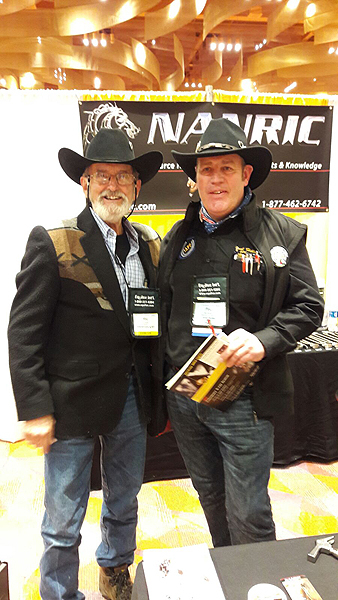 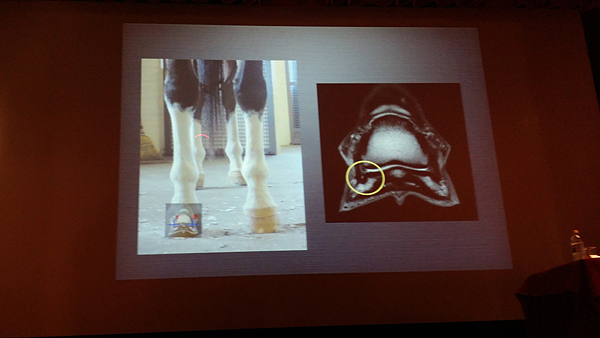 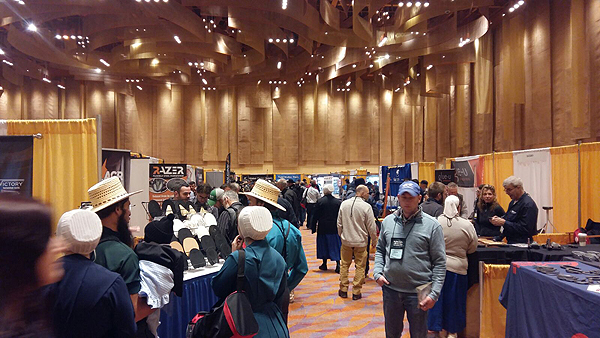 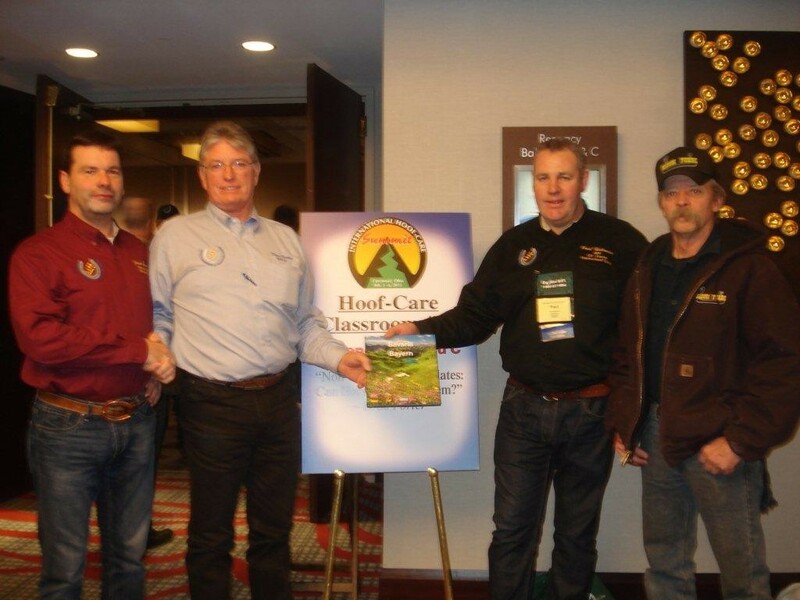 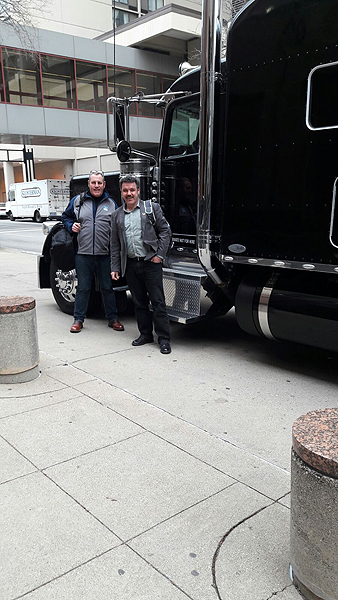 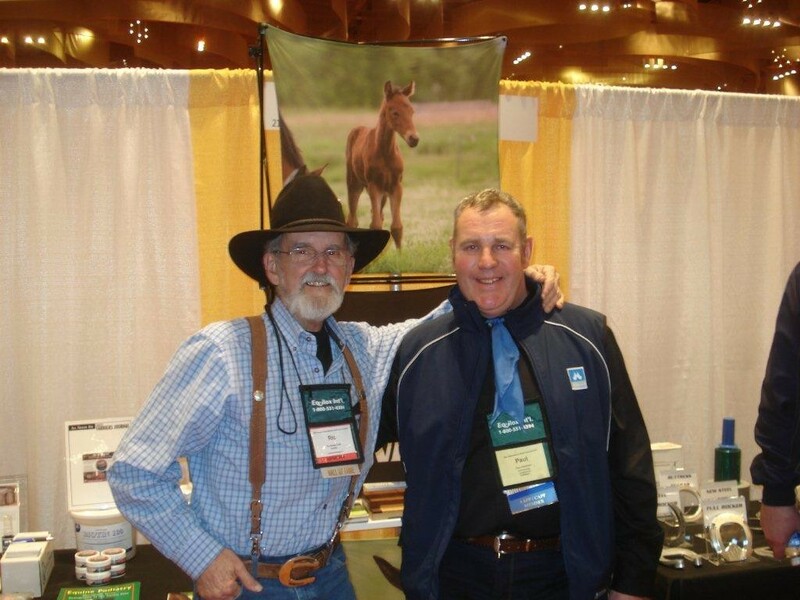 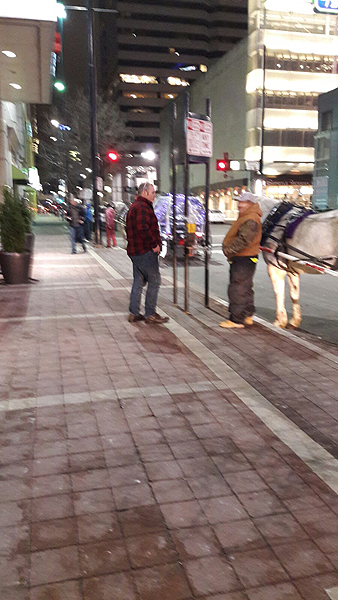 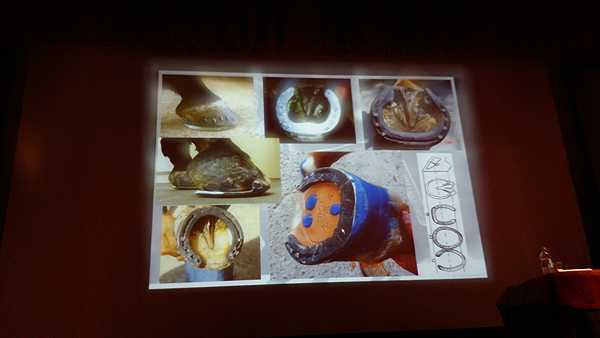 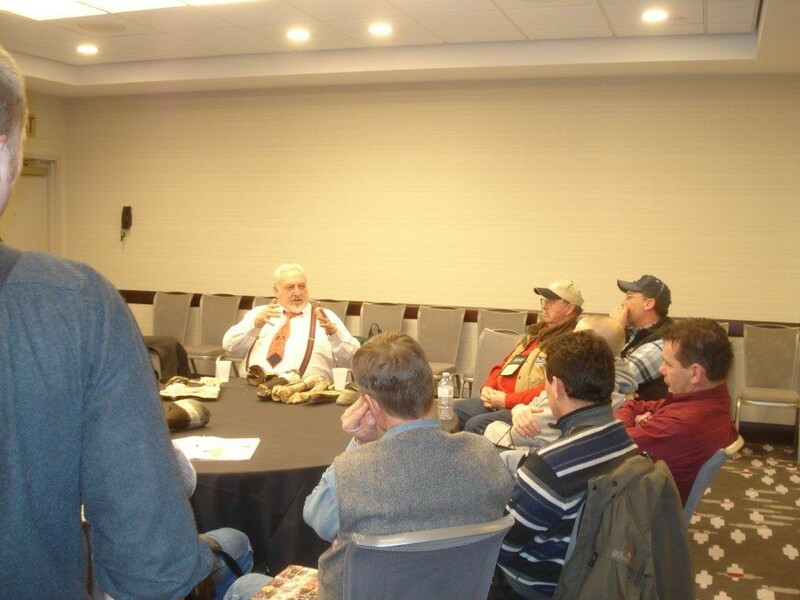 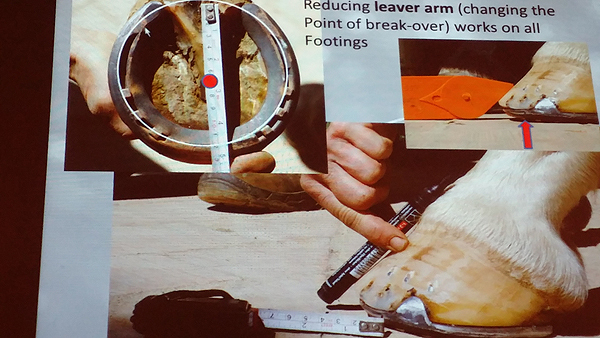 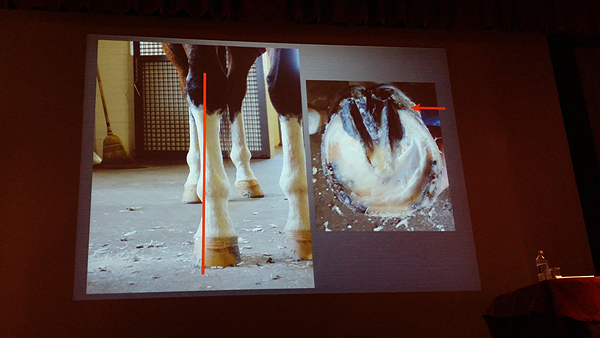 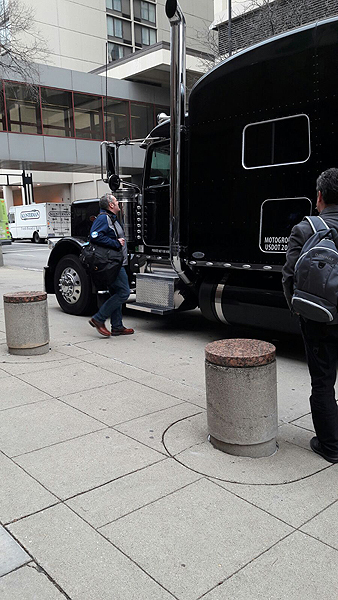 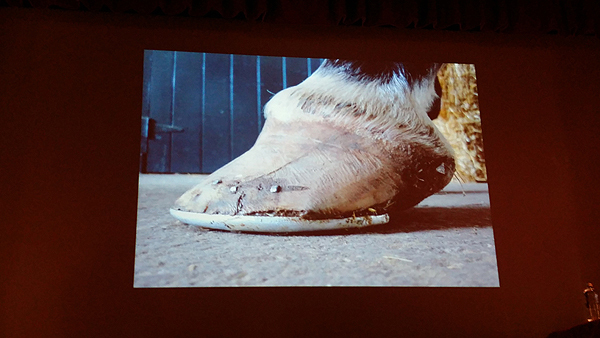 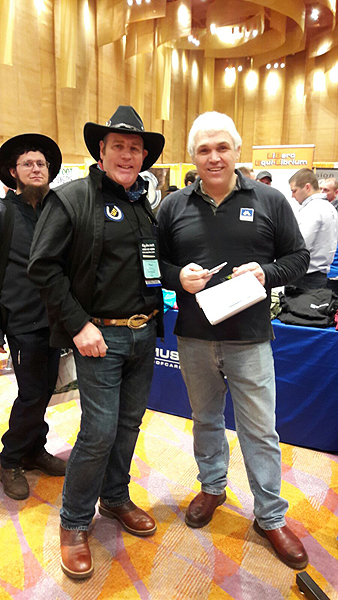 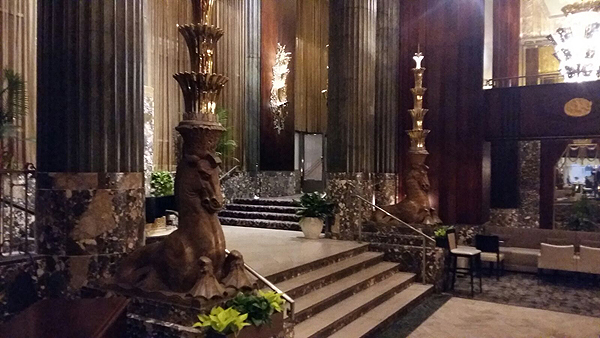 From 3-6.2.2015 the 12th International Hoof Care Summit took place at the Duke Energy Center in Cinncinati,Ohio USA. 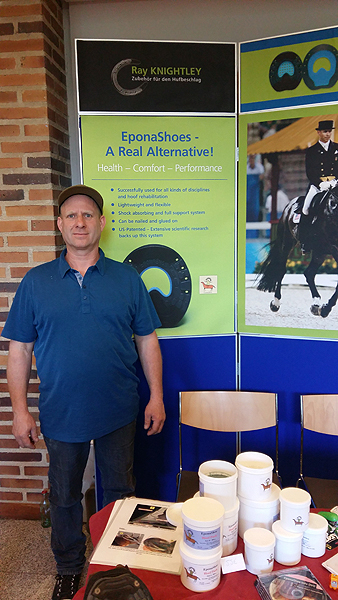 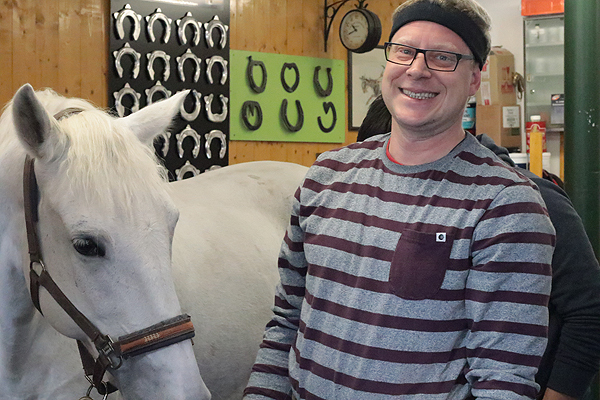 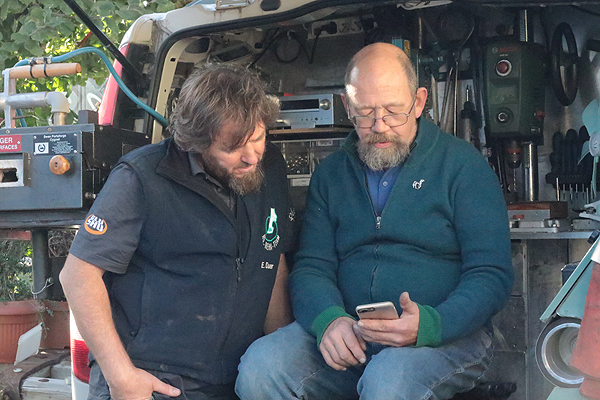 The Center for Horse and Hoof-health ,Landsberied, was represented by Jürgen Gotthardt and Paul Hellmeier. 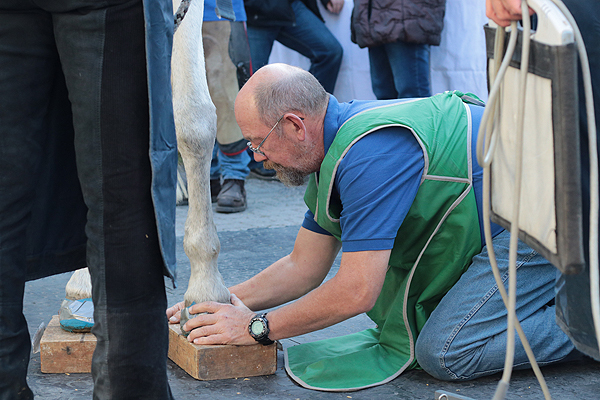 With 1100 participant from around the world, a new record was set in 2015. 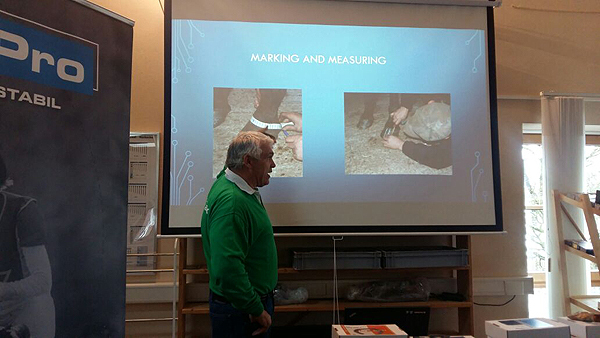 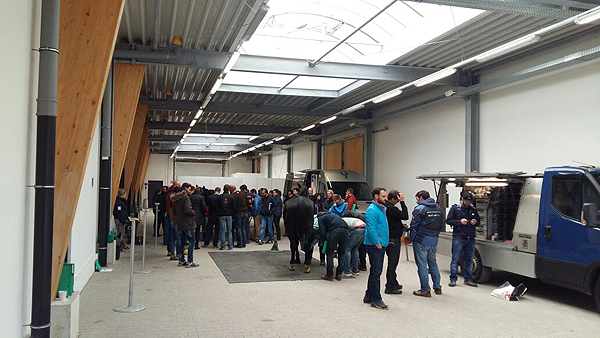 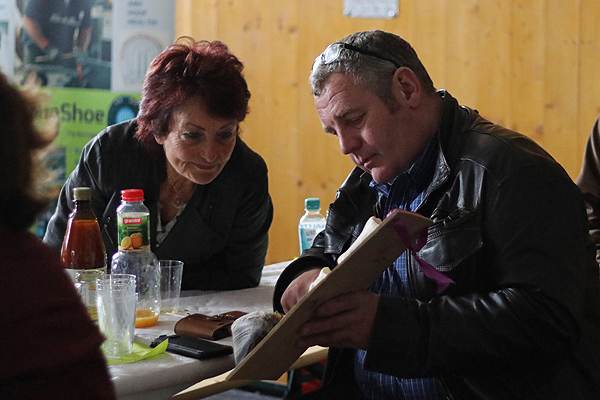 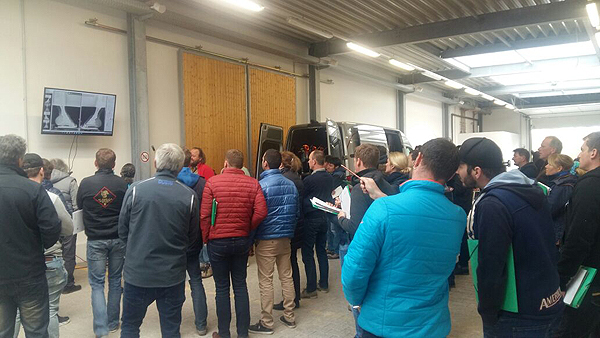 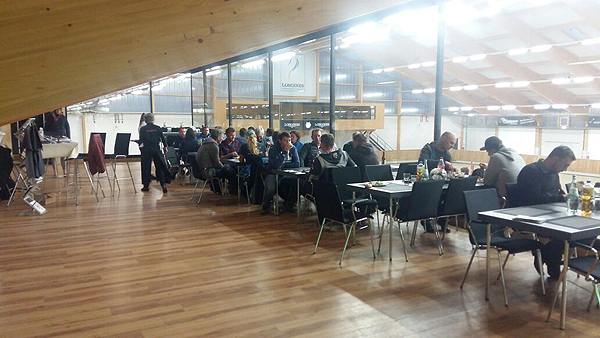 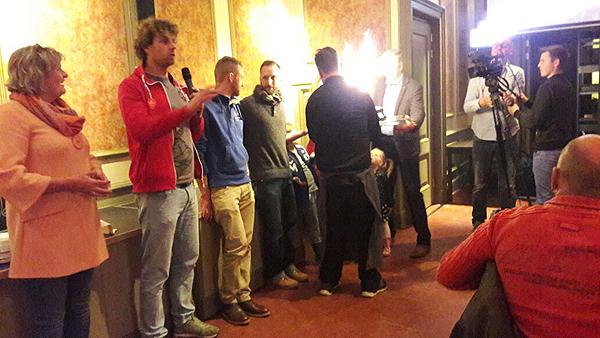 30 speakers consisting of farriers, veterinarians, lawyers and forage experts led through a exellent program. 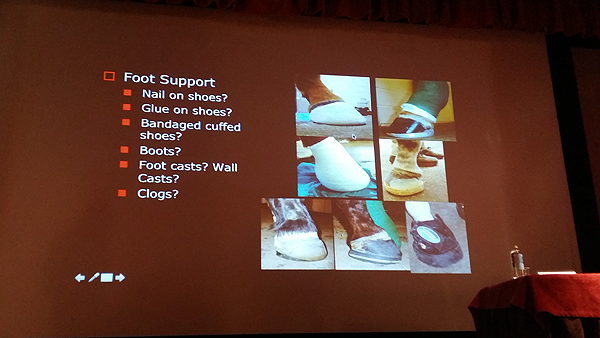 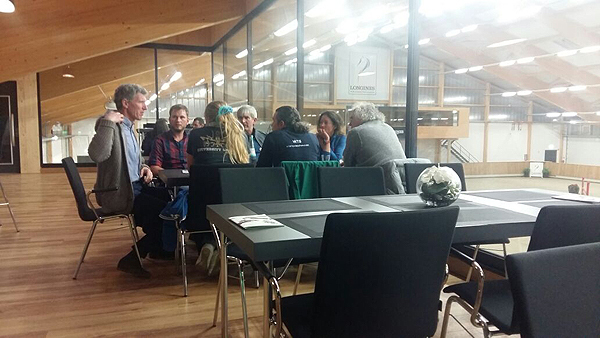 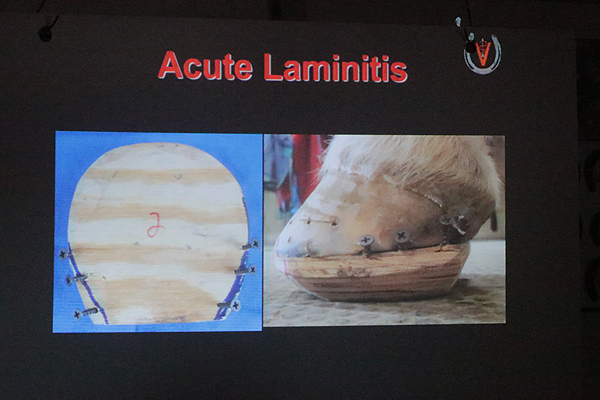 In addition to several Hoof Care Classrooms, there were also very informative Hoof Care roundtables in the evening. 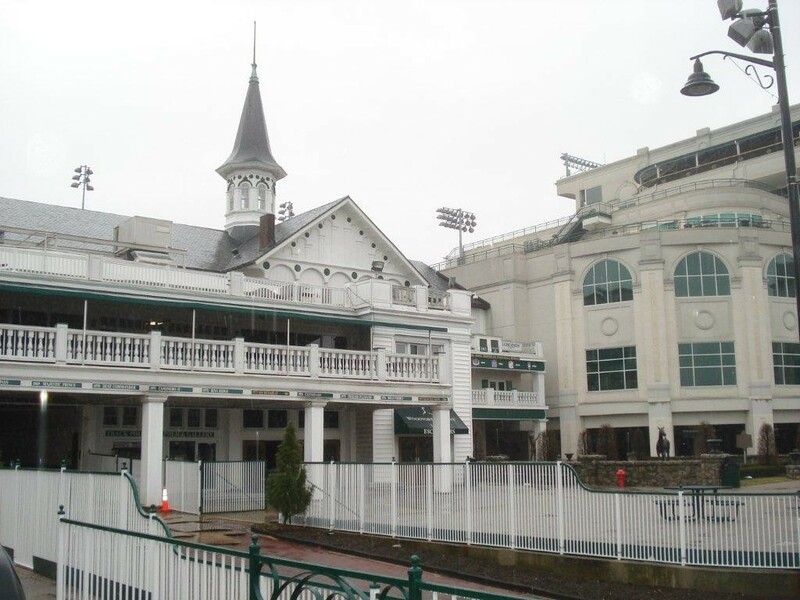 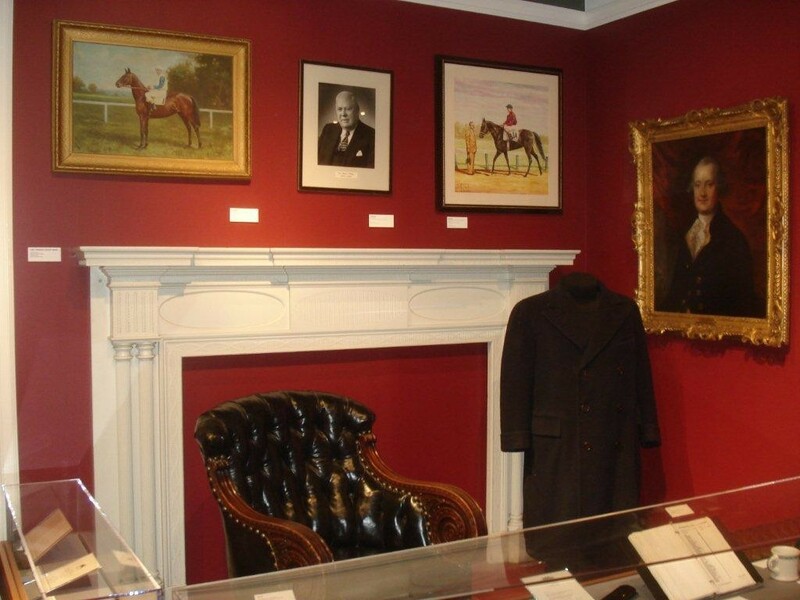 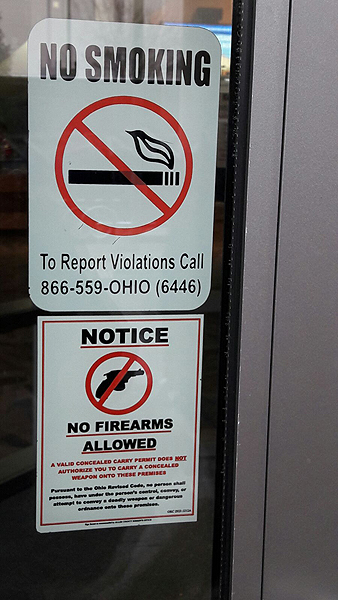 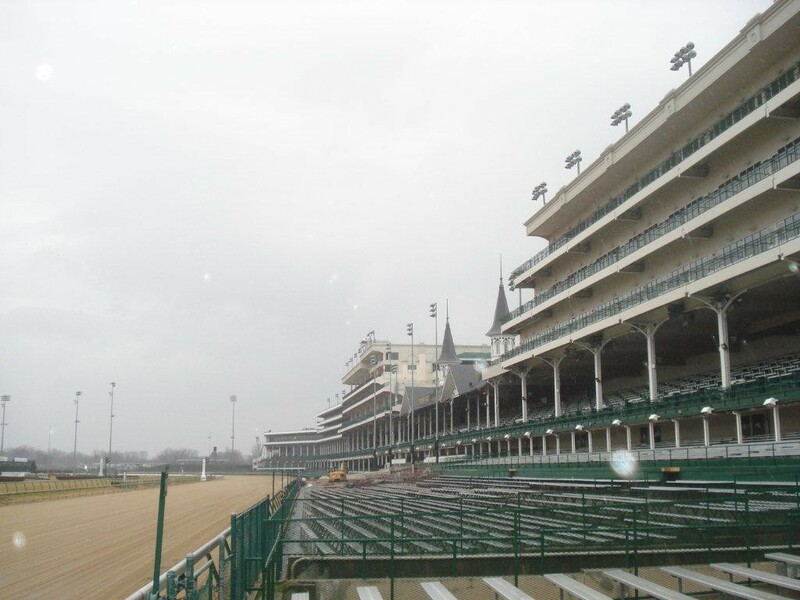 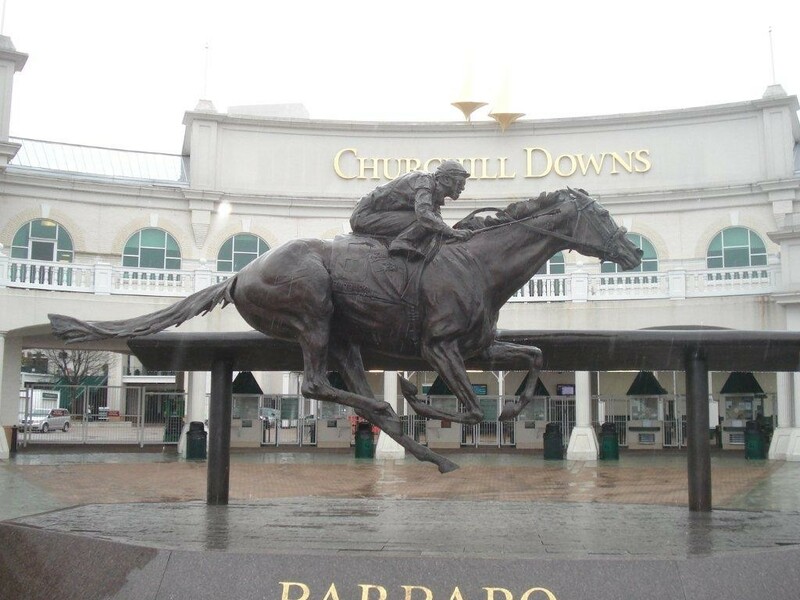 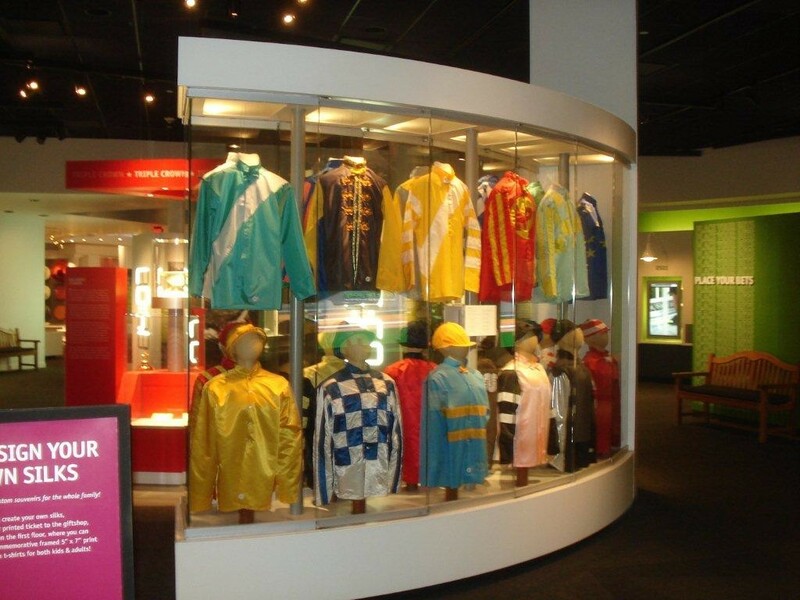 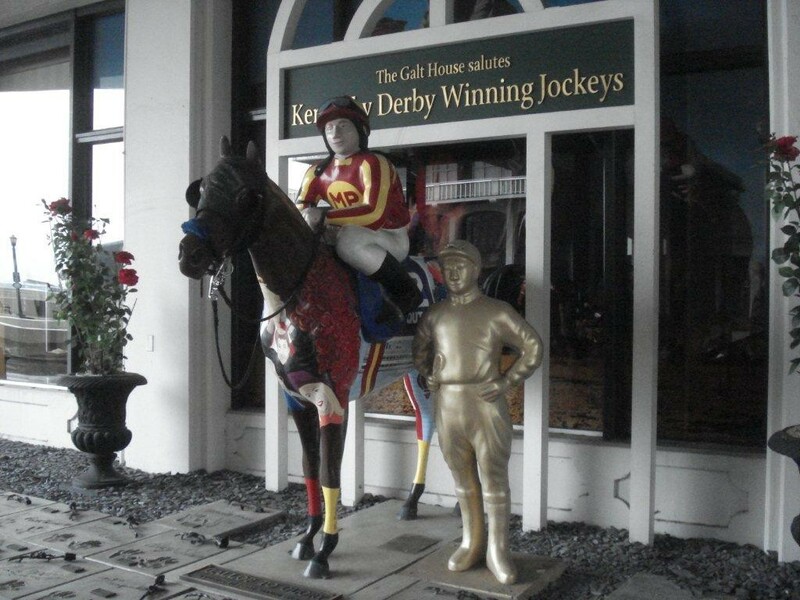 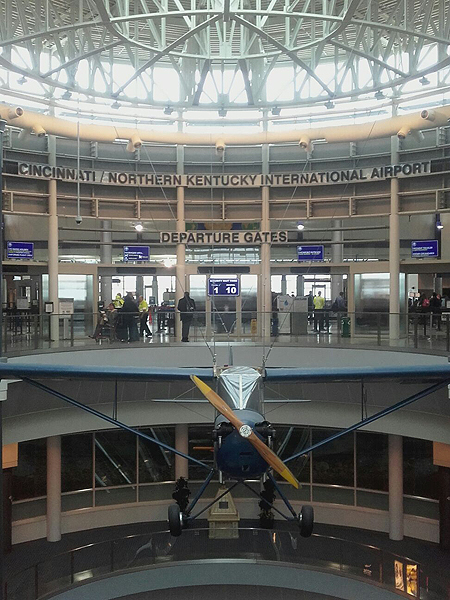 Furthermore, you were able to visite the racetrack and the Churchill Downs in Louisville, where every year the worldfamous Kentucky derby is held. 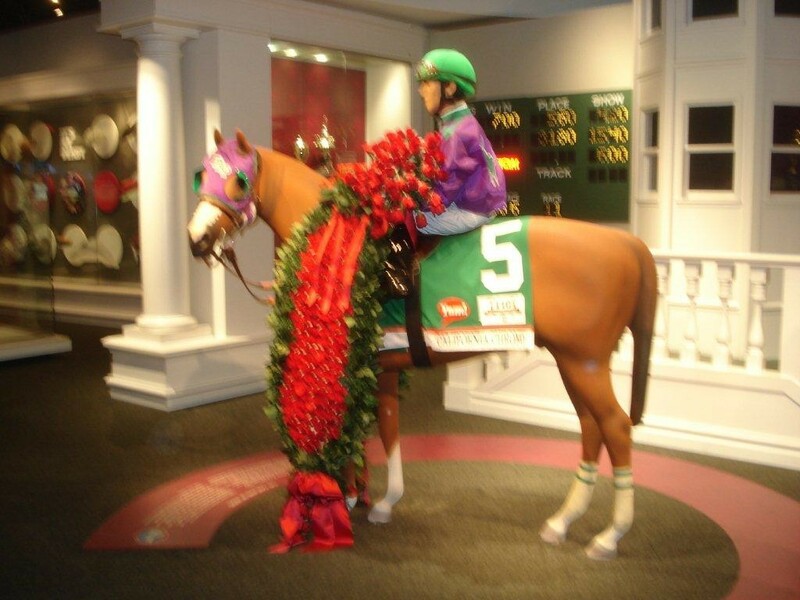 Moreover we visited the Muhammad Ali Museum, the legendary boxer, who lived in Louisville. 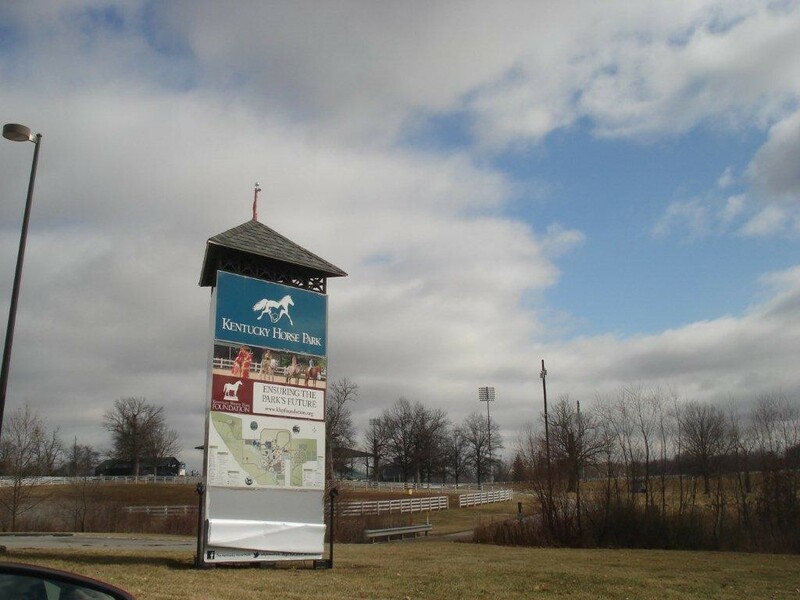 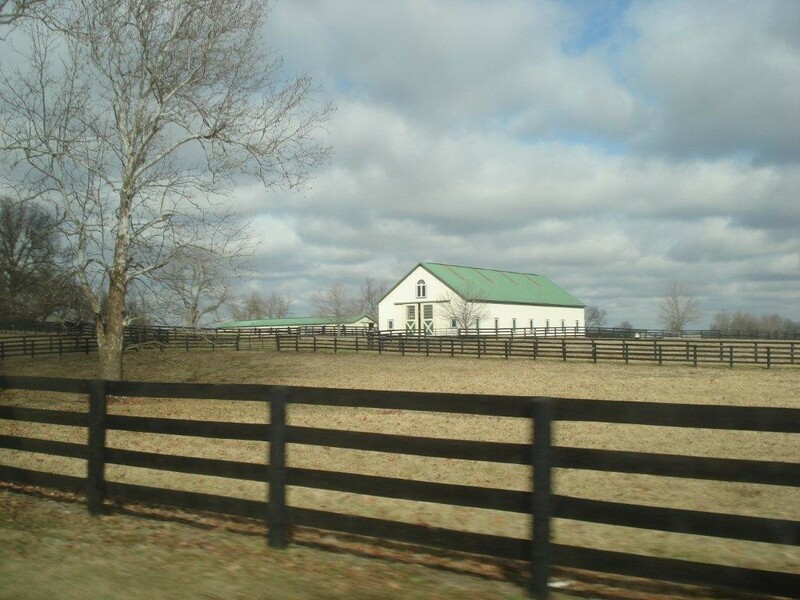 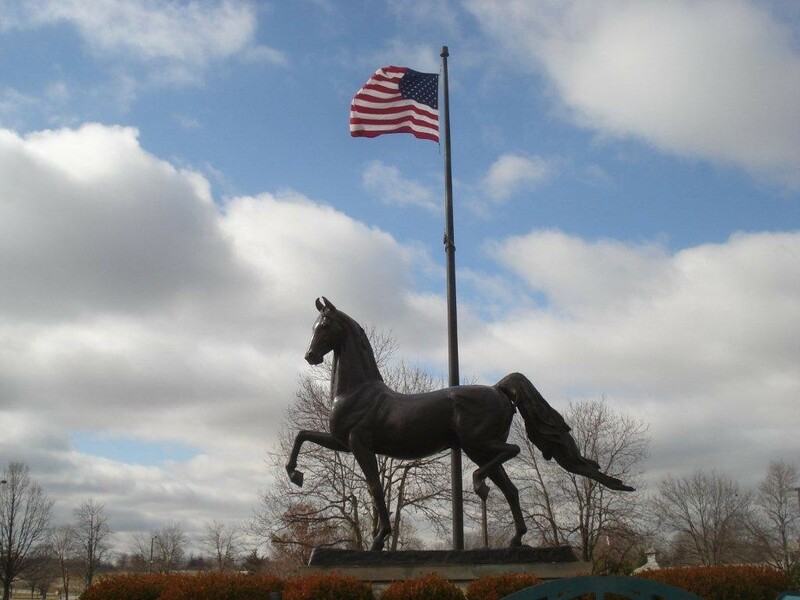 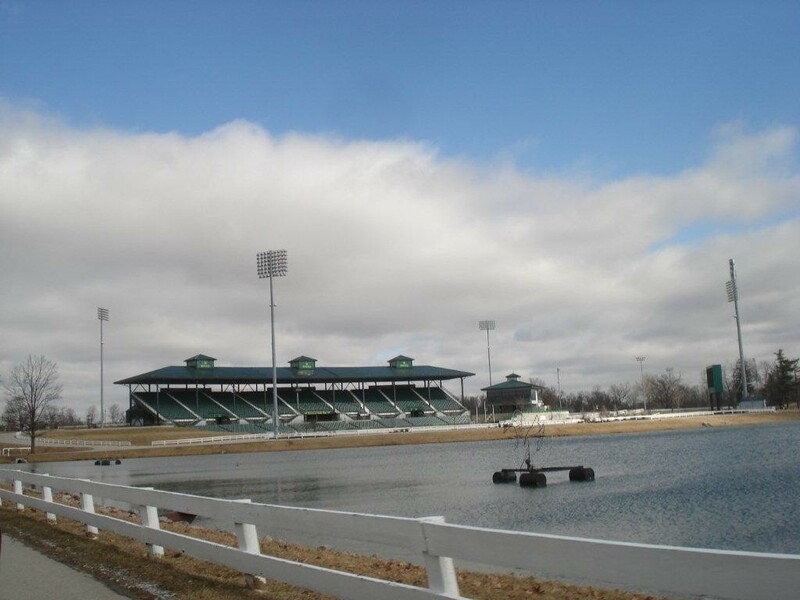 Next we visited the Kentucky horse Horse Park ,scene of the World Equestrian Games. 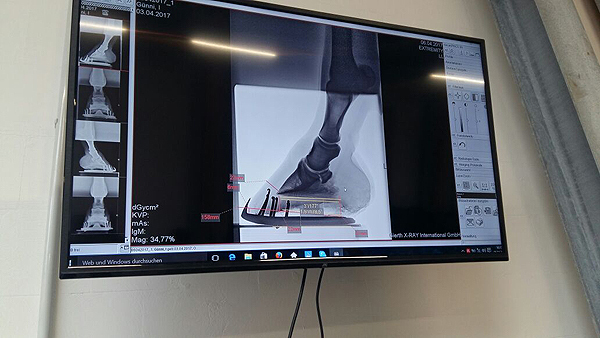 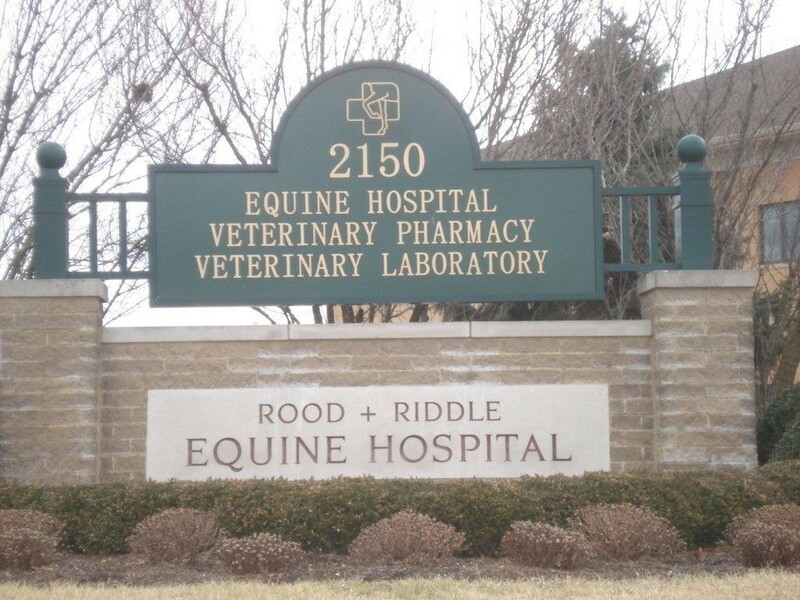 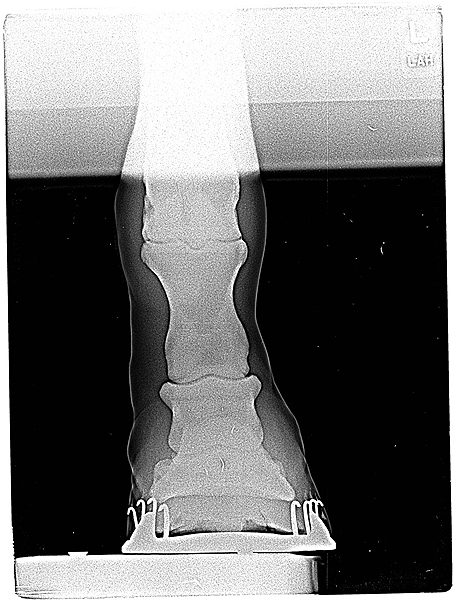 The visit to the Equine Clinic Rood and Ridles and theEquine Podiatric Center of Bryan Fraley was also very interesting.